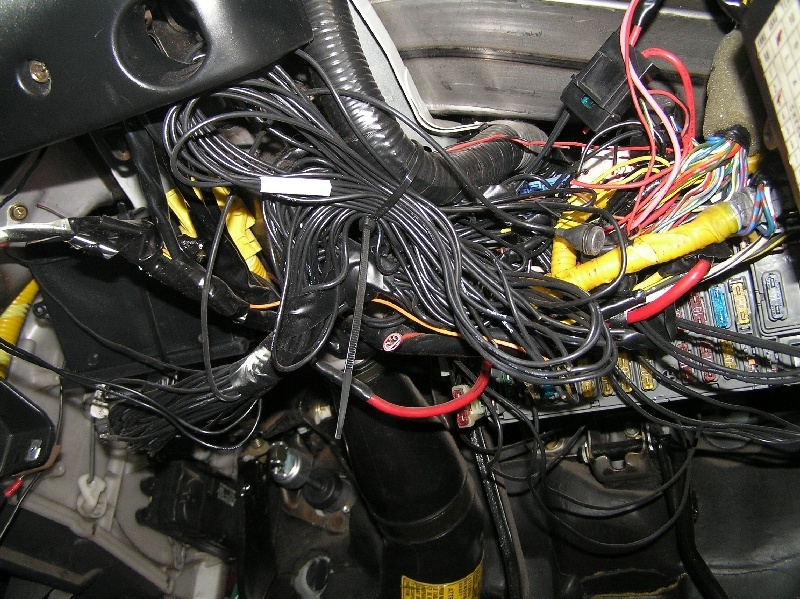 One would probably think this'd be a no brainer but believe it or not, we've even seen cables run all matter of places in vehicles. 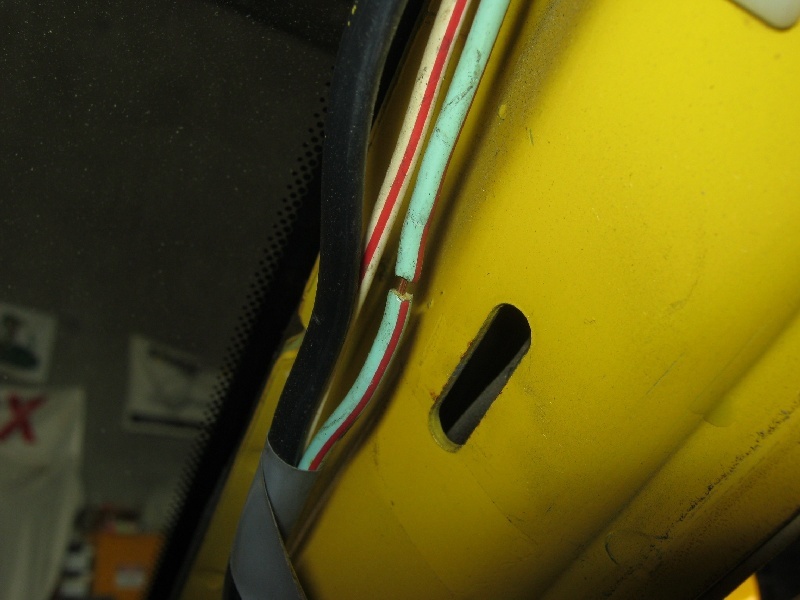 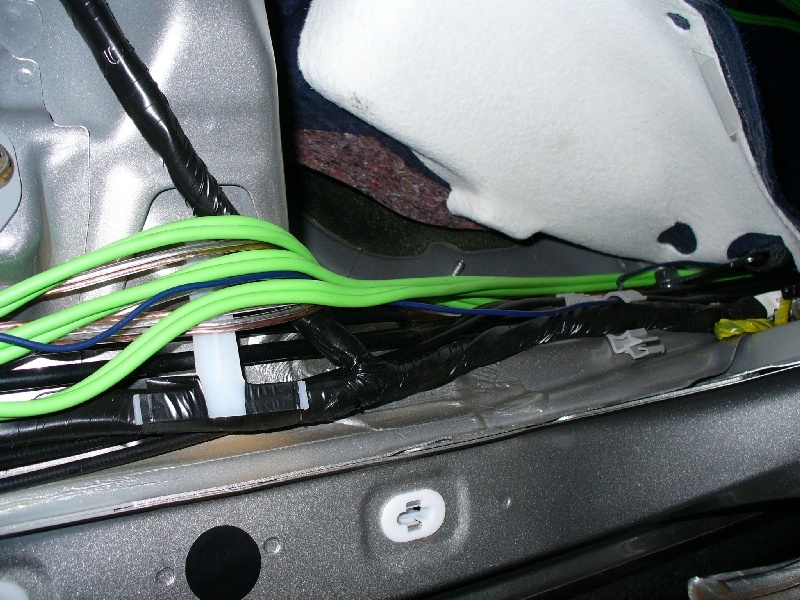 It's quite common to see various cables hanging down underneath to the point of touching the road however we've seen them run in even more startling places such as over the front guard and door and then back into the interior. 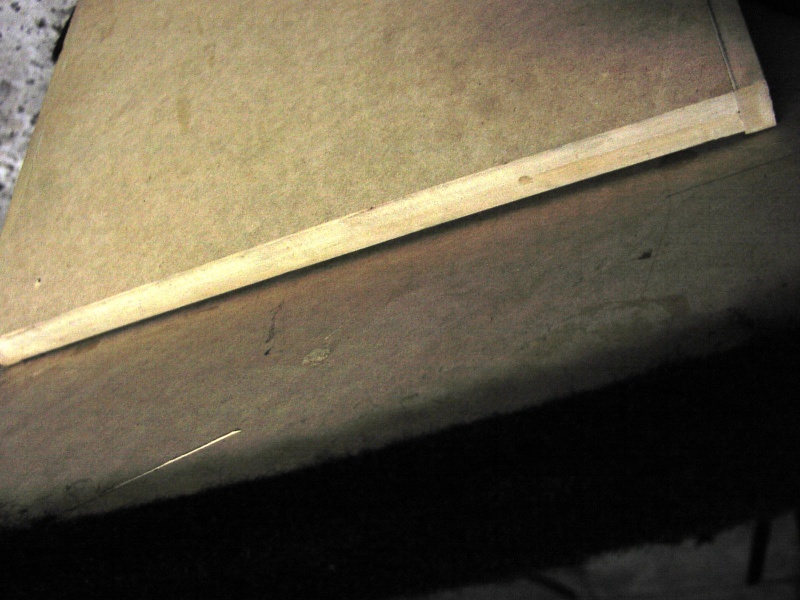 If it wasn't for the photos you'd never believe it! 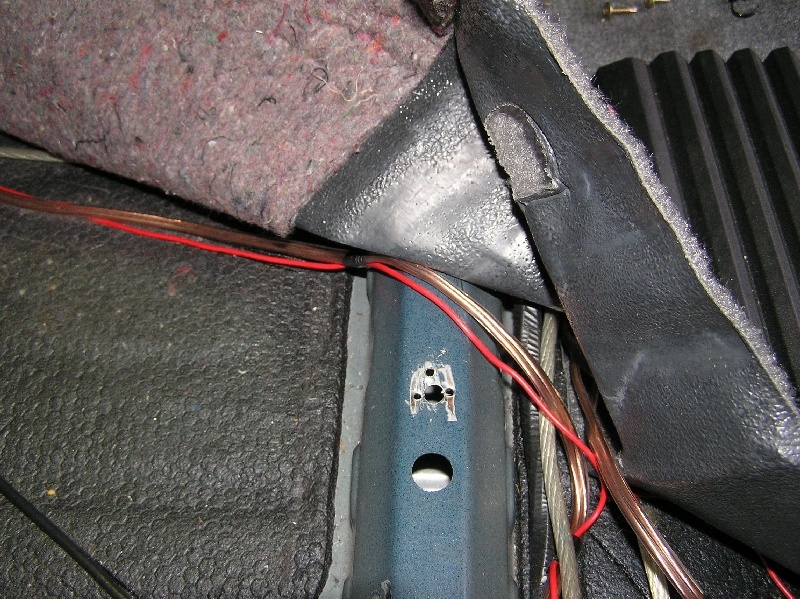 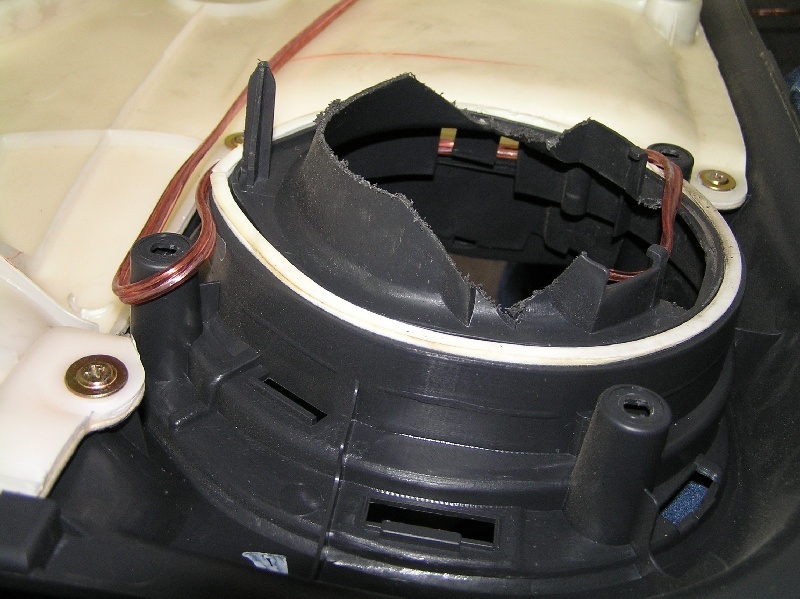 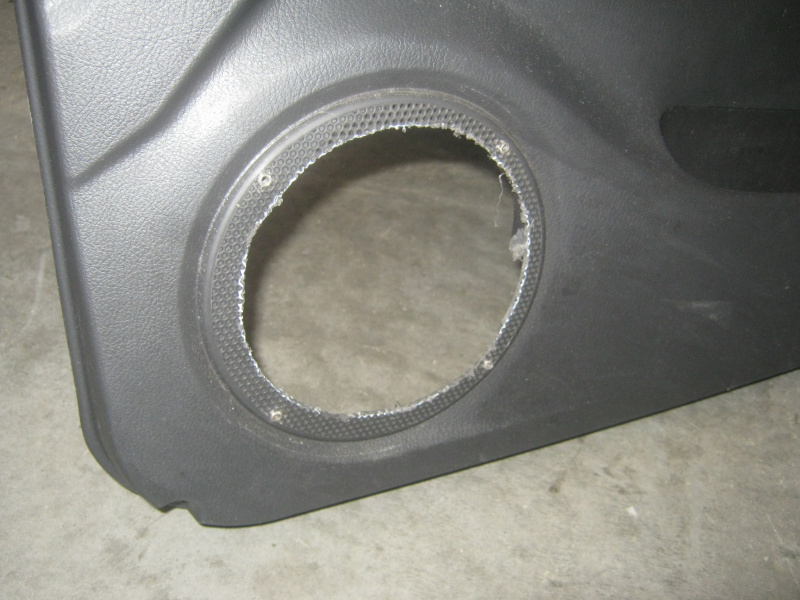 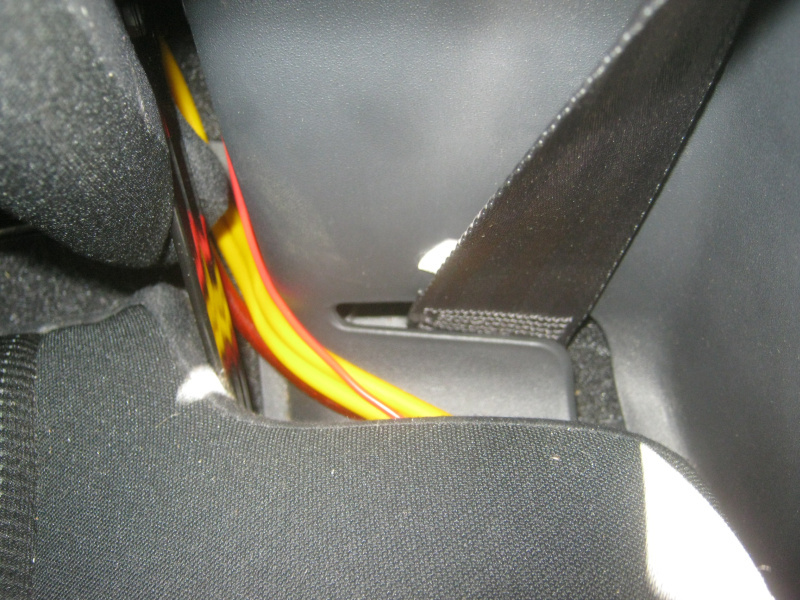 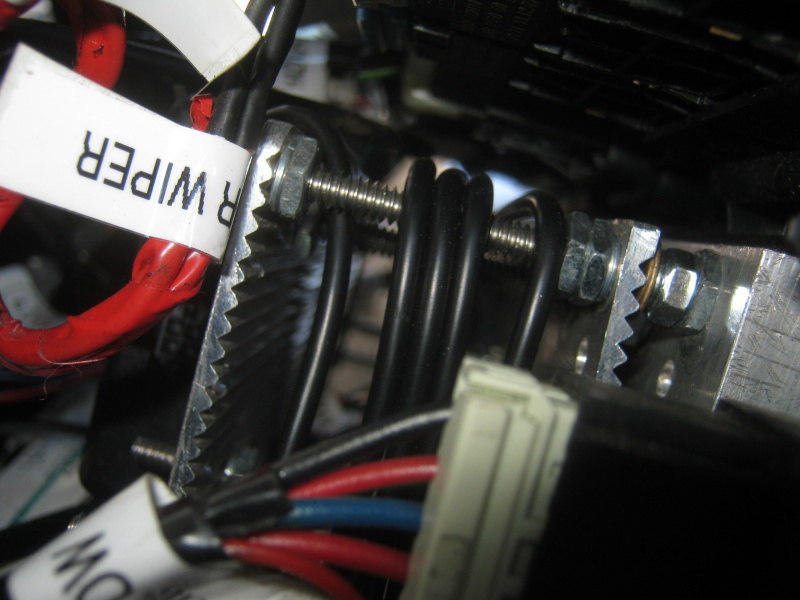 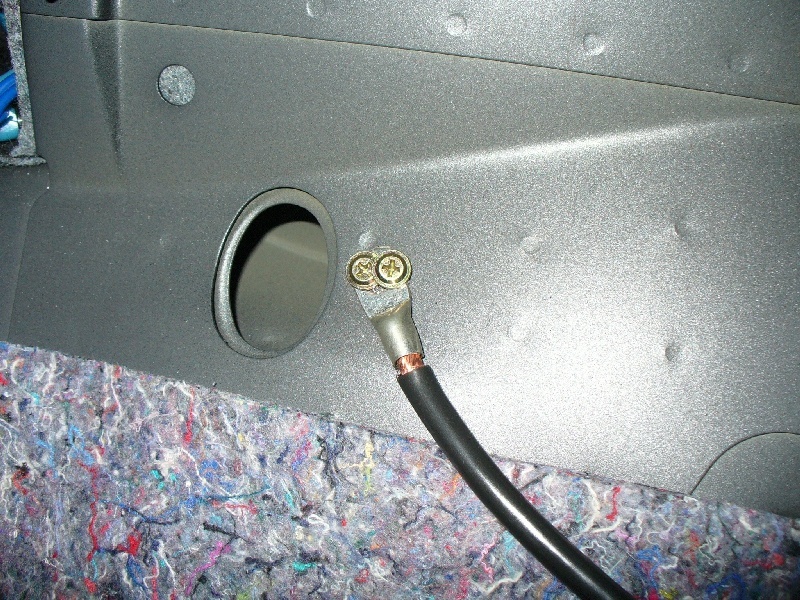 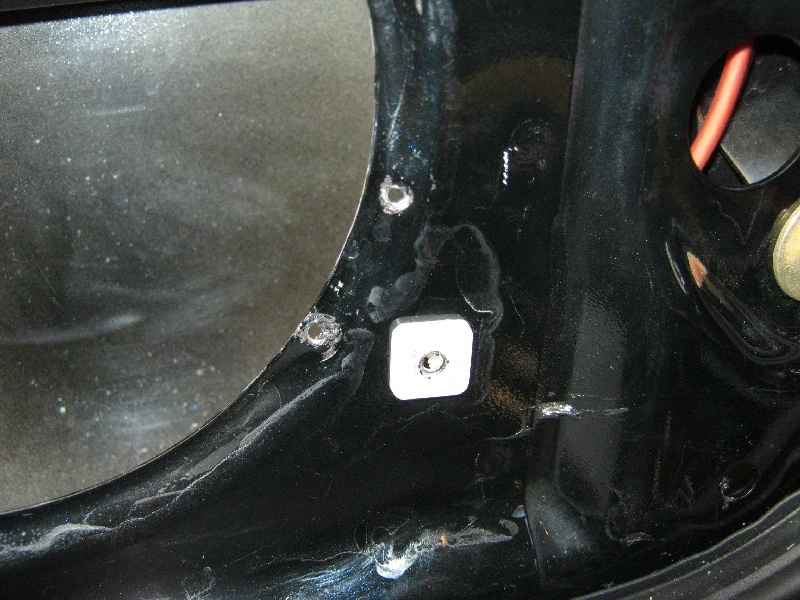 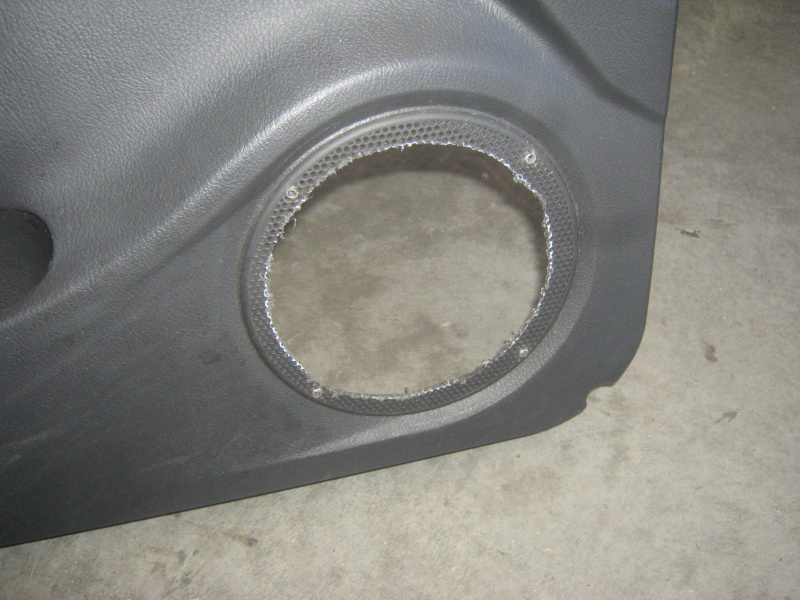 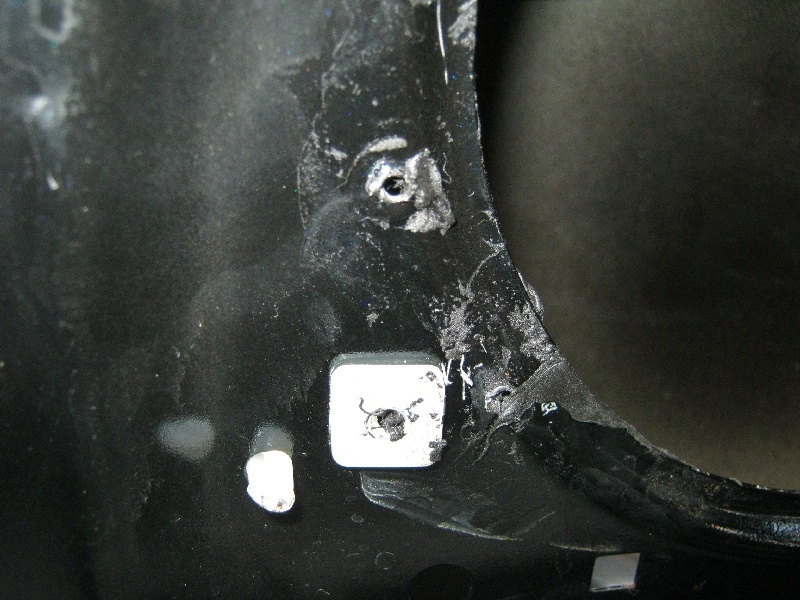 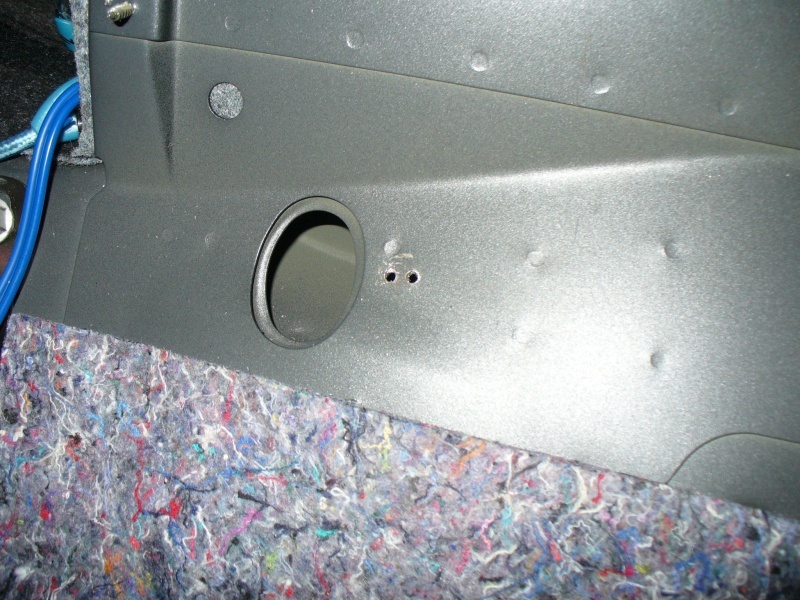 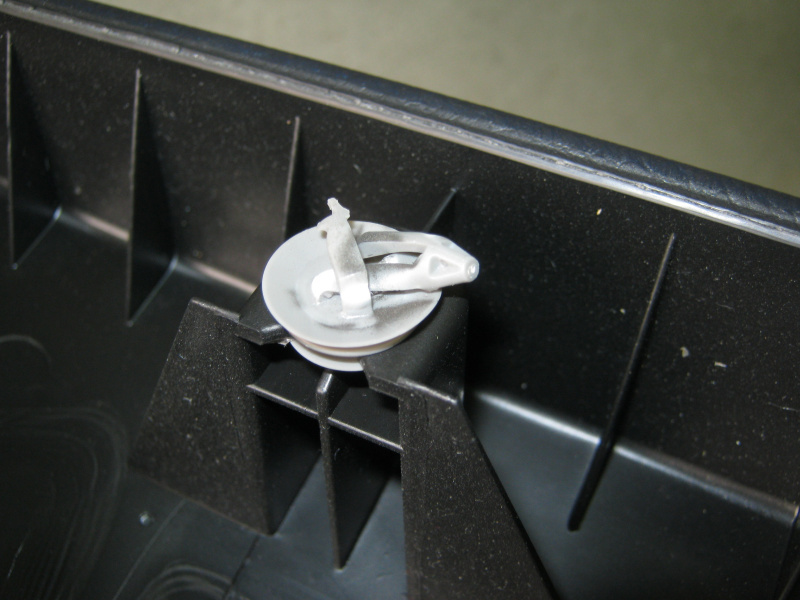 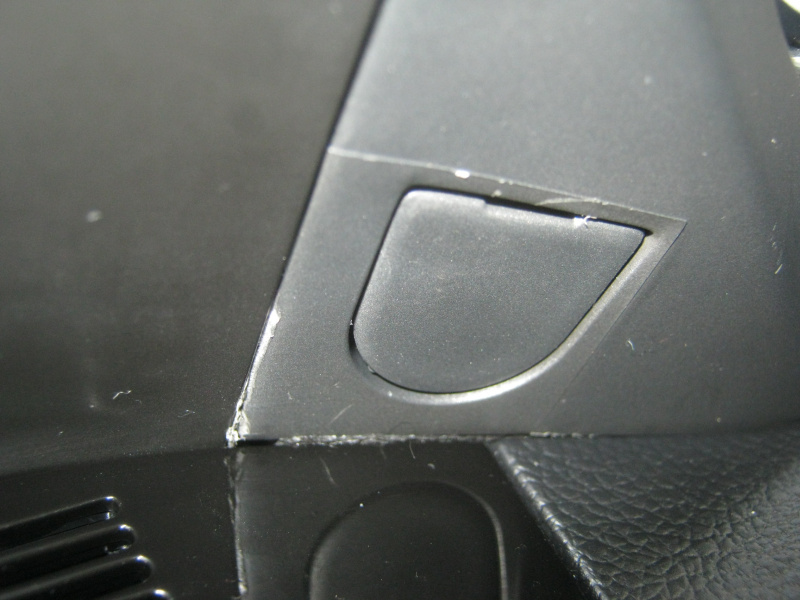 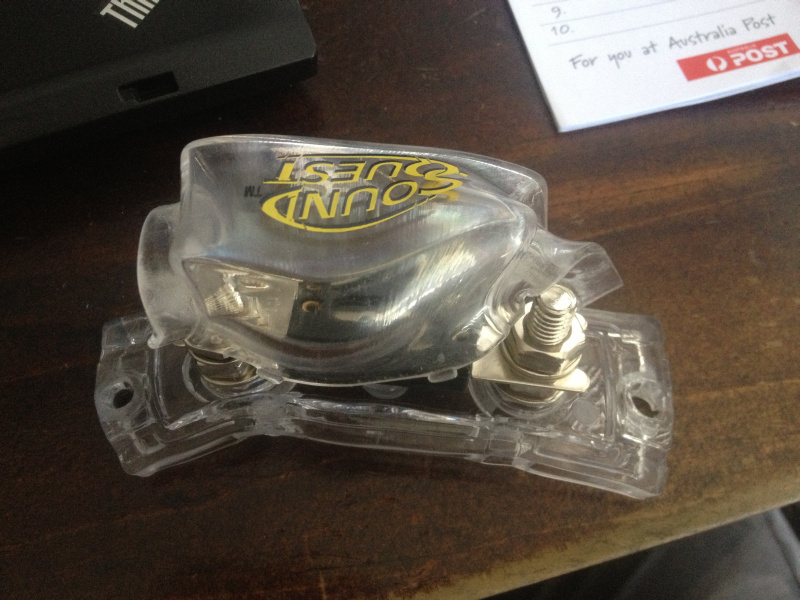 Please people; if you cannot find a grommet in your firewall contact us! 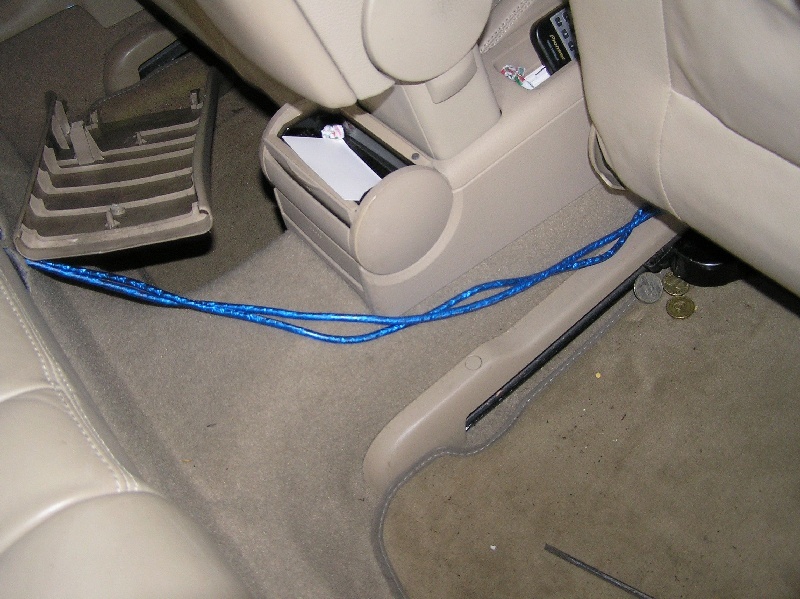 Just as we've seen cables run in some very peculiar places outside vehicles, we've seen some stunning examples of cable running within the confines of them too. 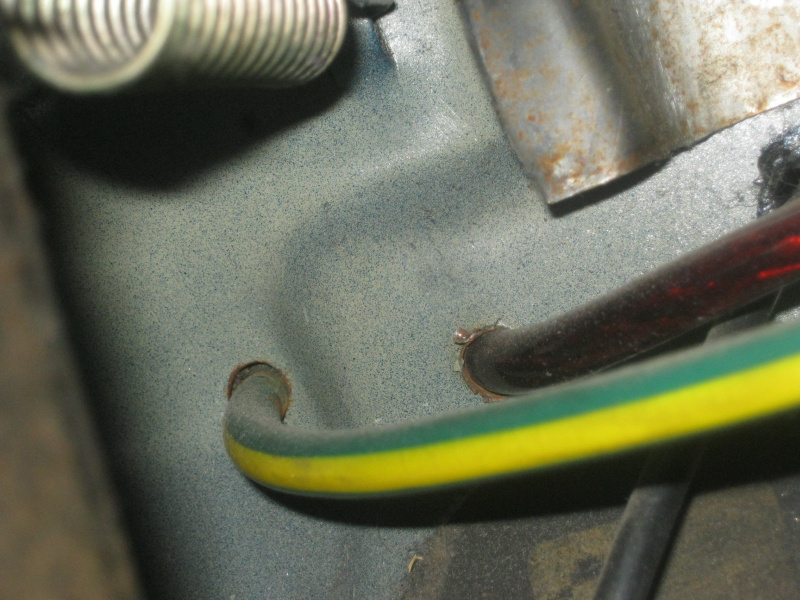 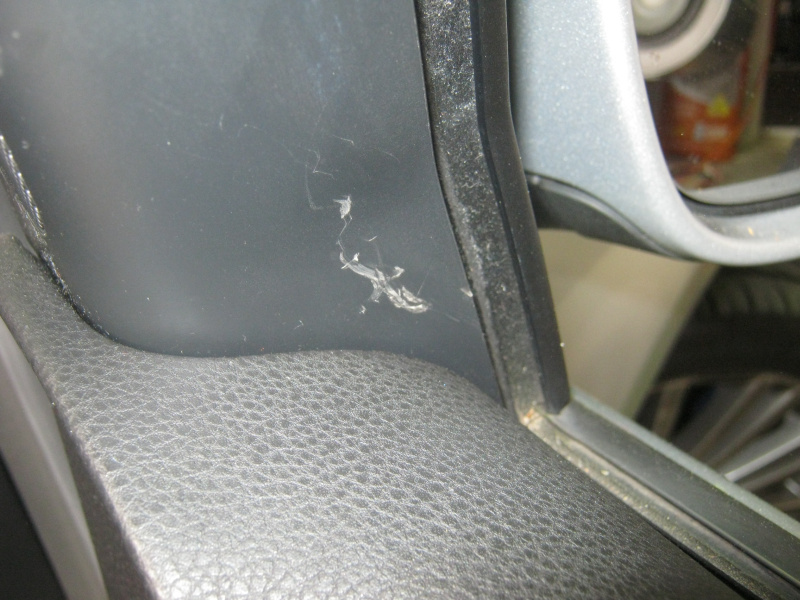 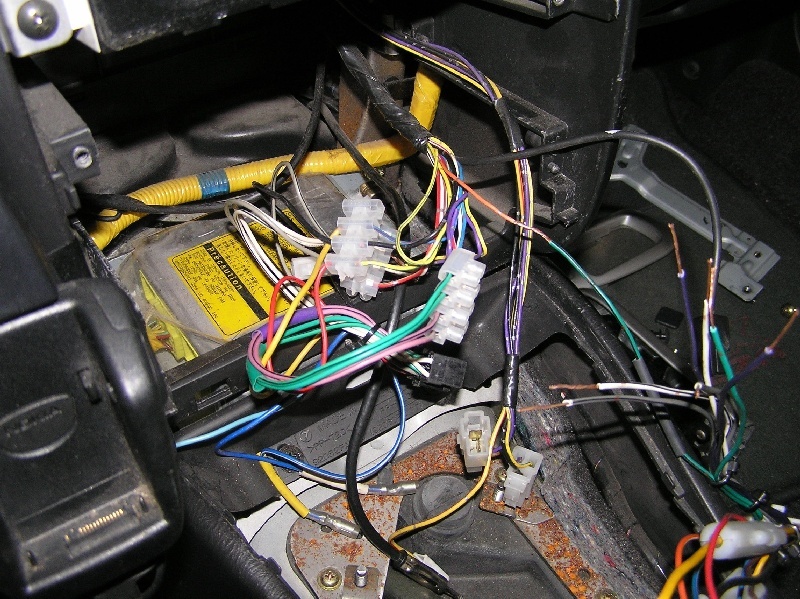 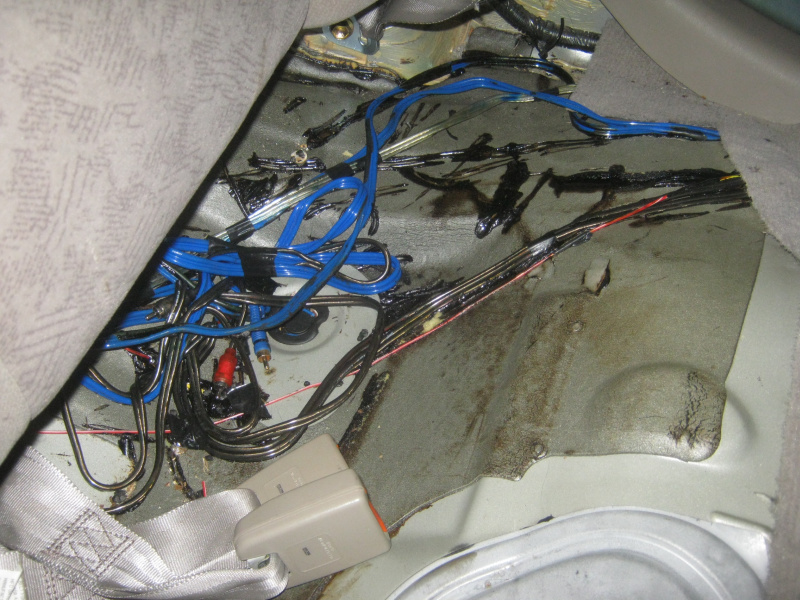 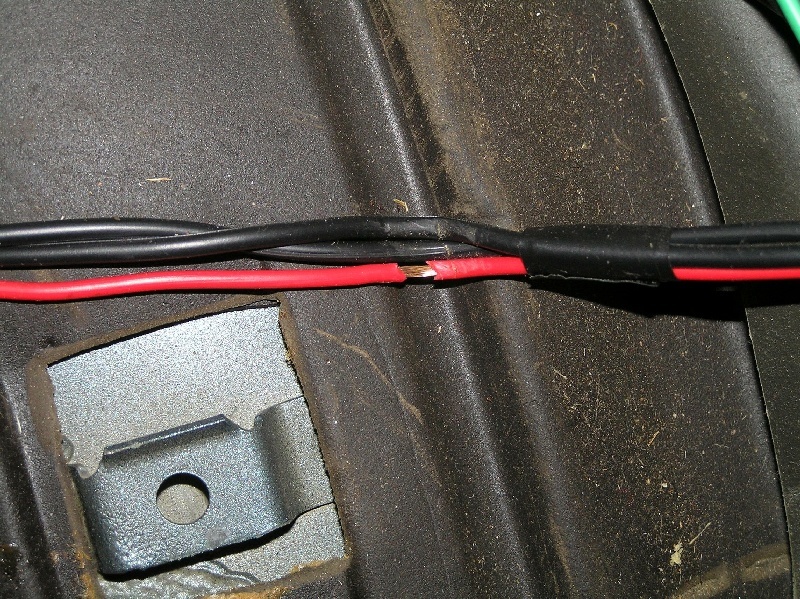 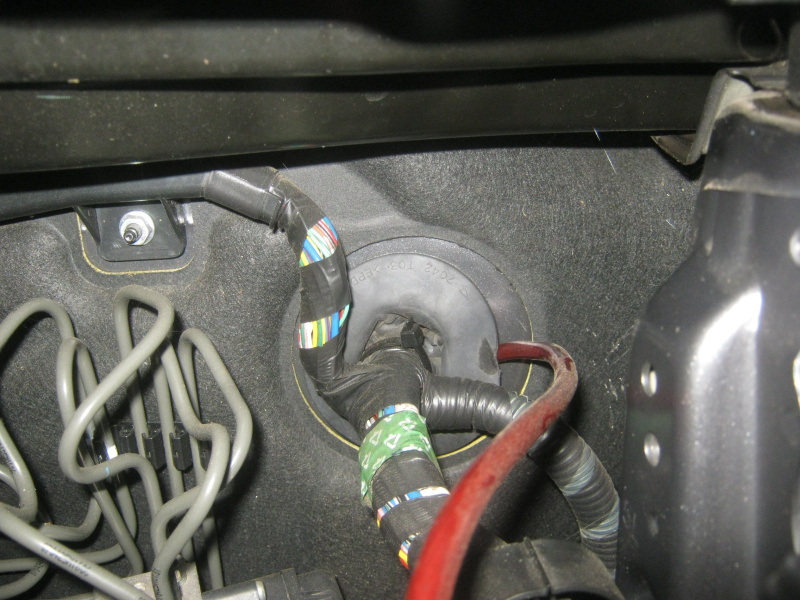 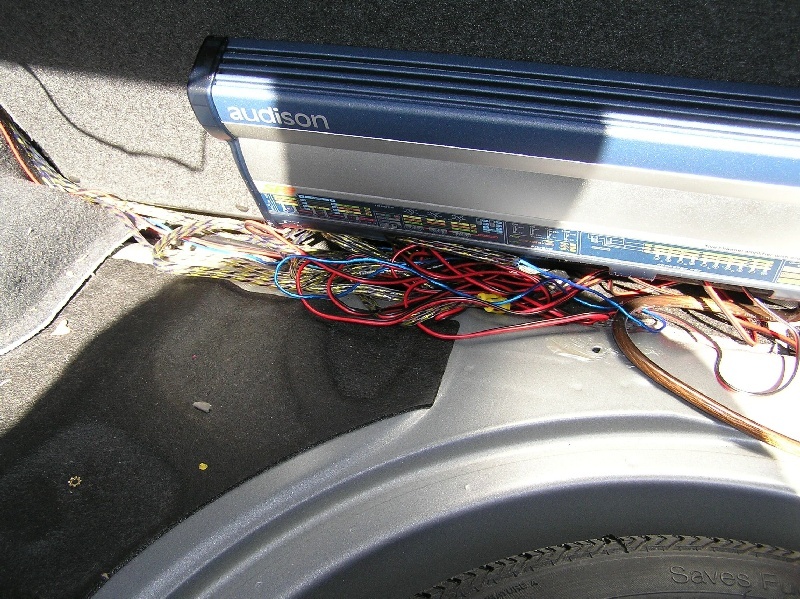 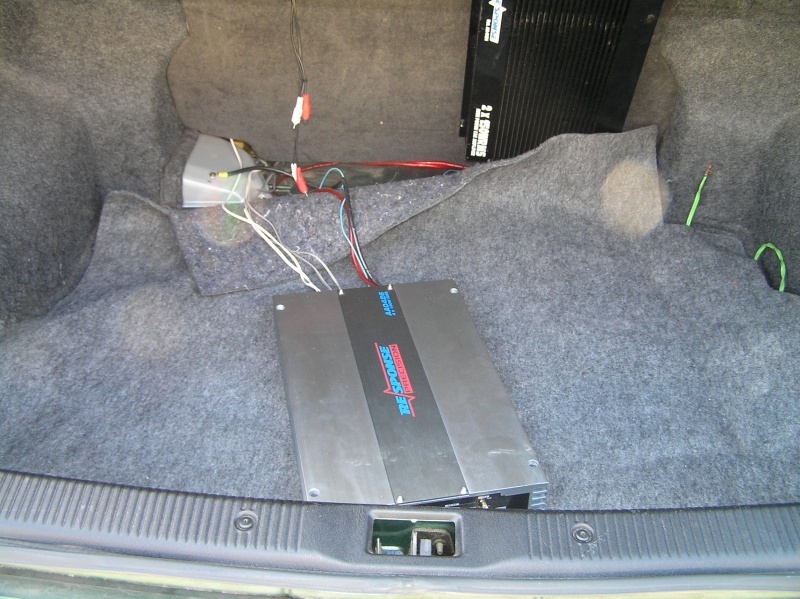 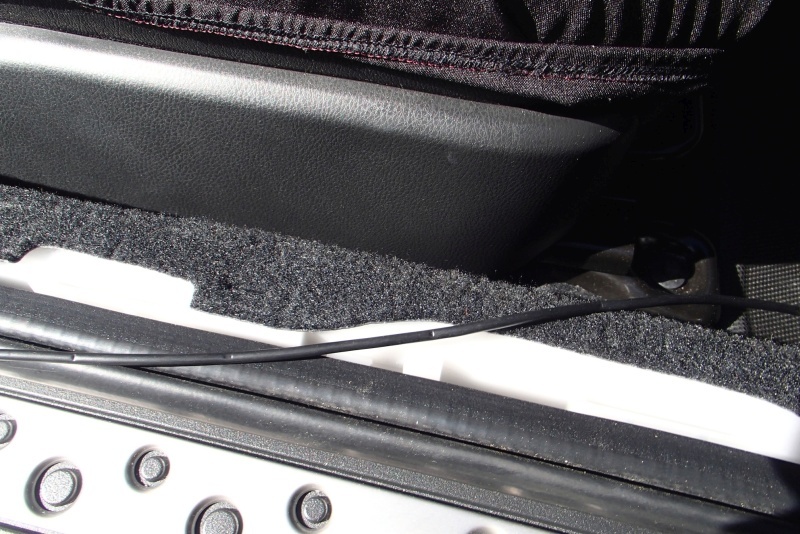 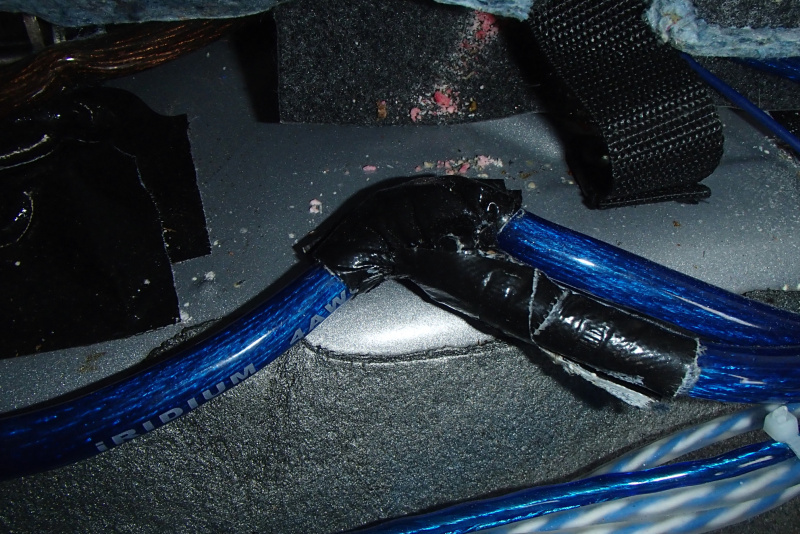 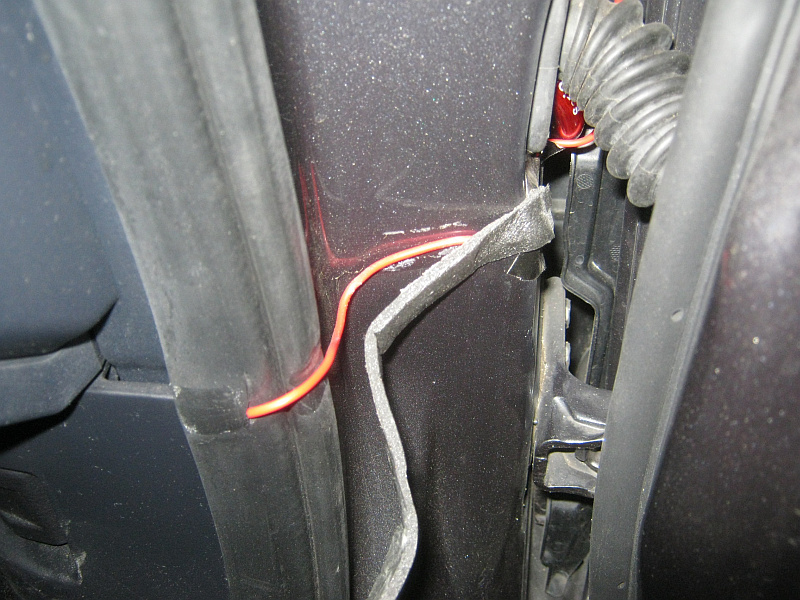 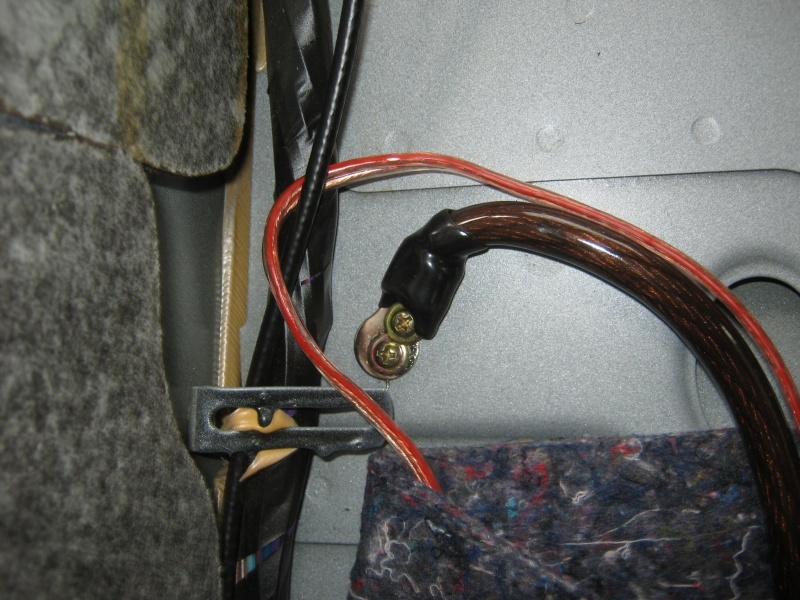 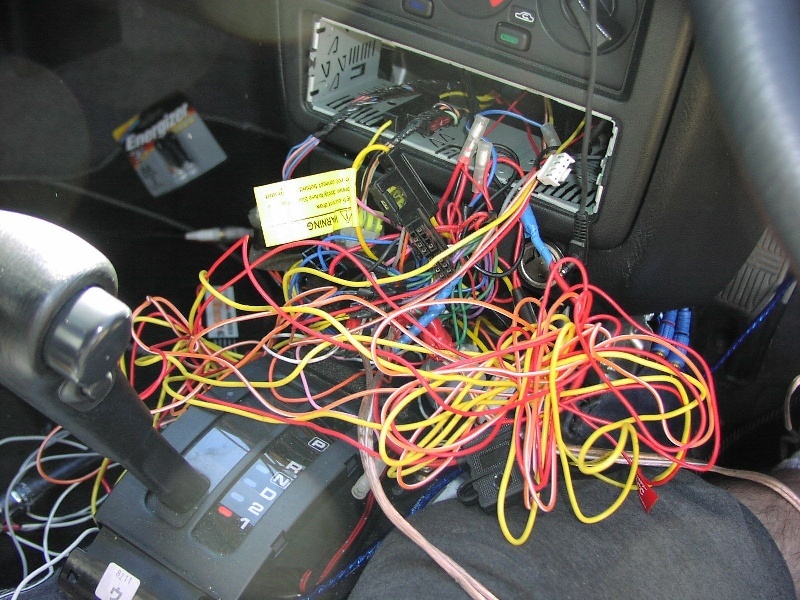 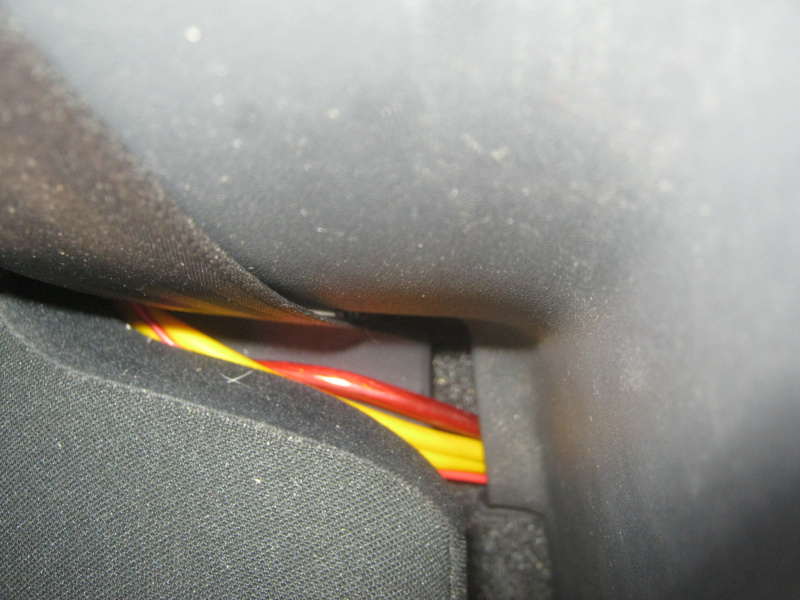 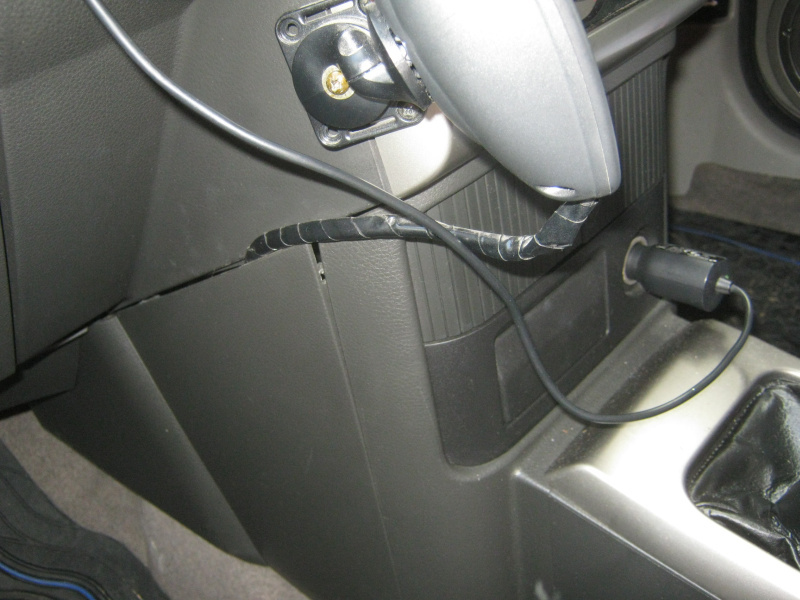 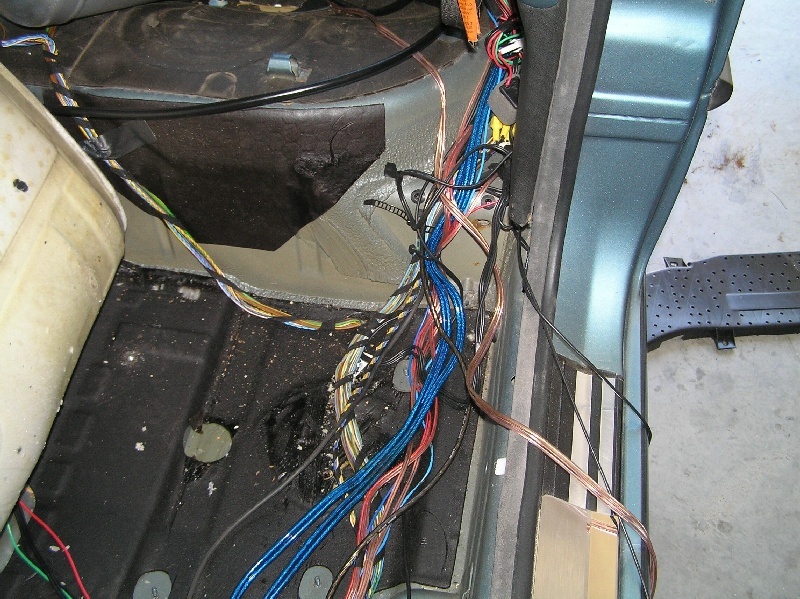 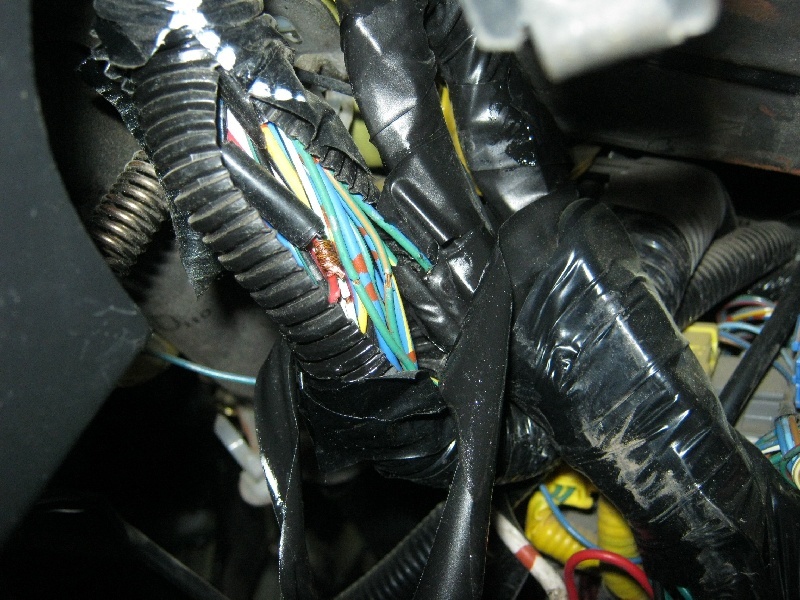 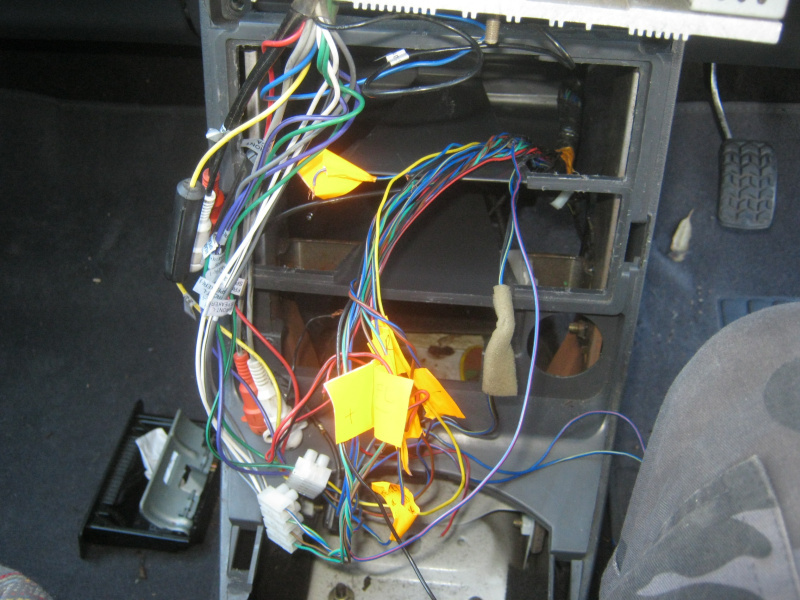 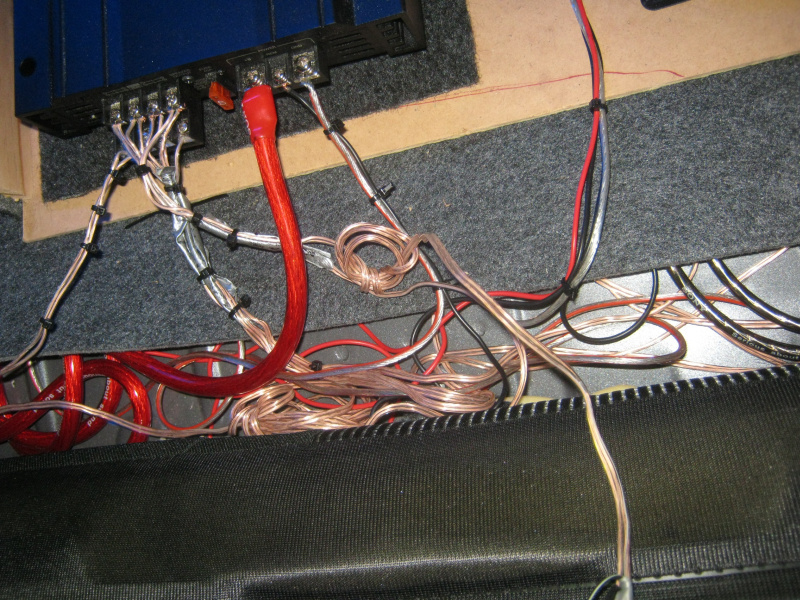 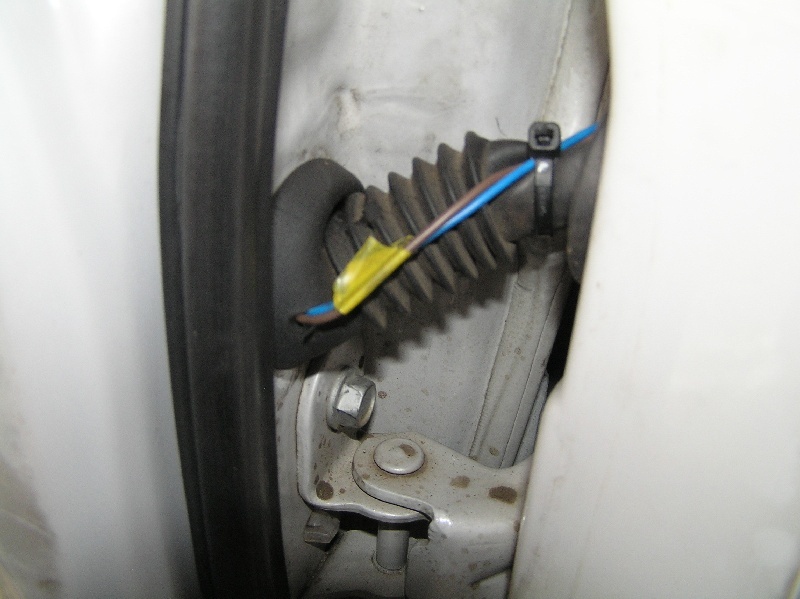 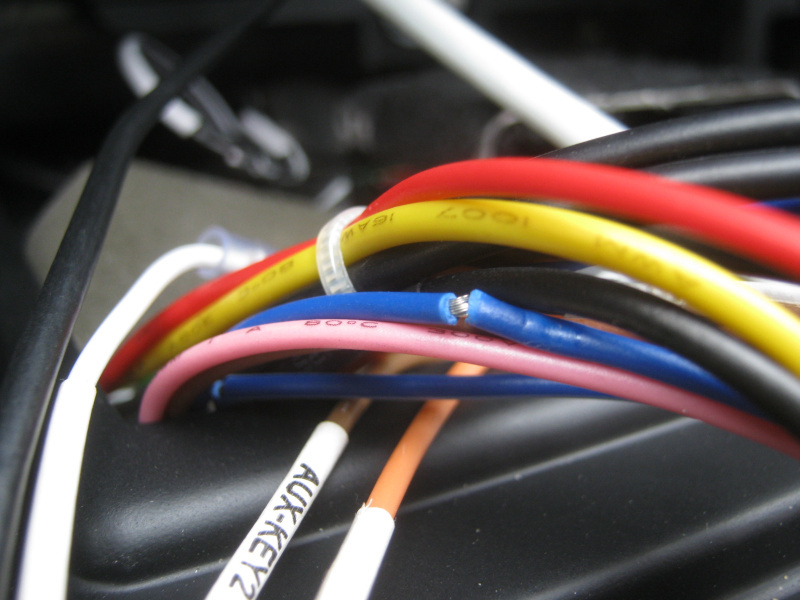 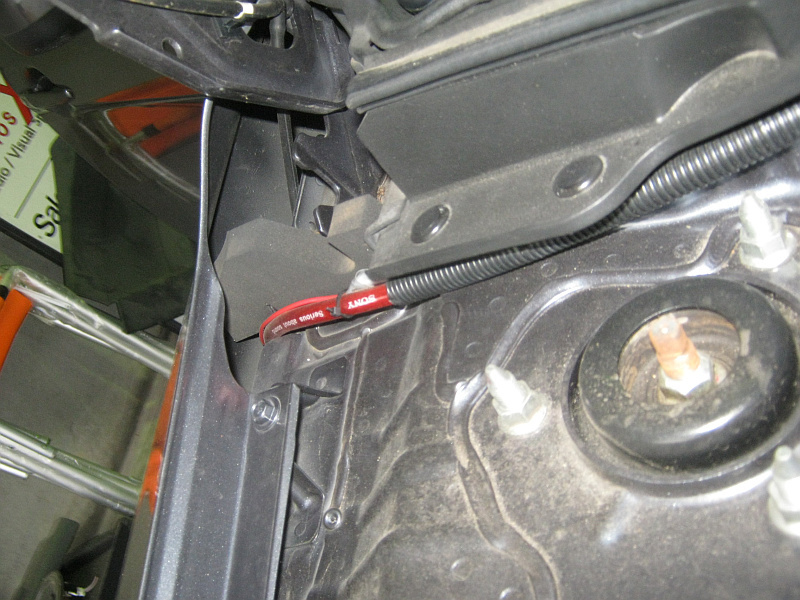 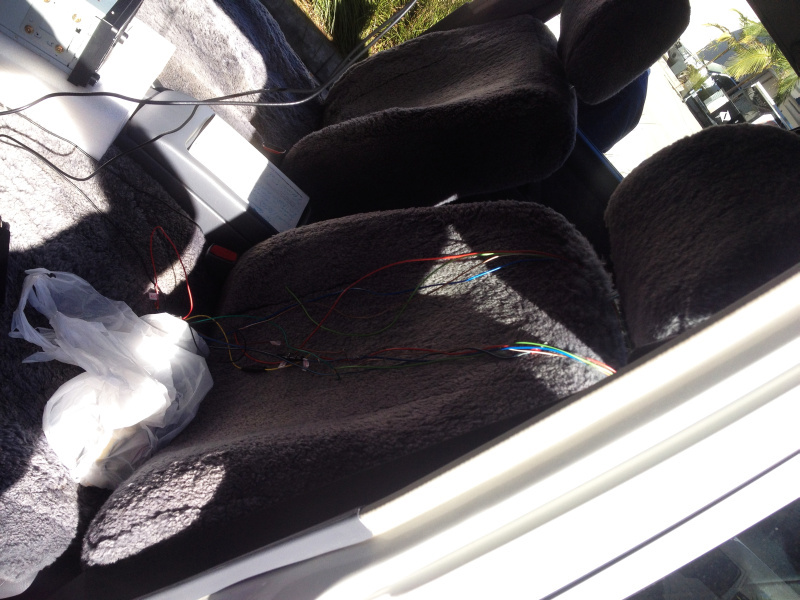 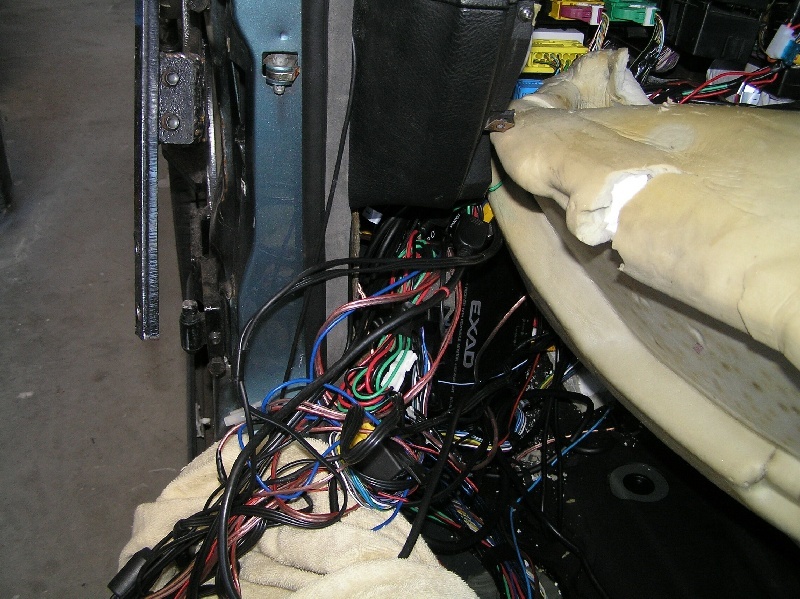 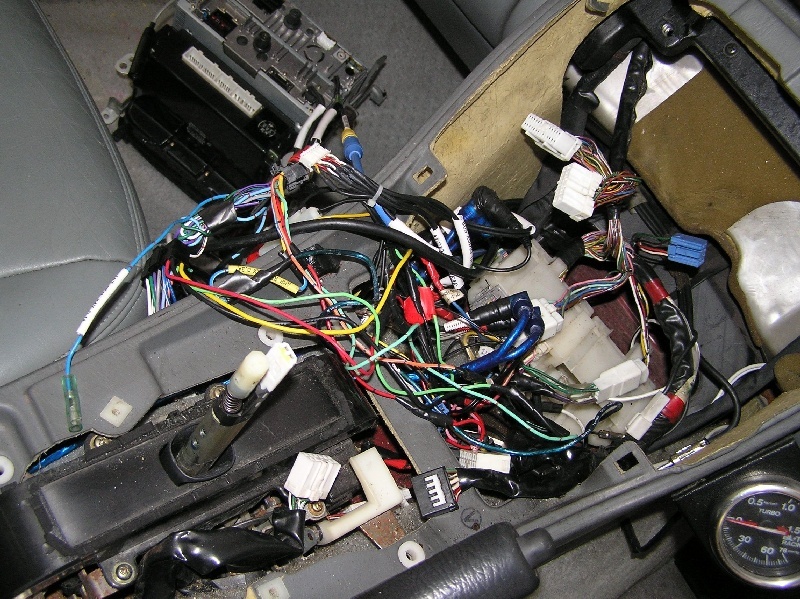 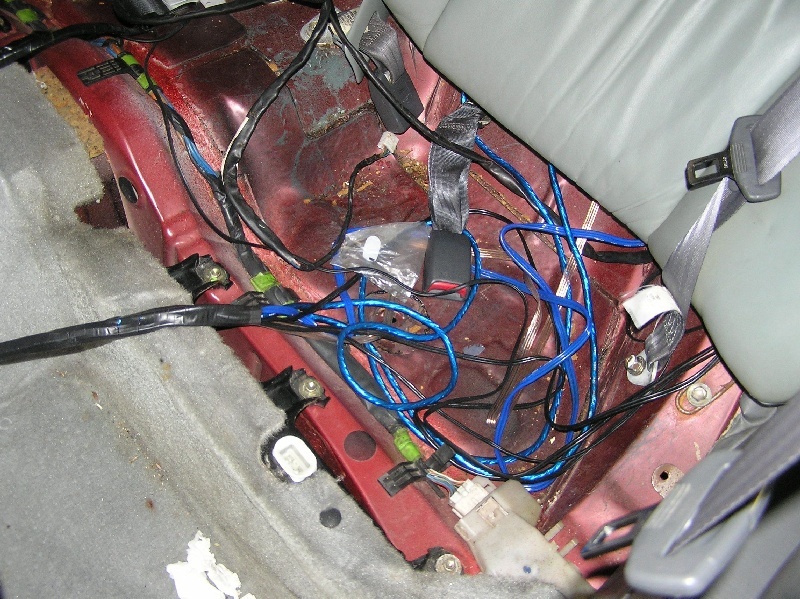 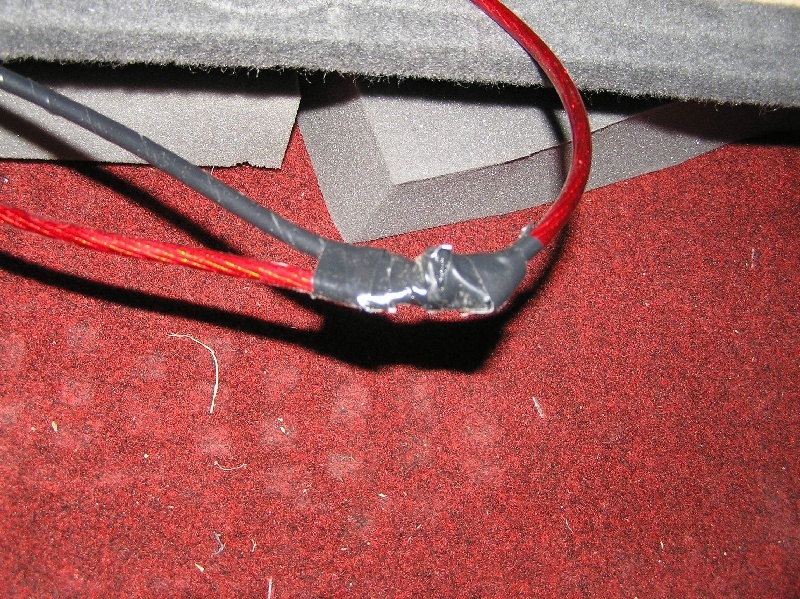 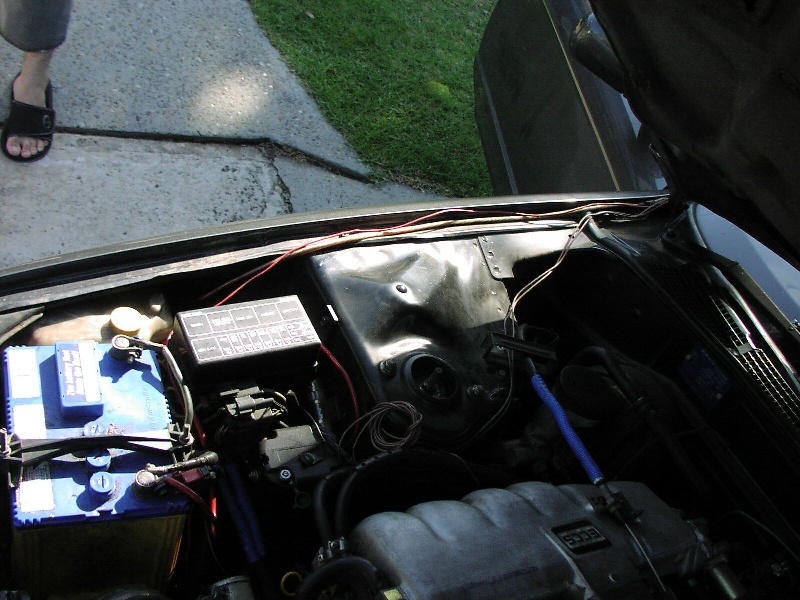 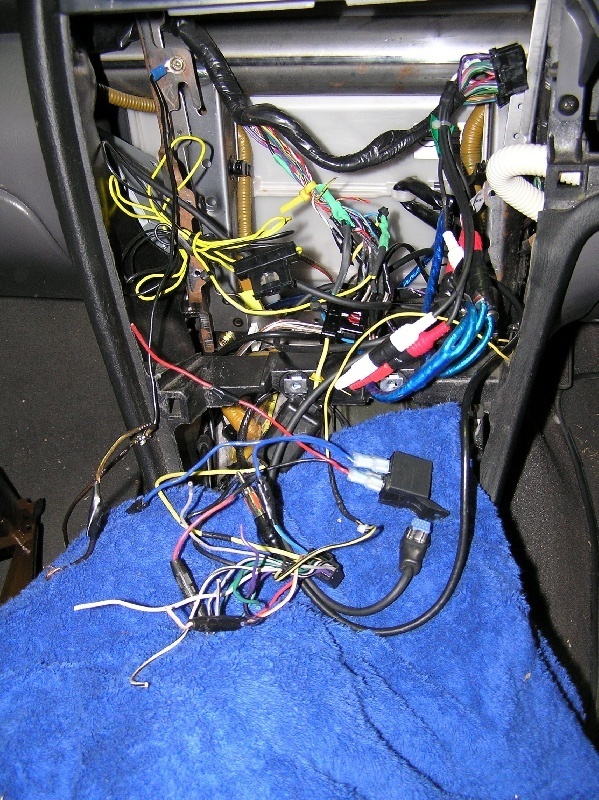 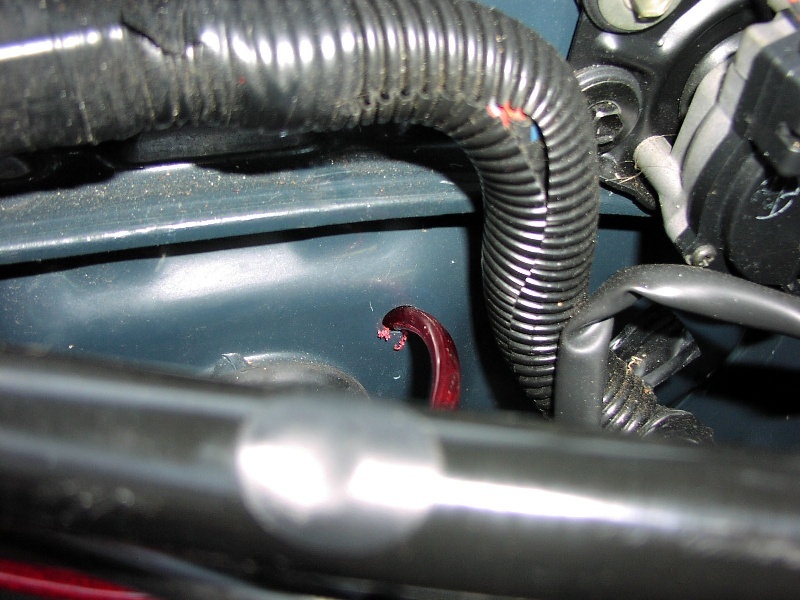 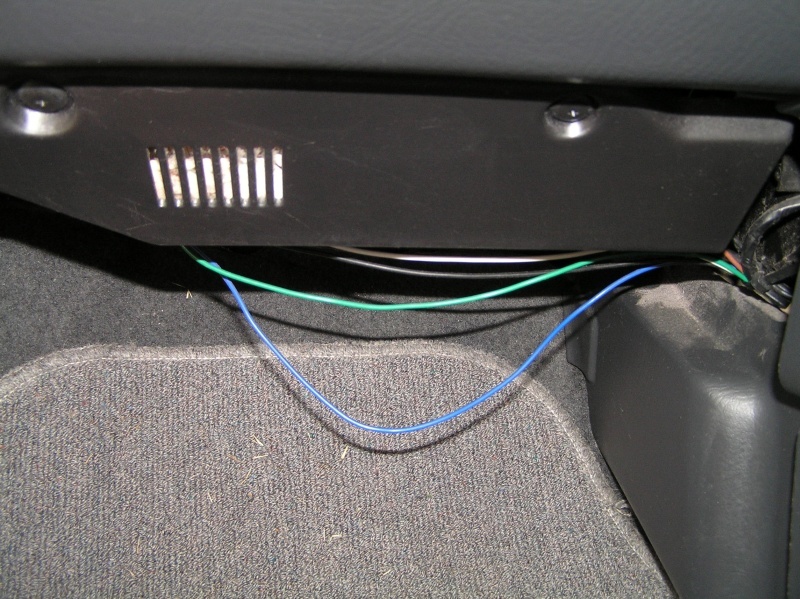 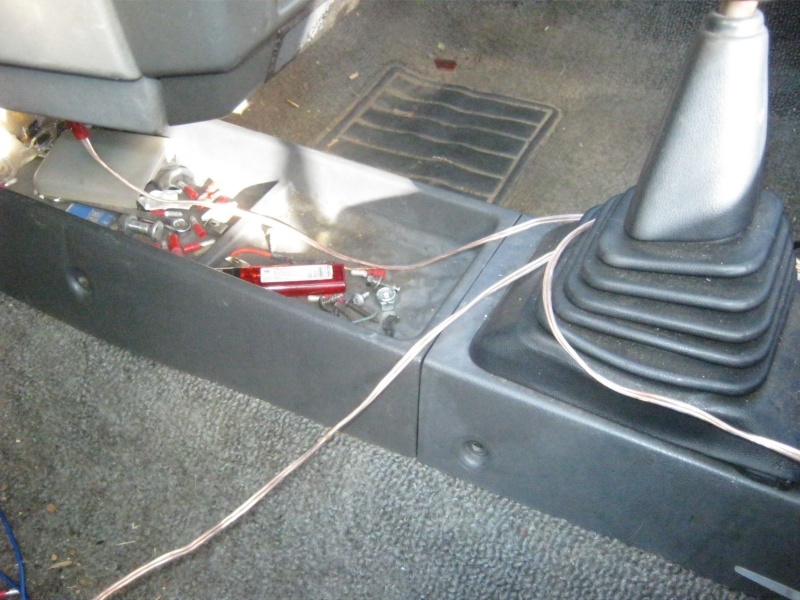 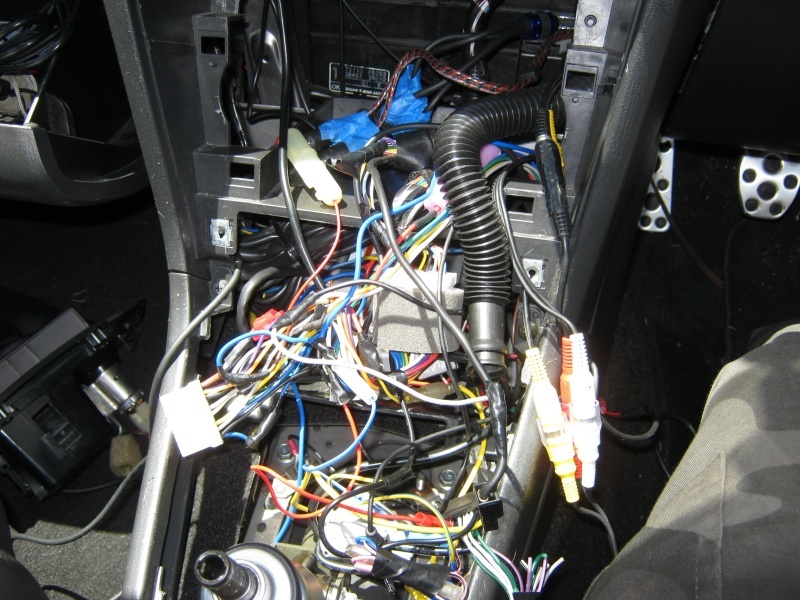 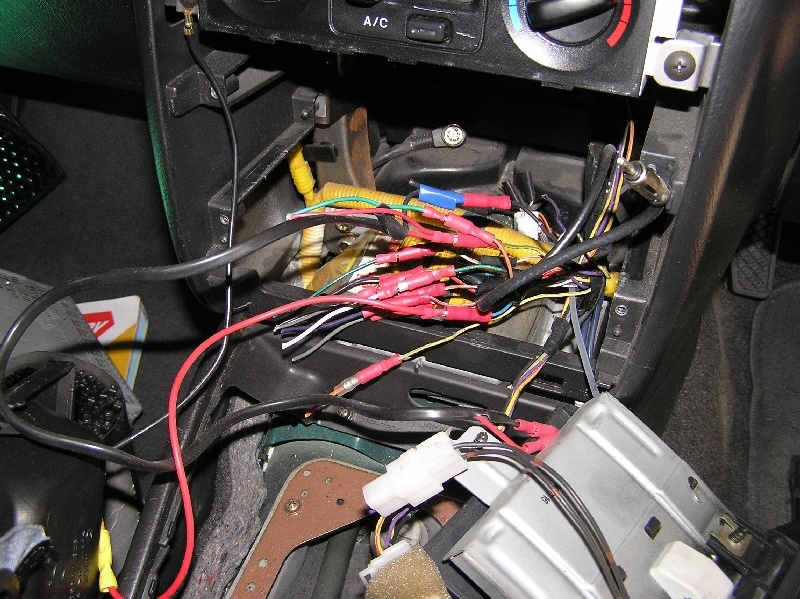 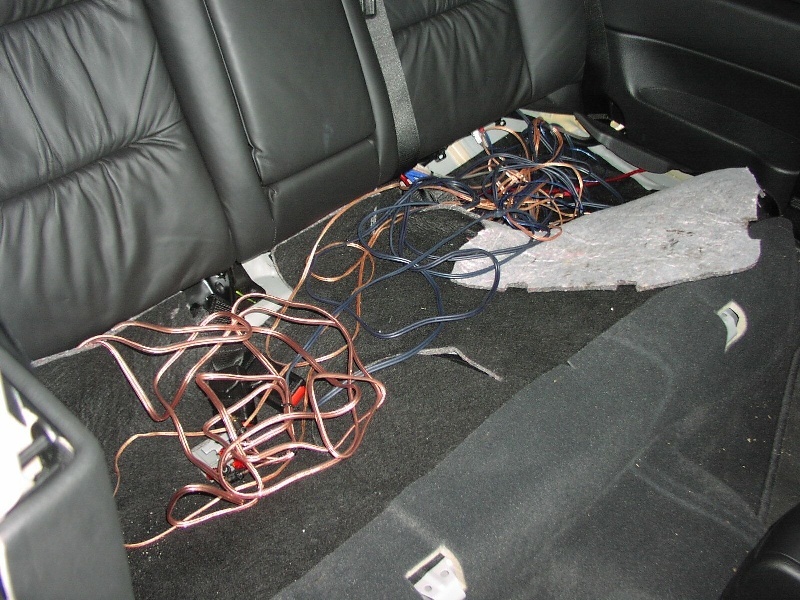 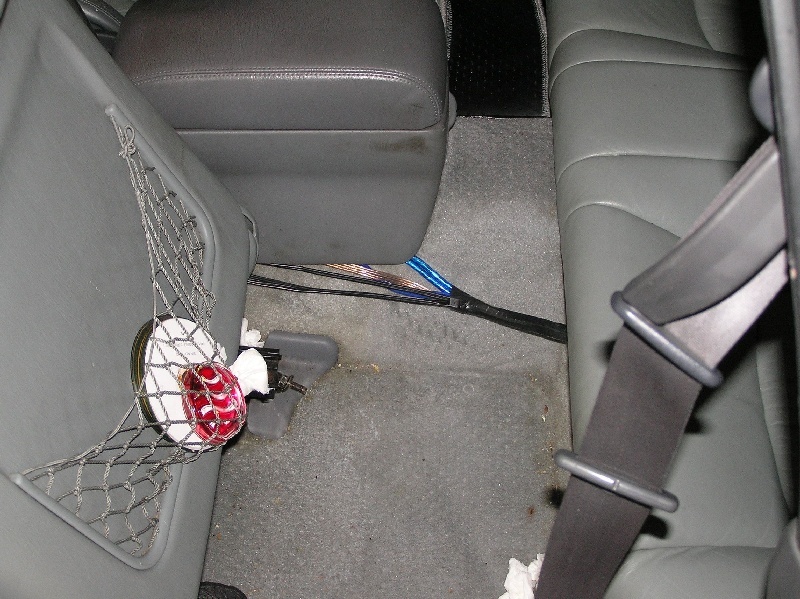 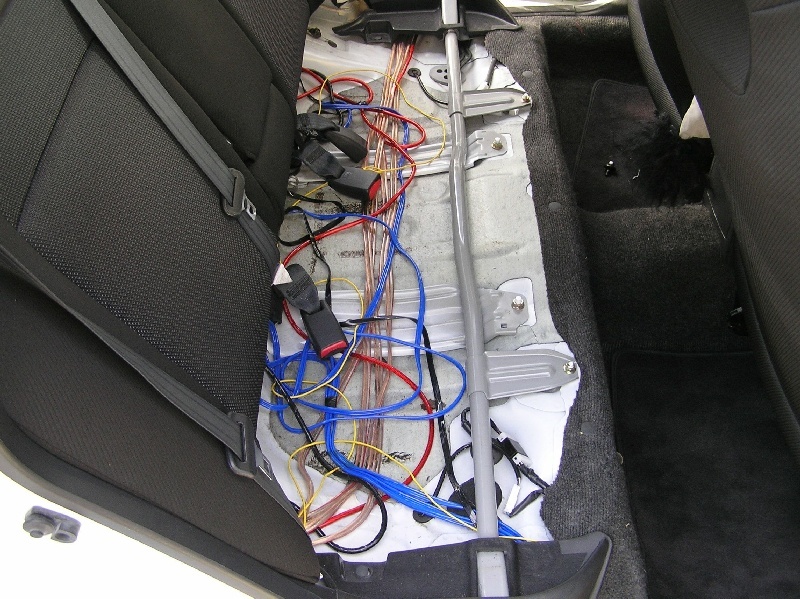 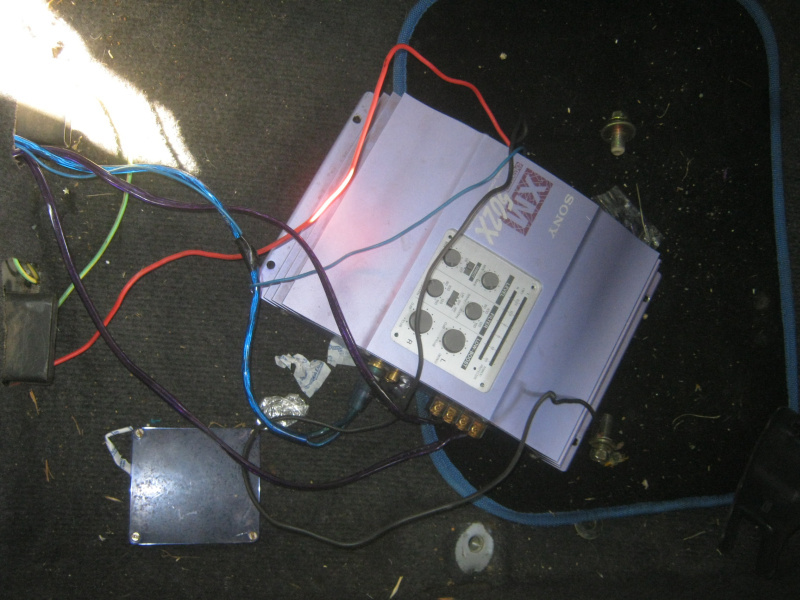 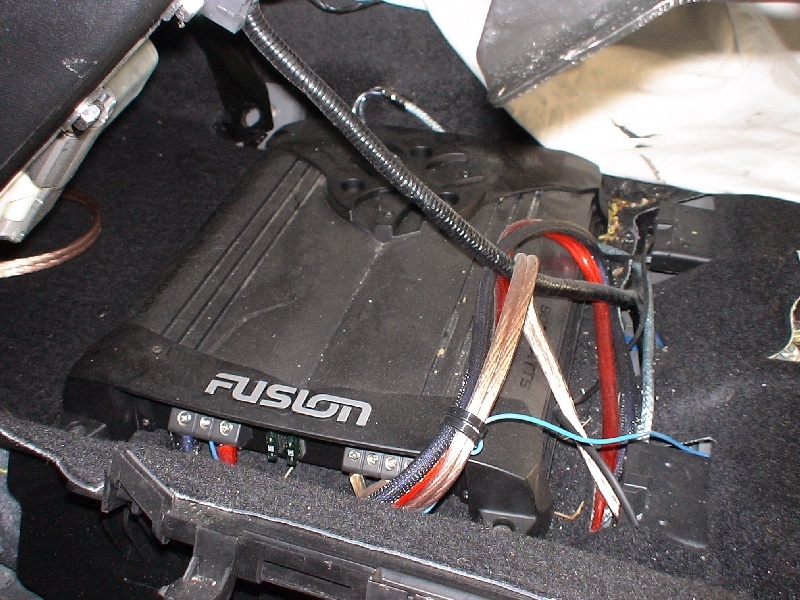 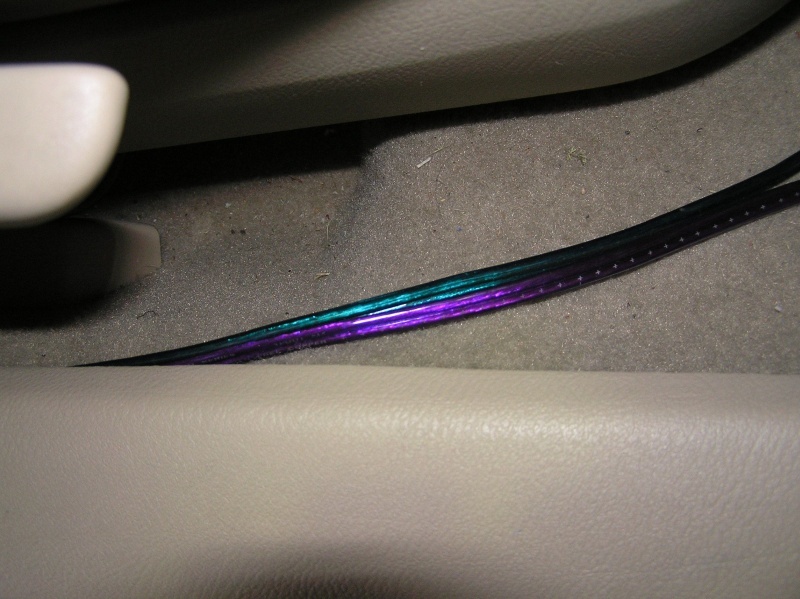 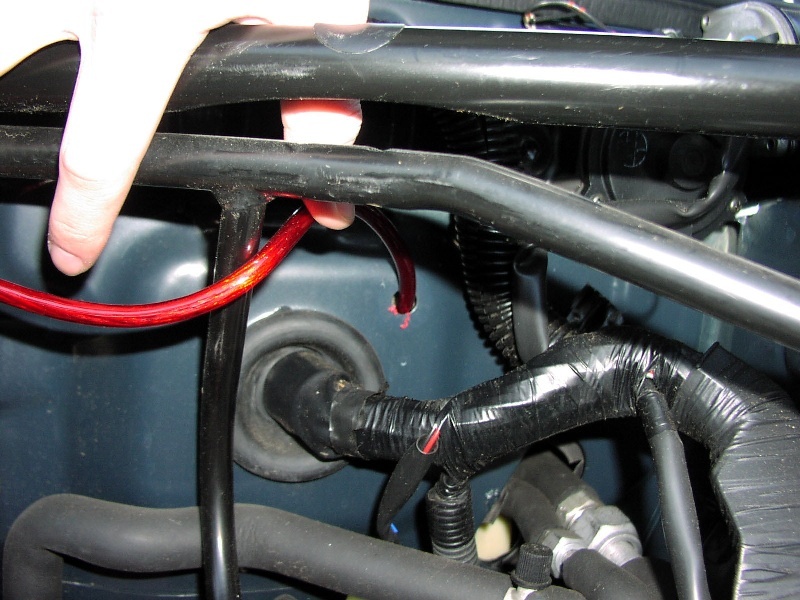 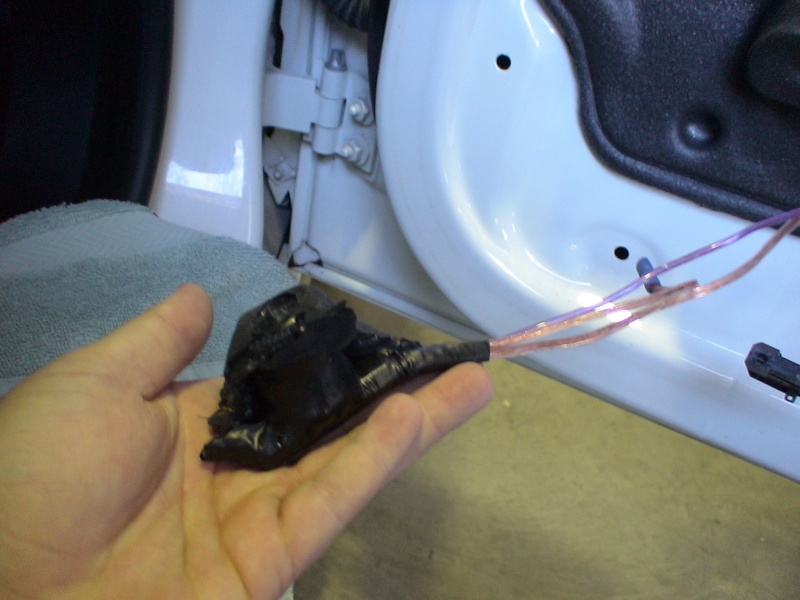 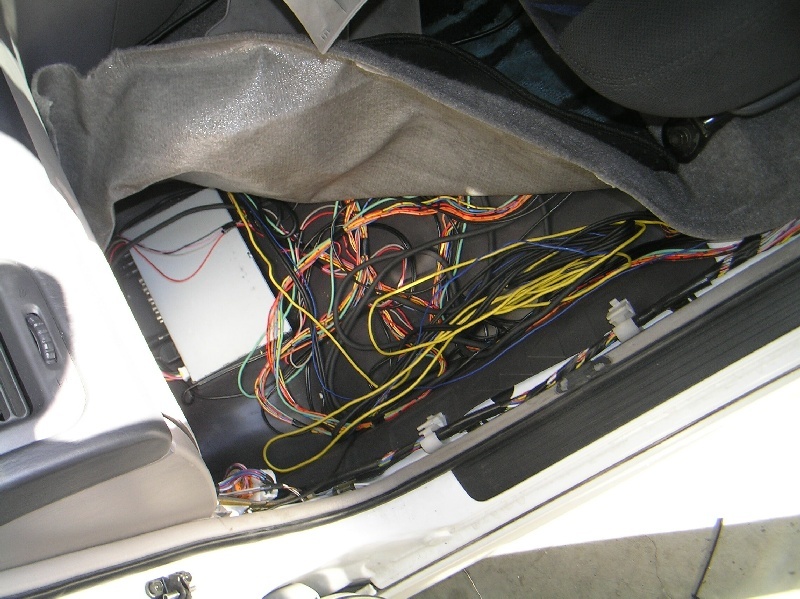 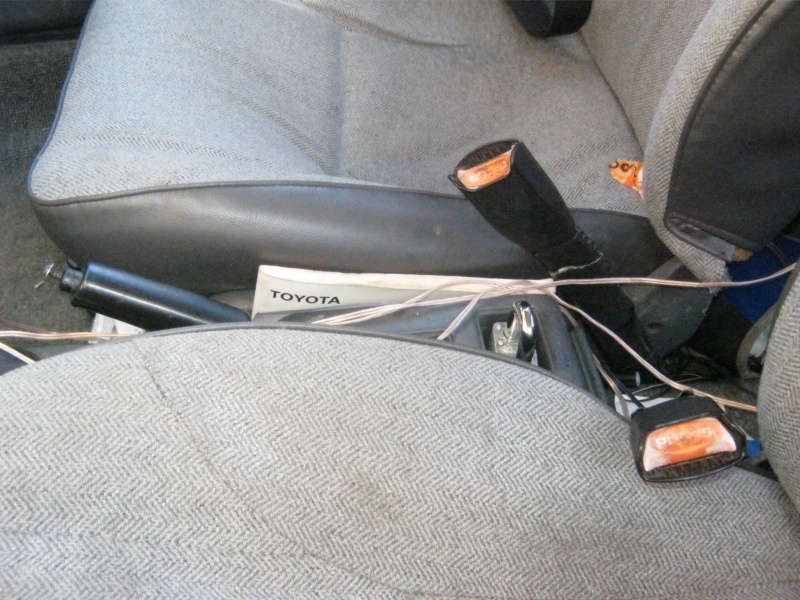 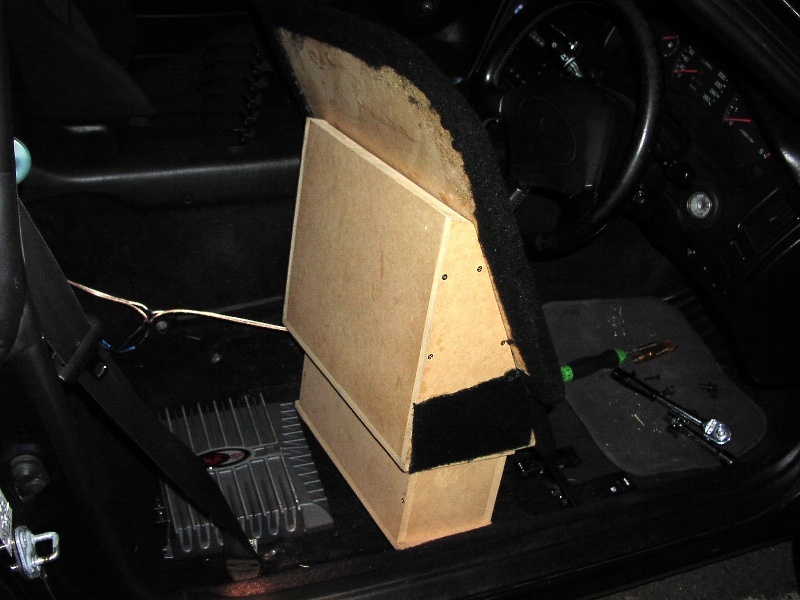 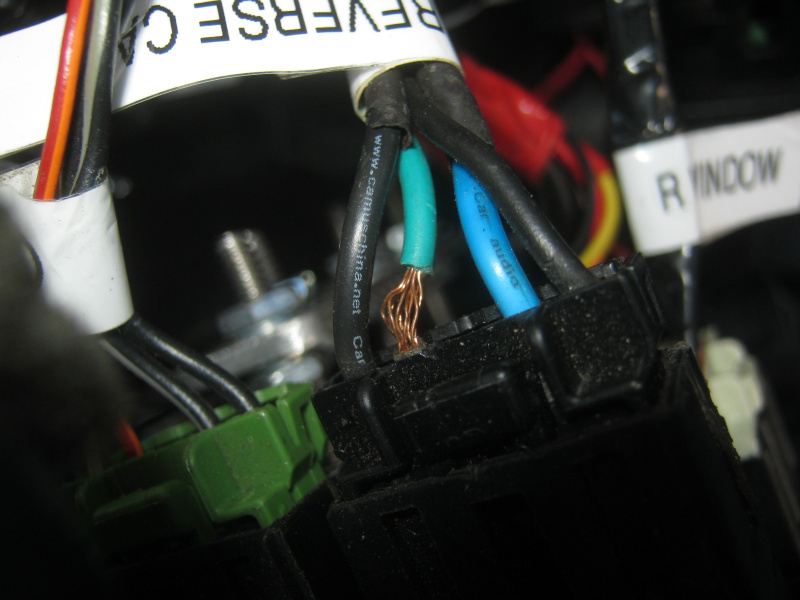 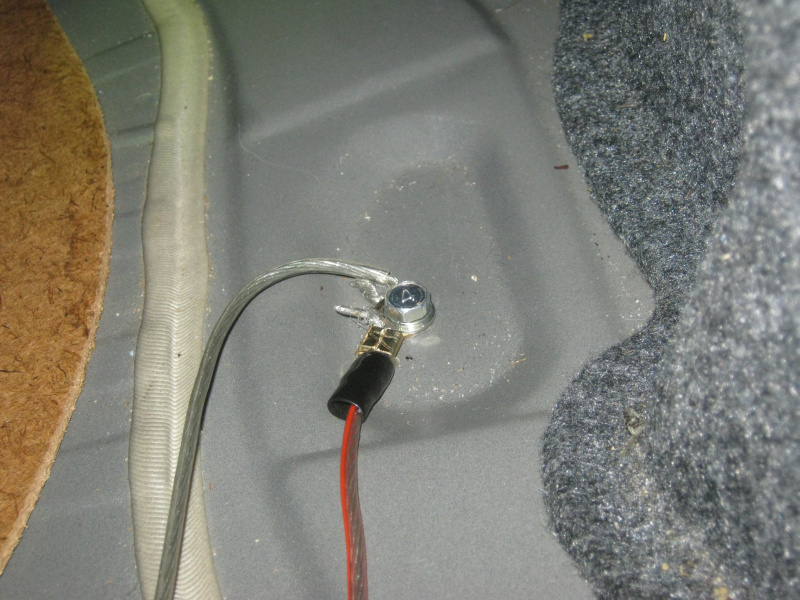 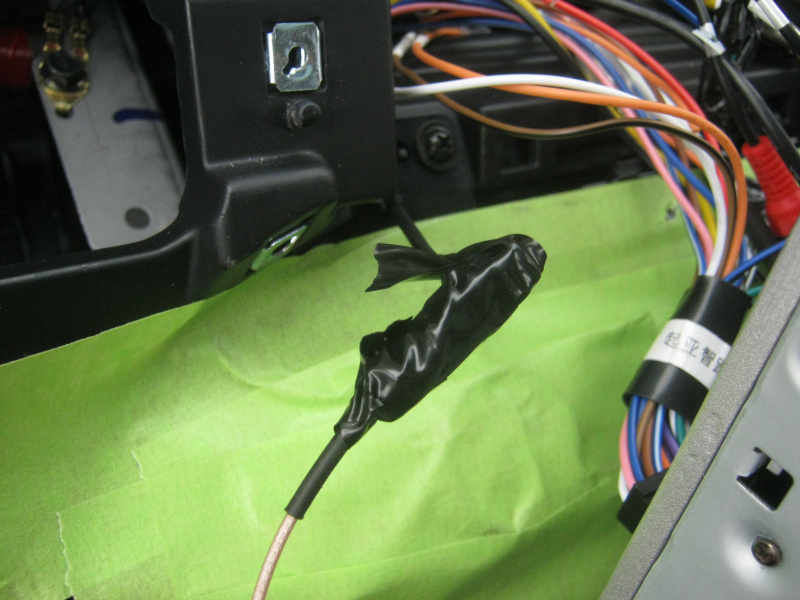 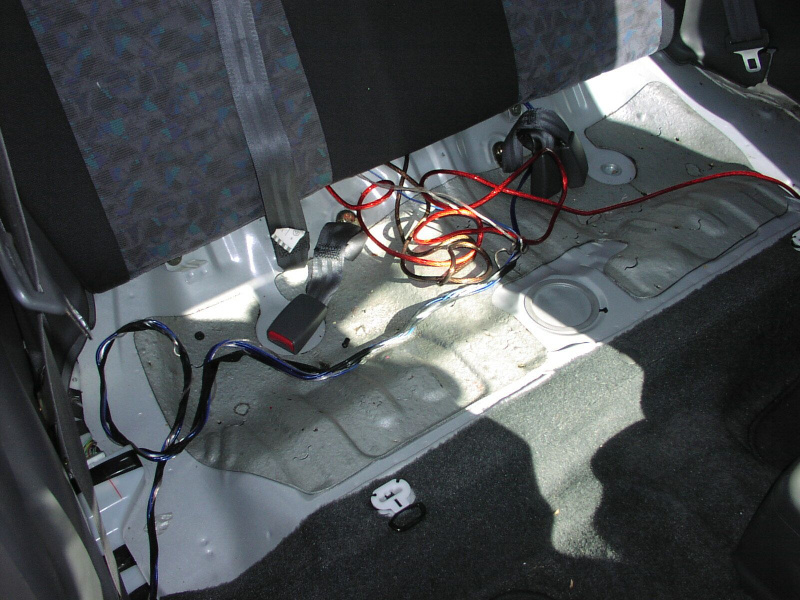 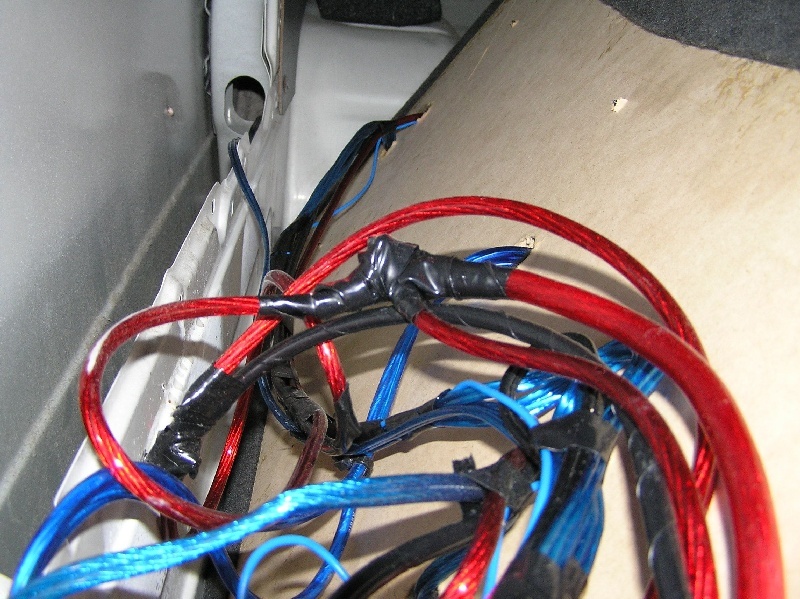 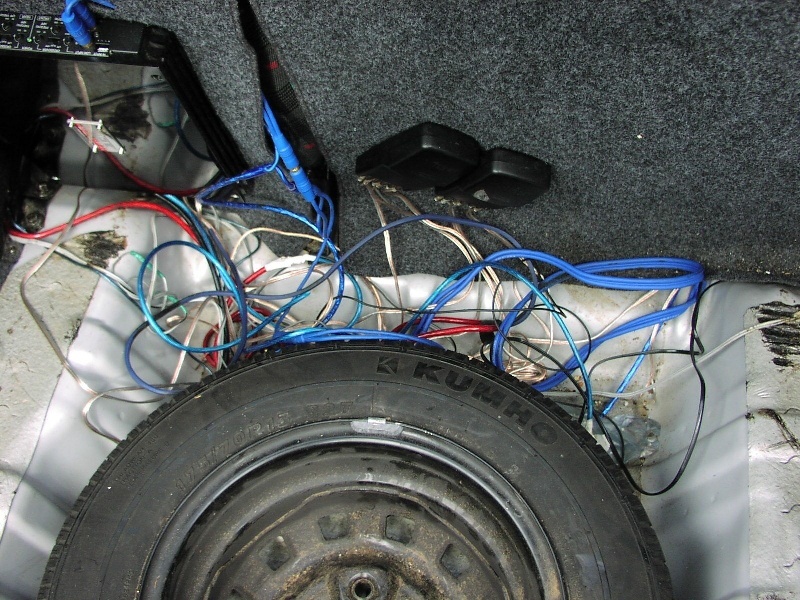 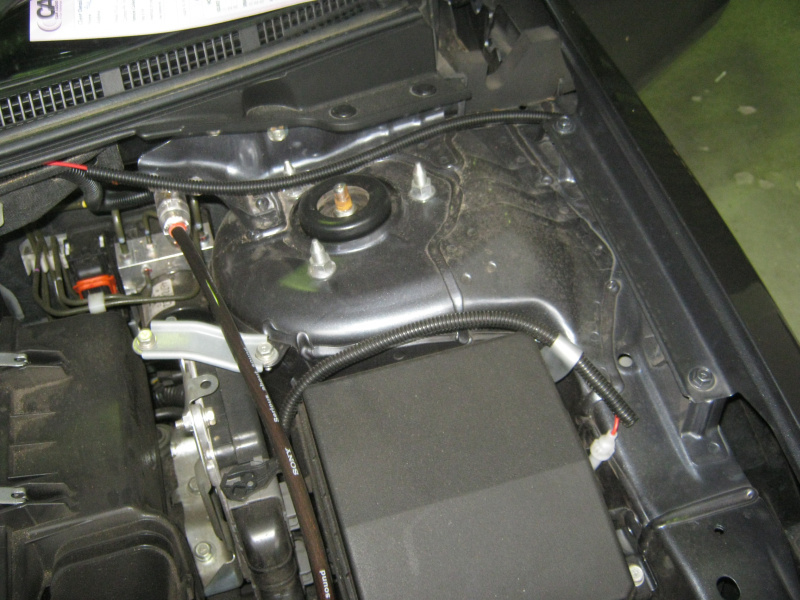 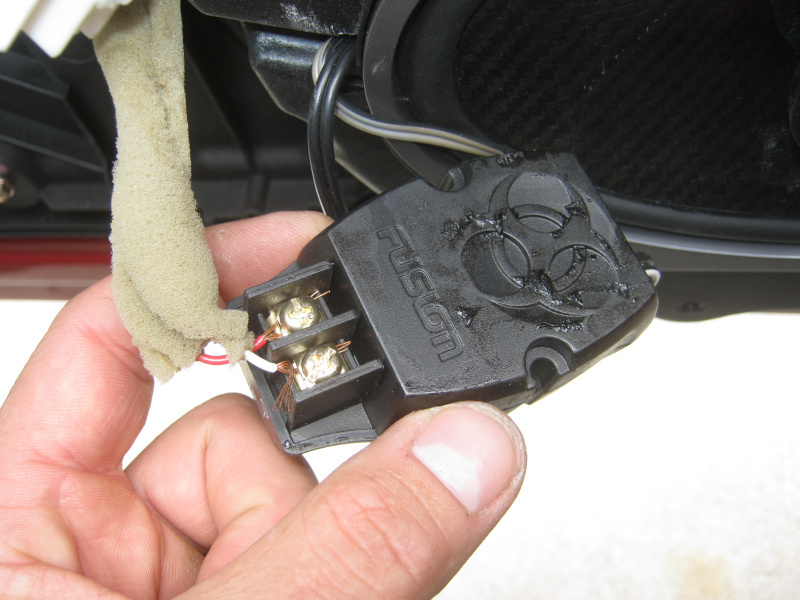 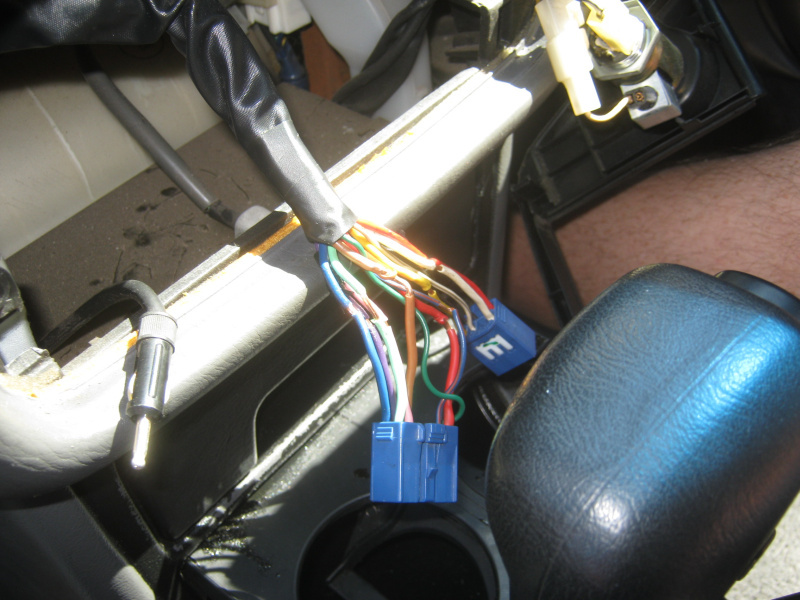 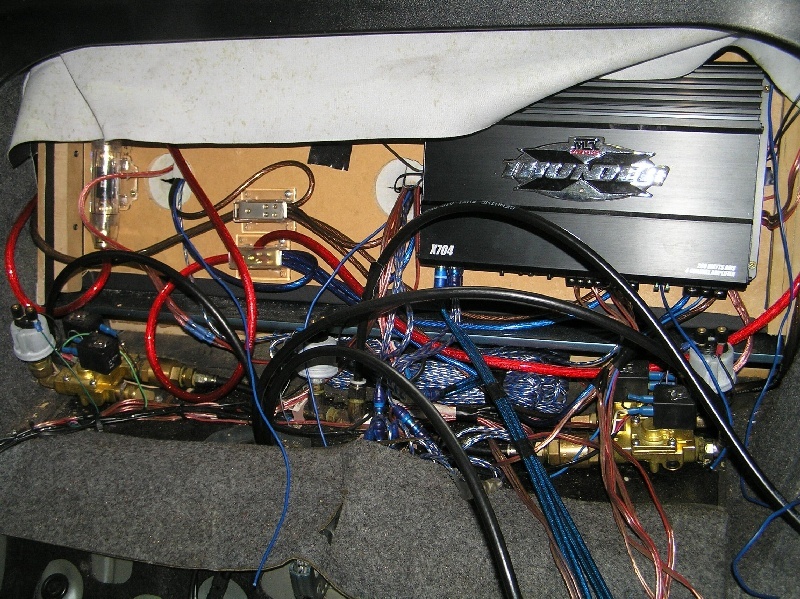 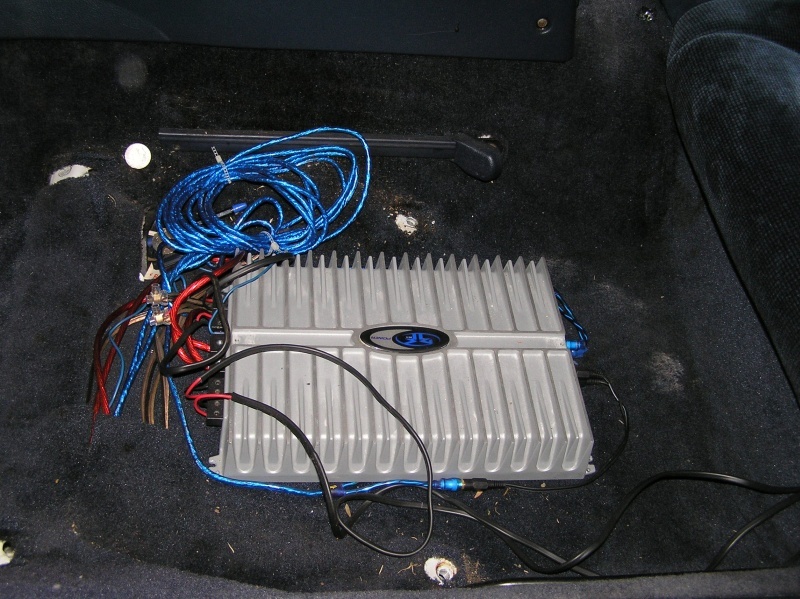 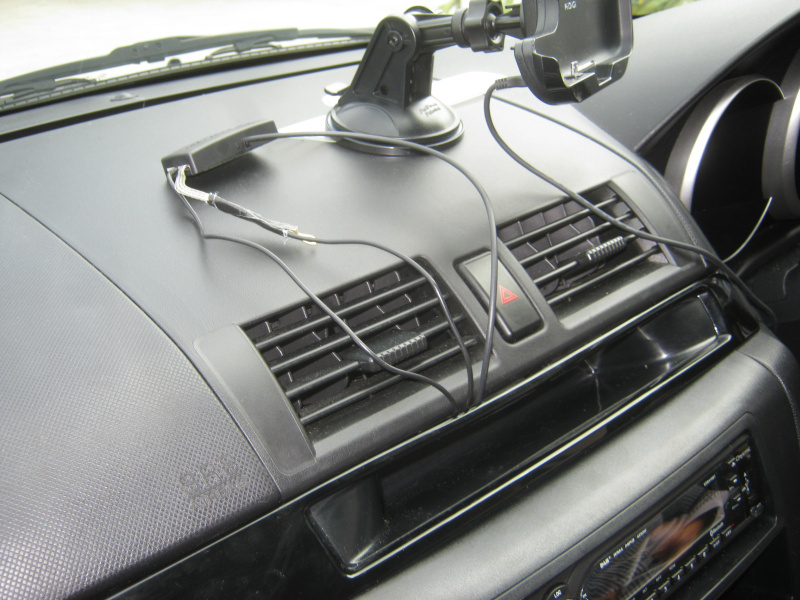 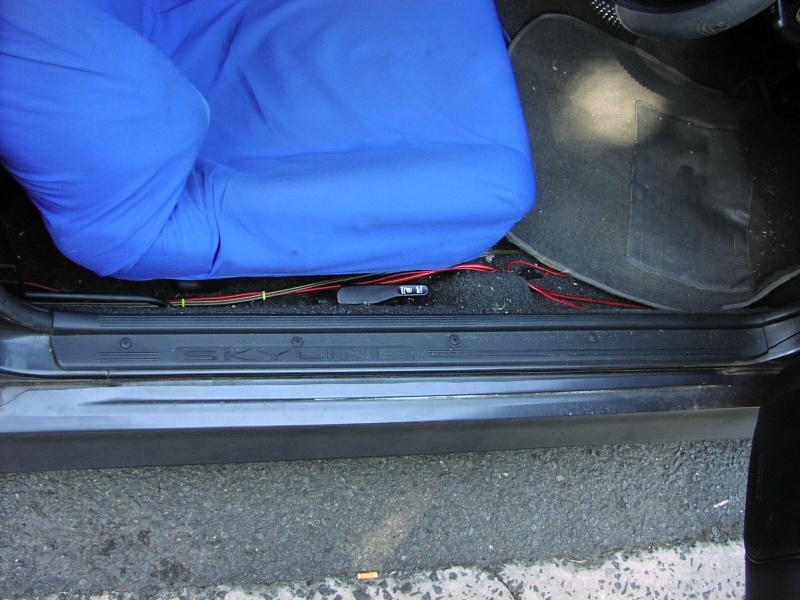 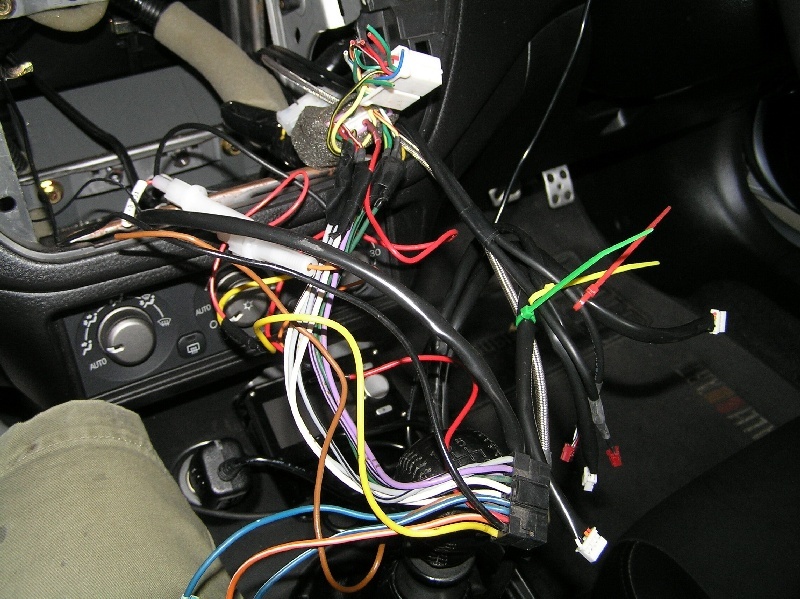 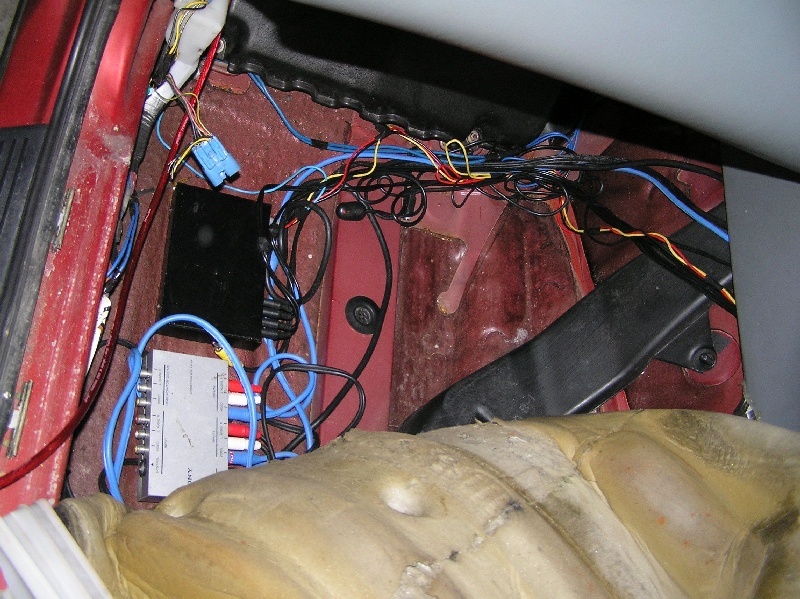 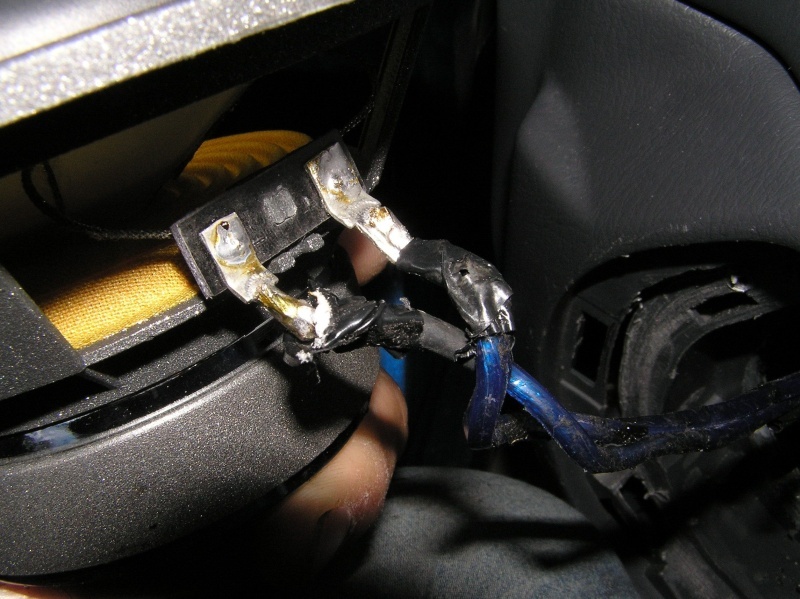 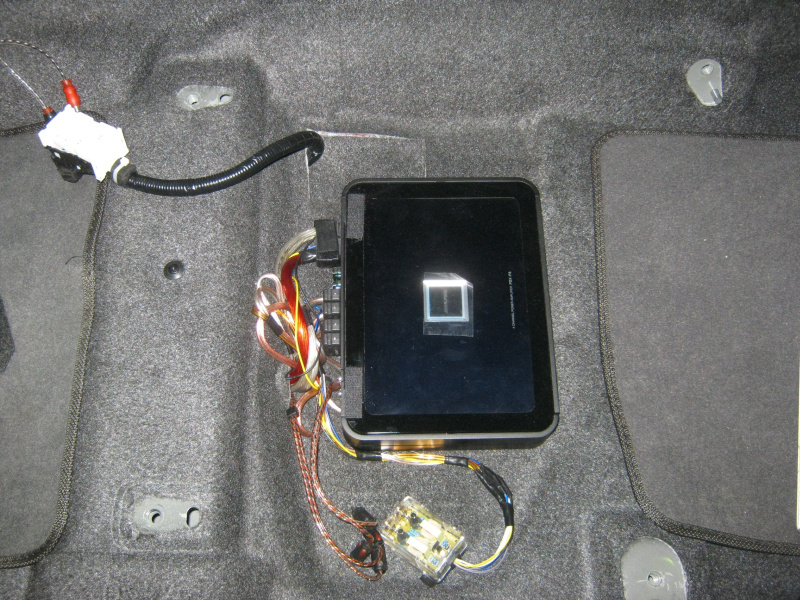 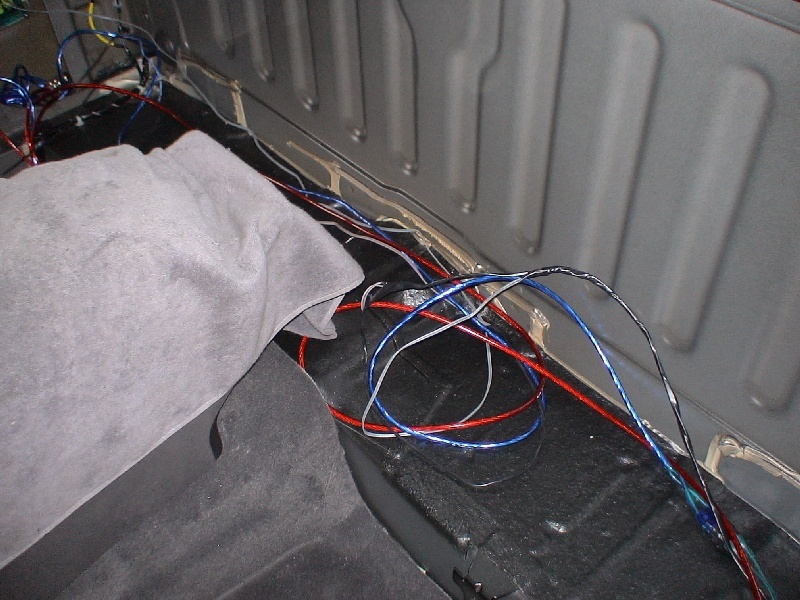 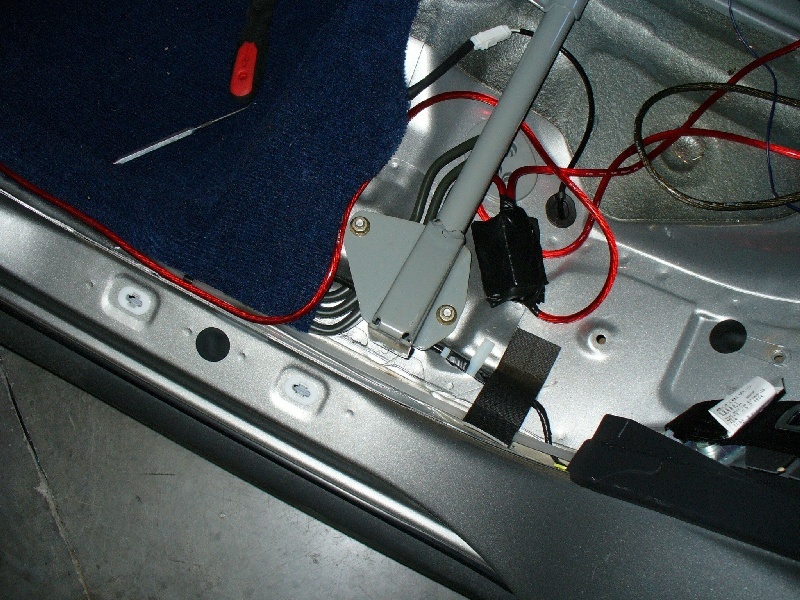 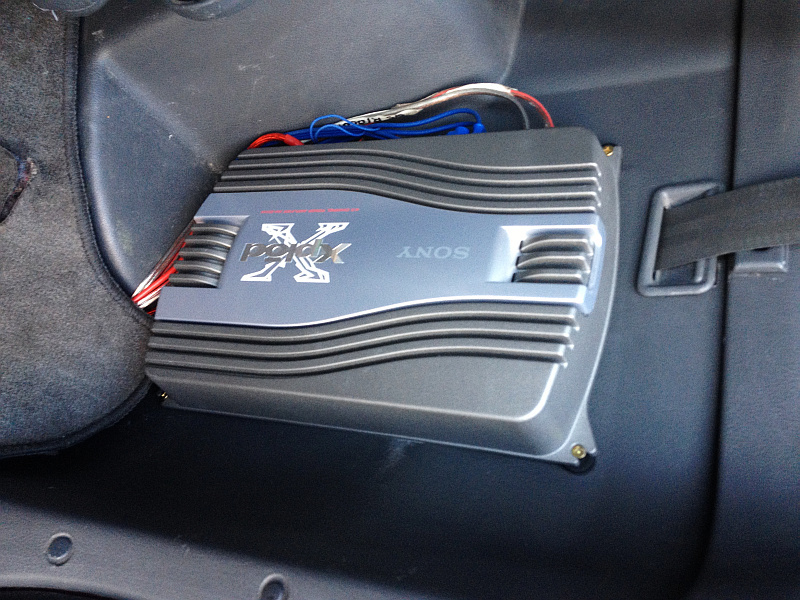 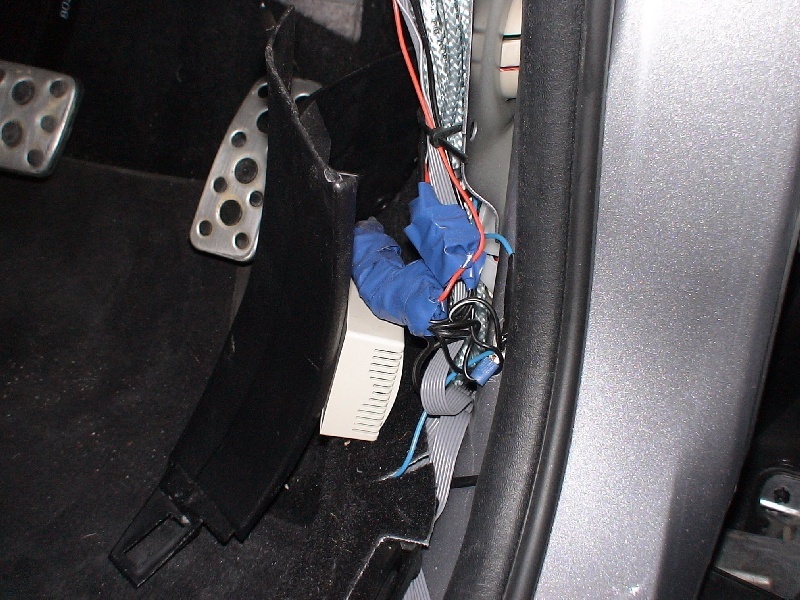 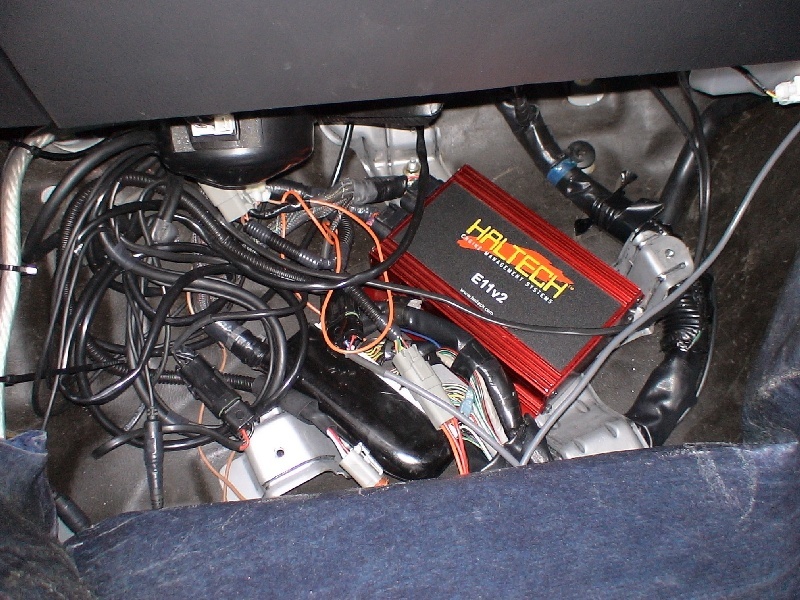 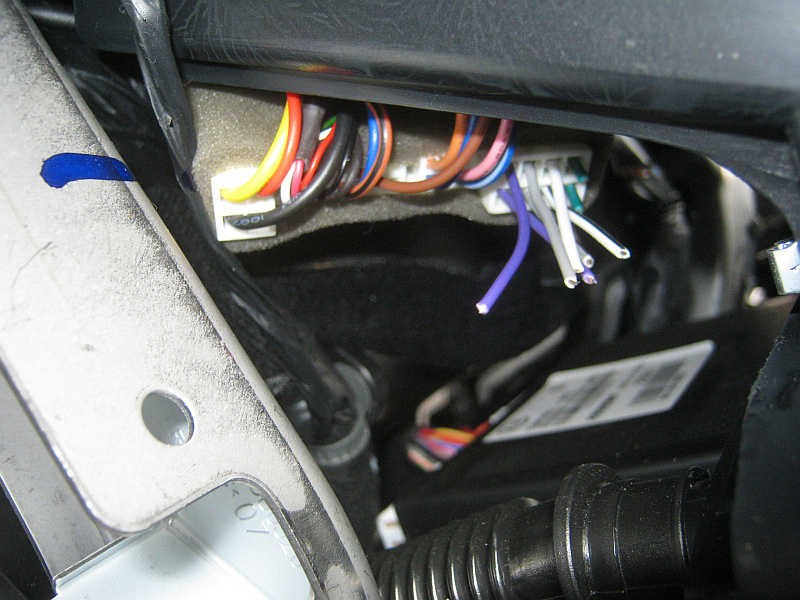 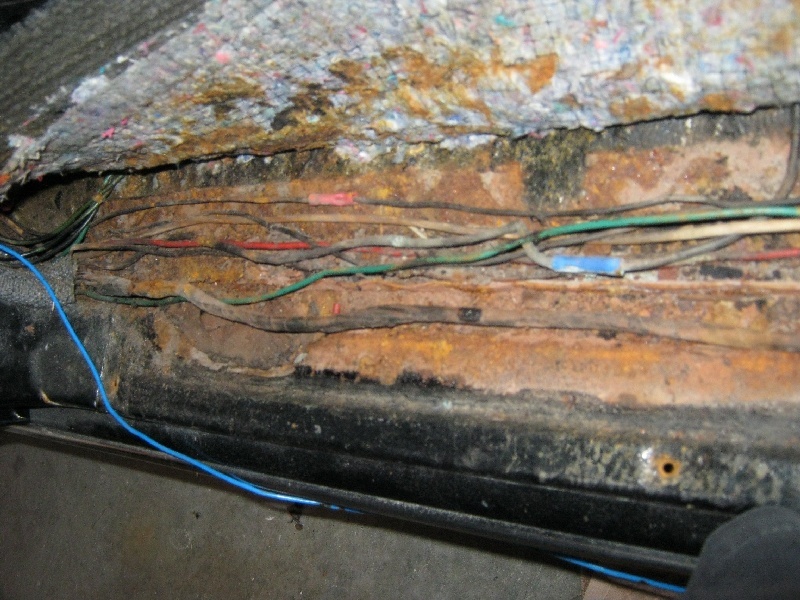 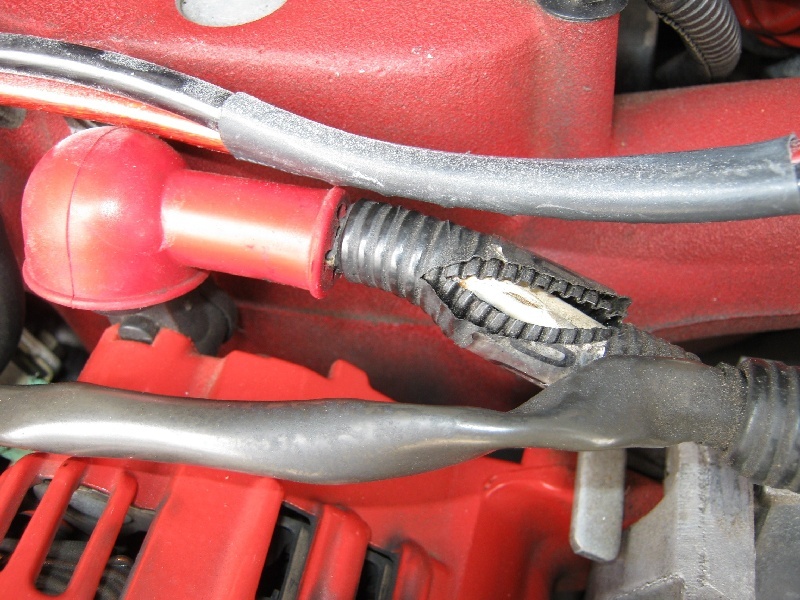 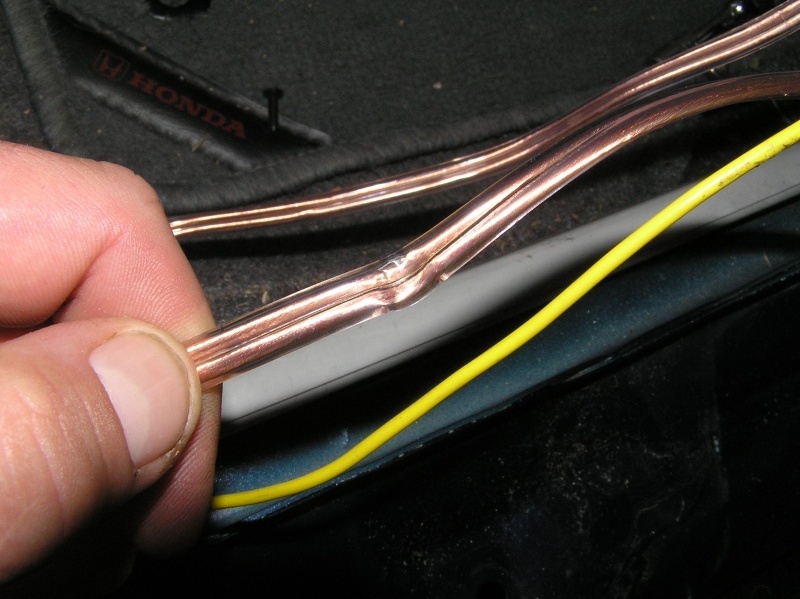 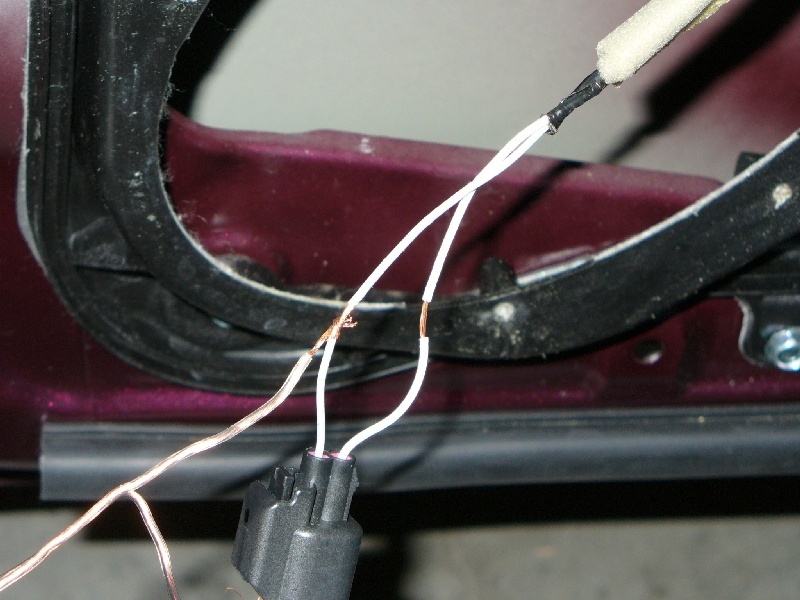 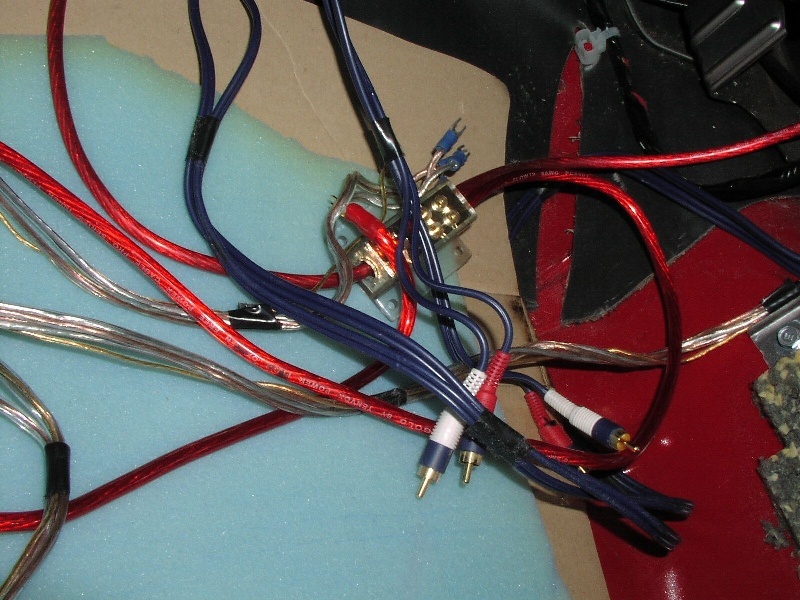 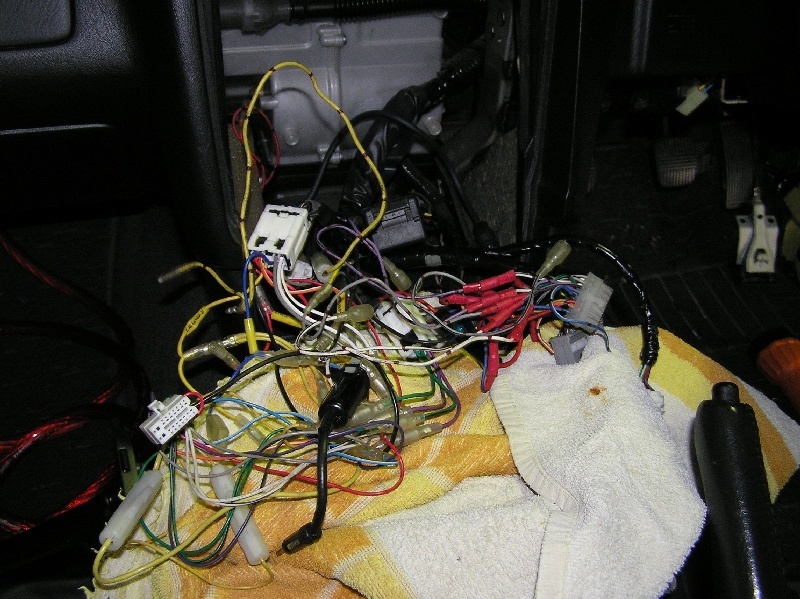 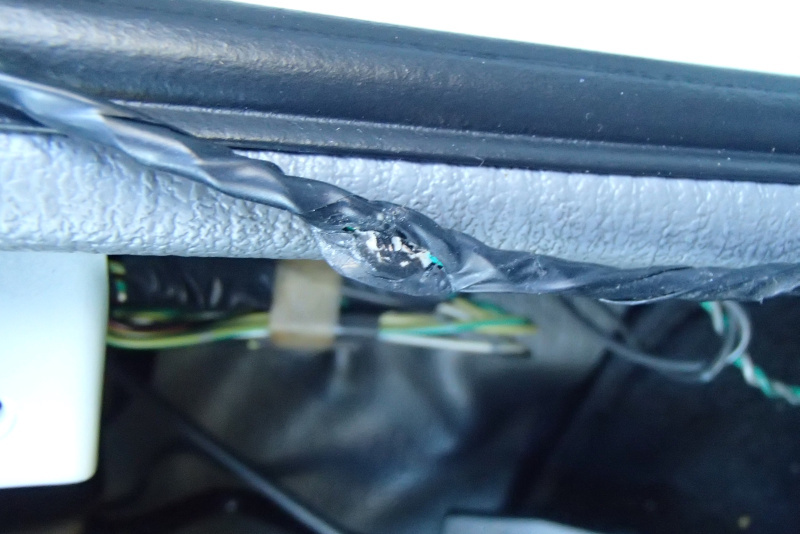 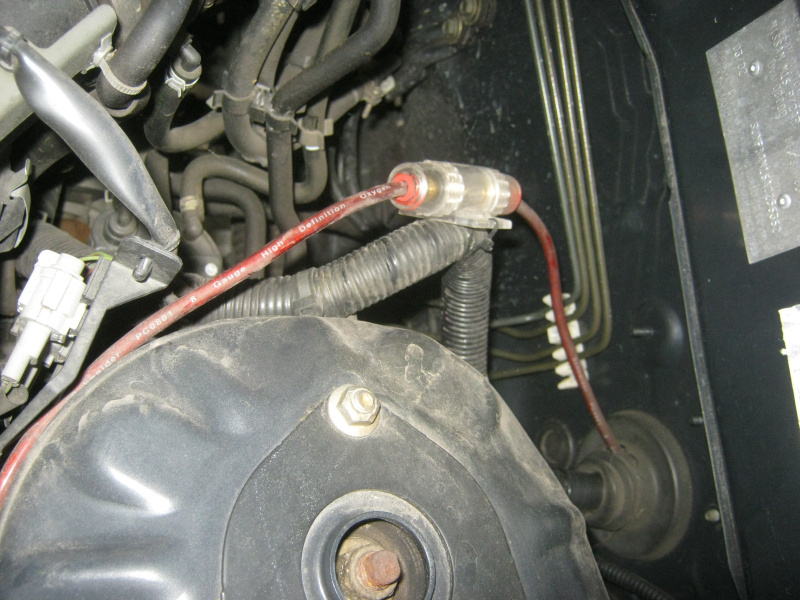 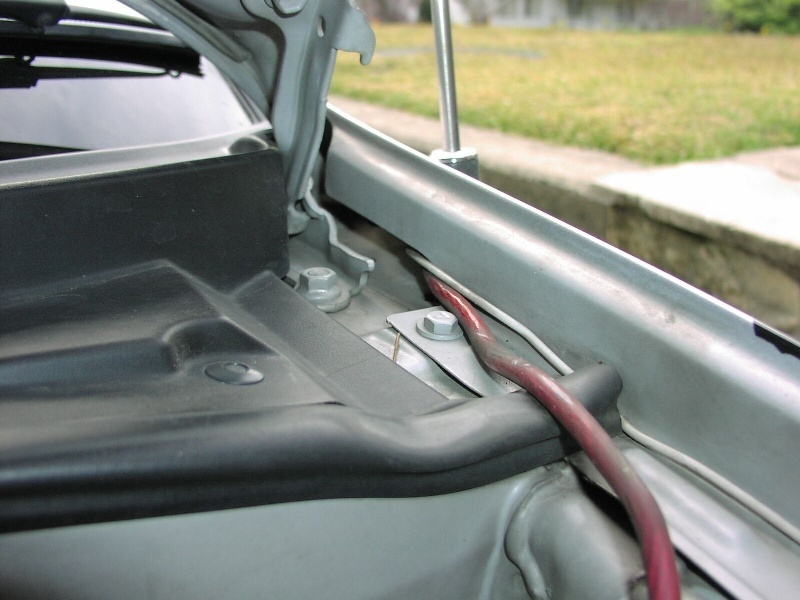 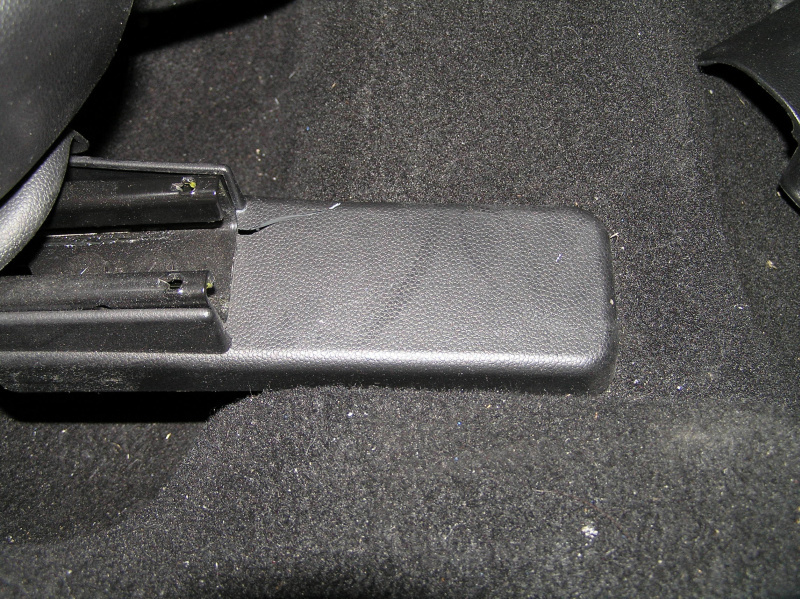 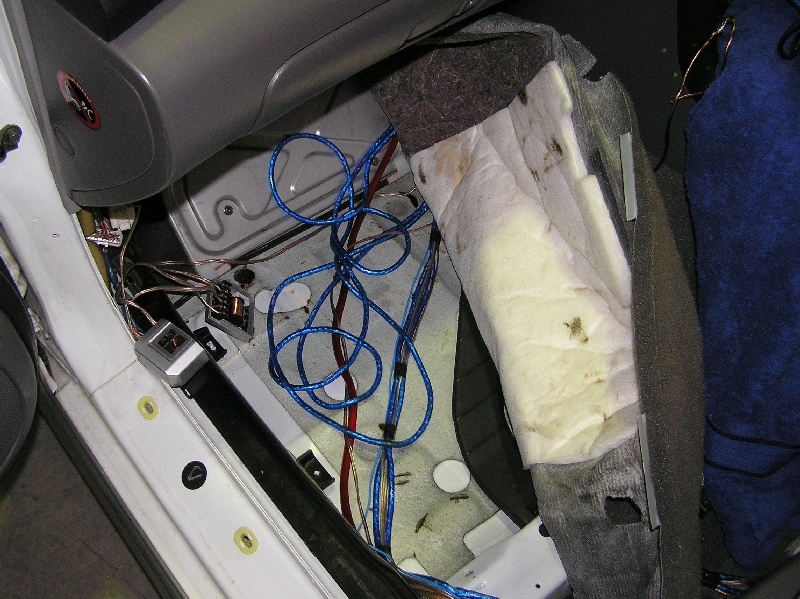 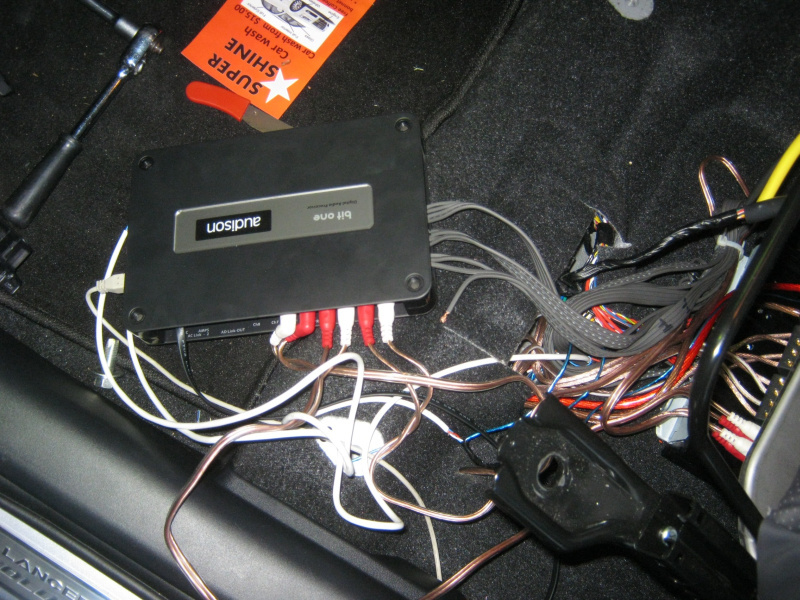 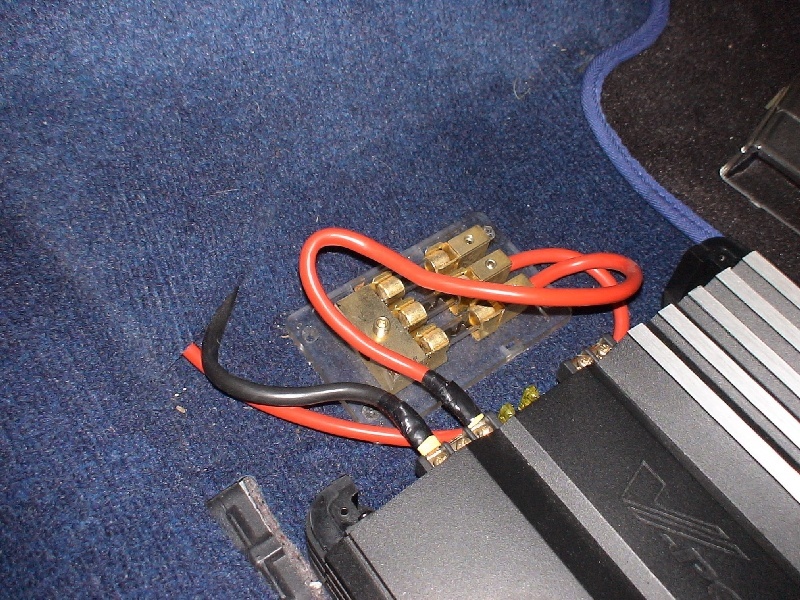 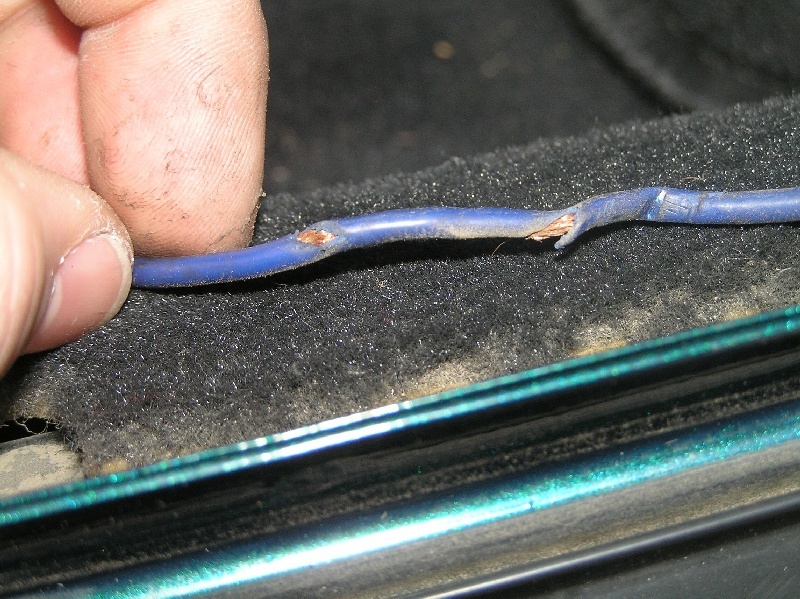 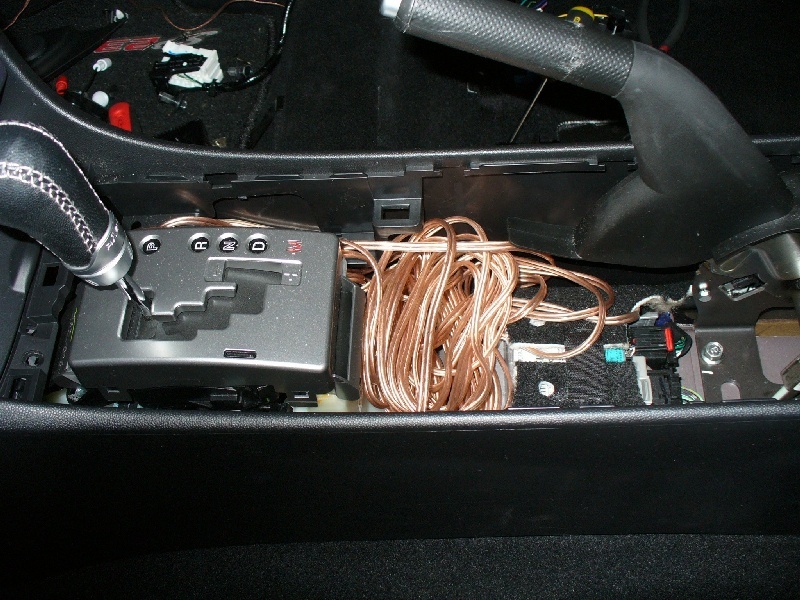 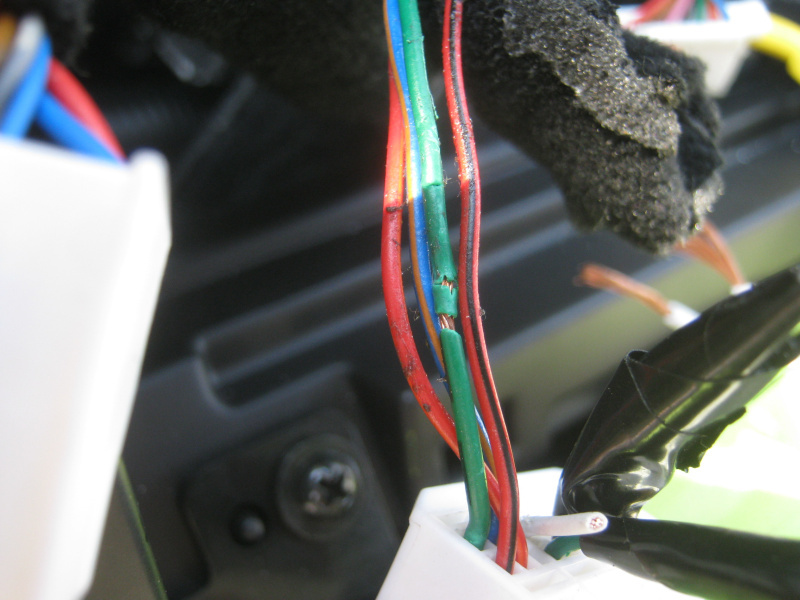 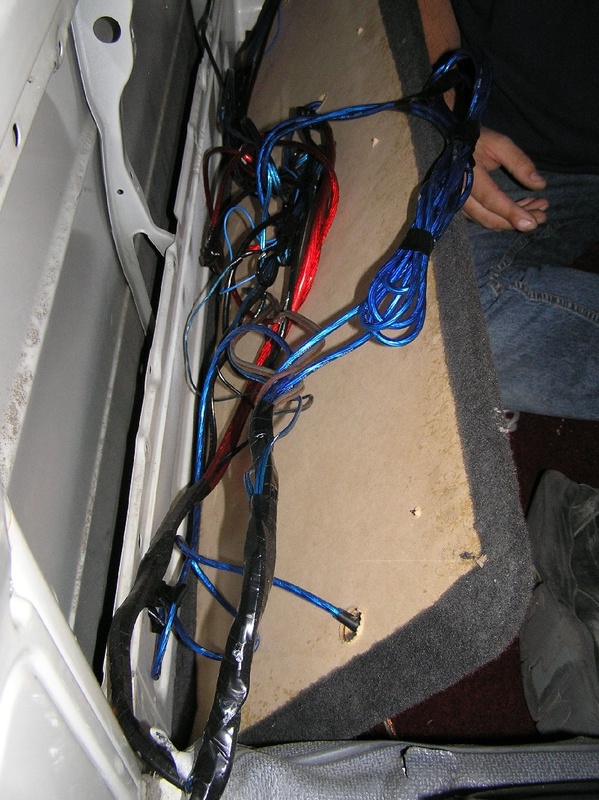 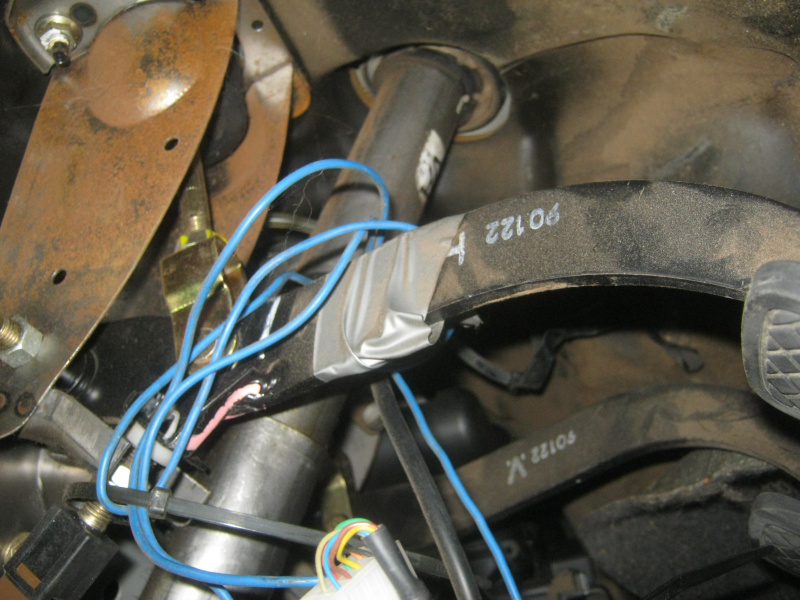 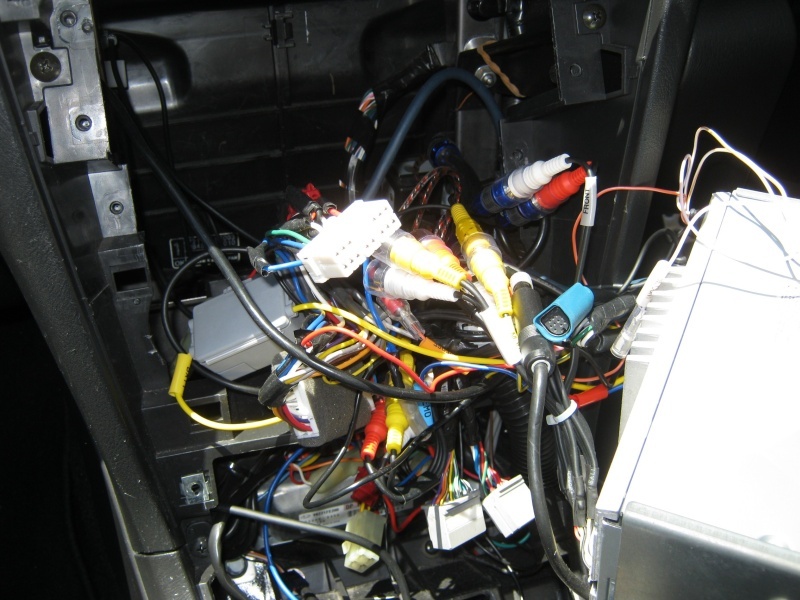 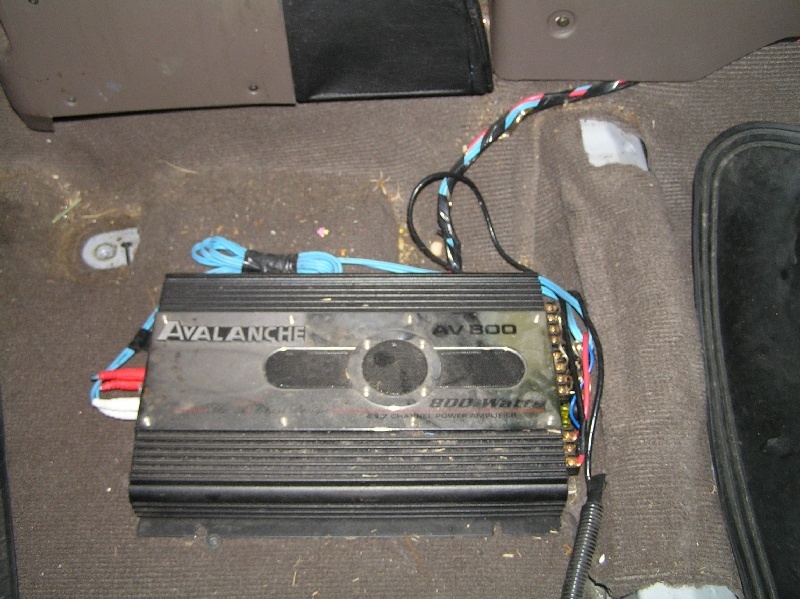 When running cables inside your car you shouldn't see them from any normal seated position. 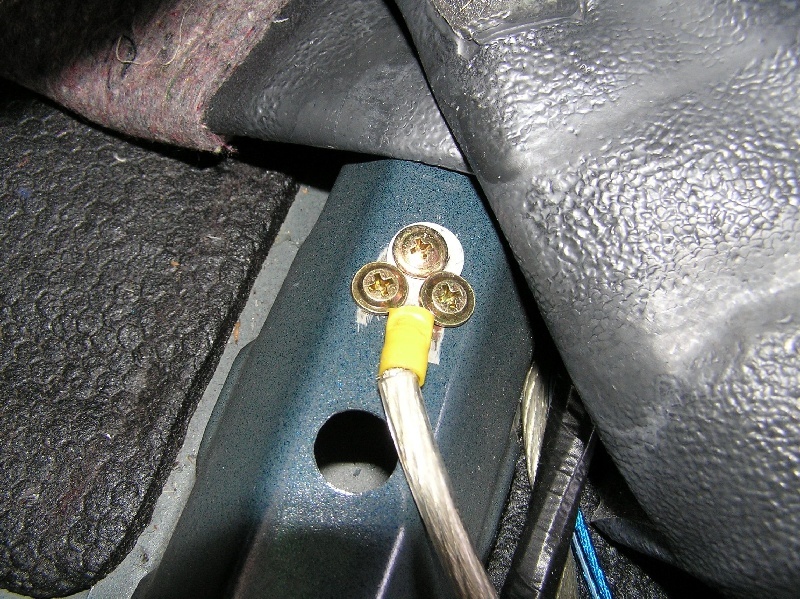 Sure we've all seen the odd cable hanging down a little from under a dash from time to time looking to get snagged by the odd foot. 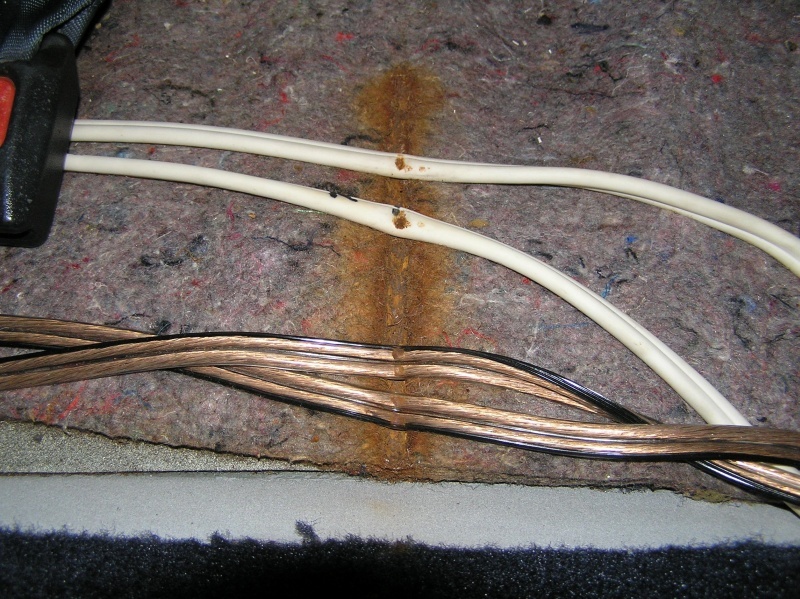 But sometimes we see even more stunning examples - like when shops don't even bother running cables under carpet at all but rather just lay them on top. 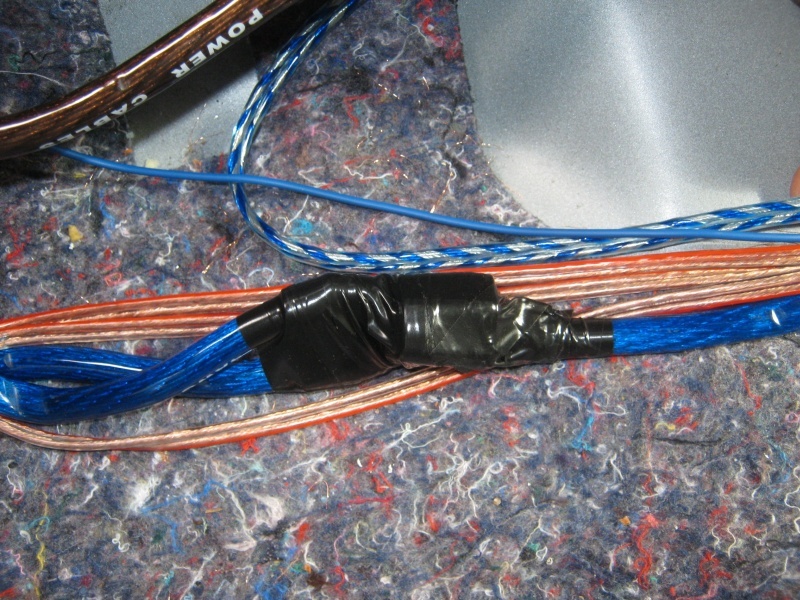 Sometimes we all have to join cables. 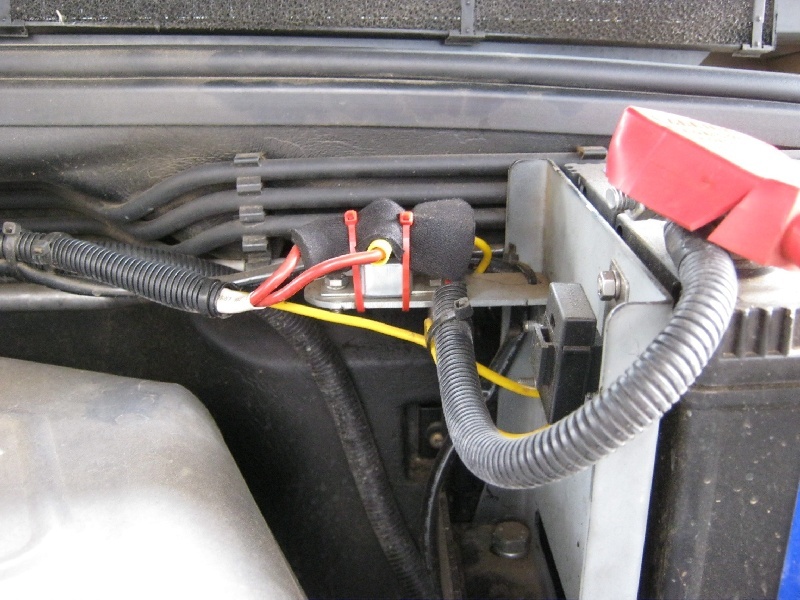 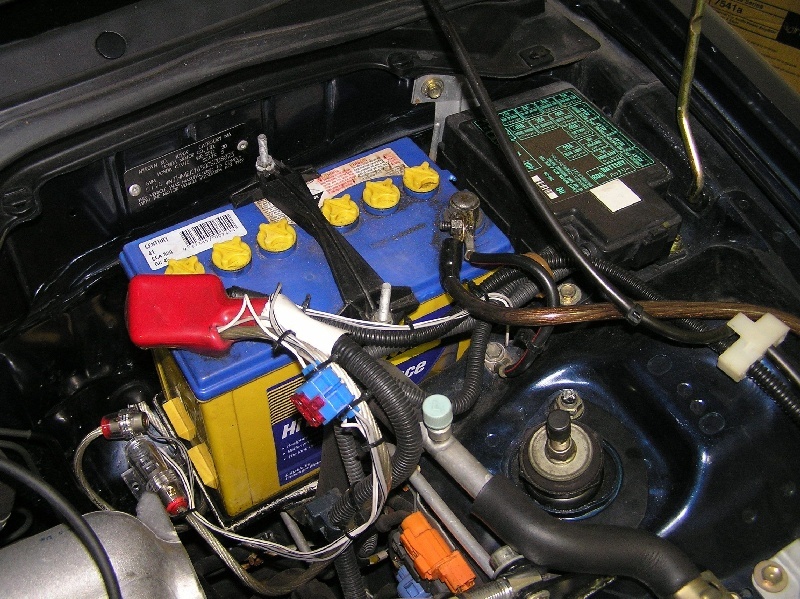 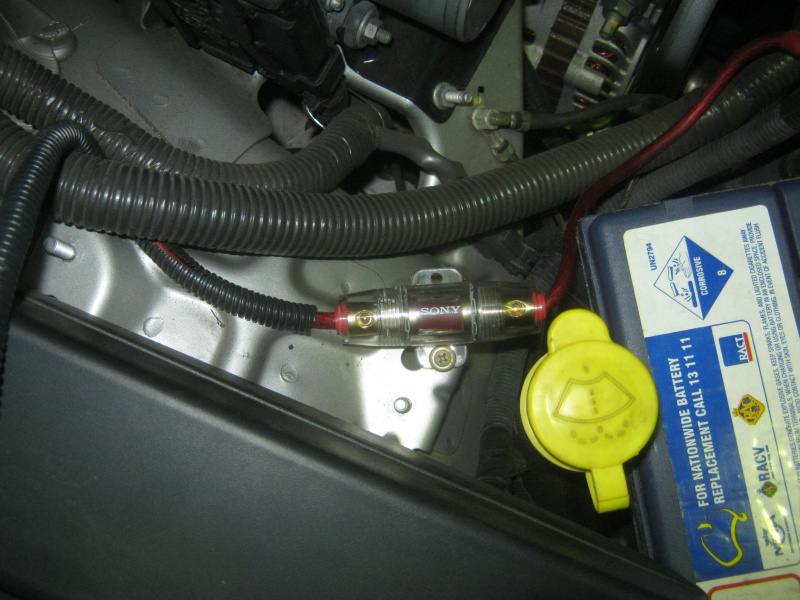 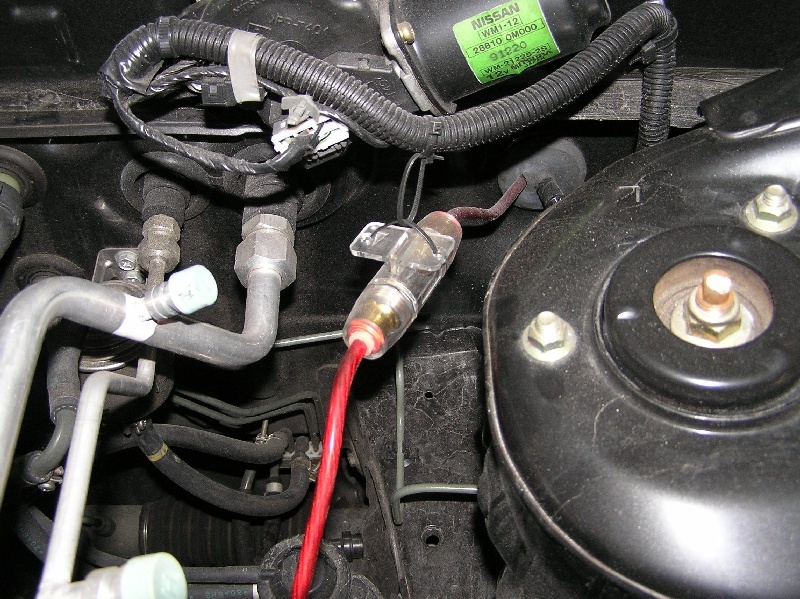 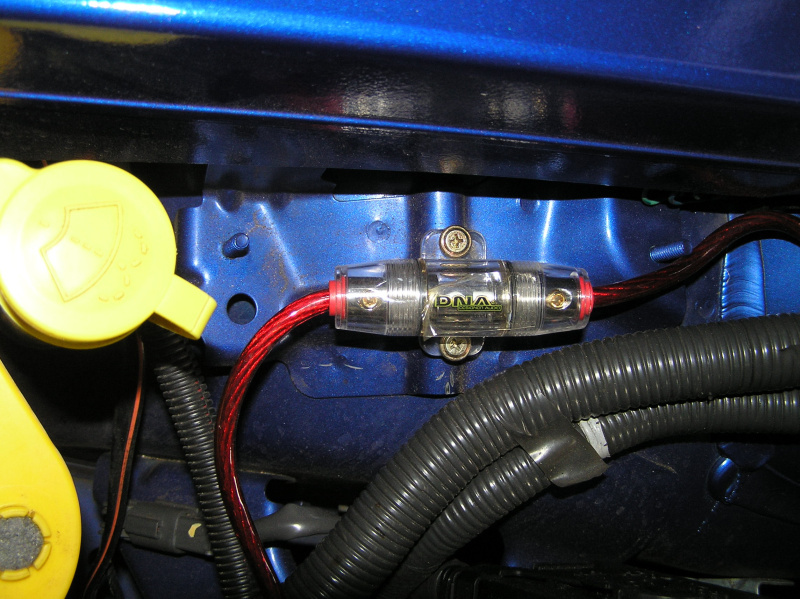 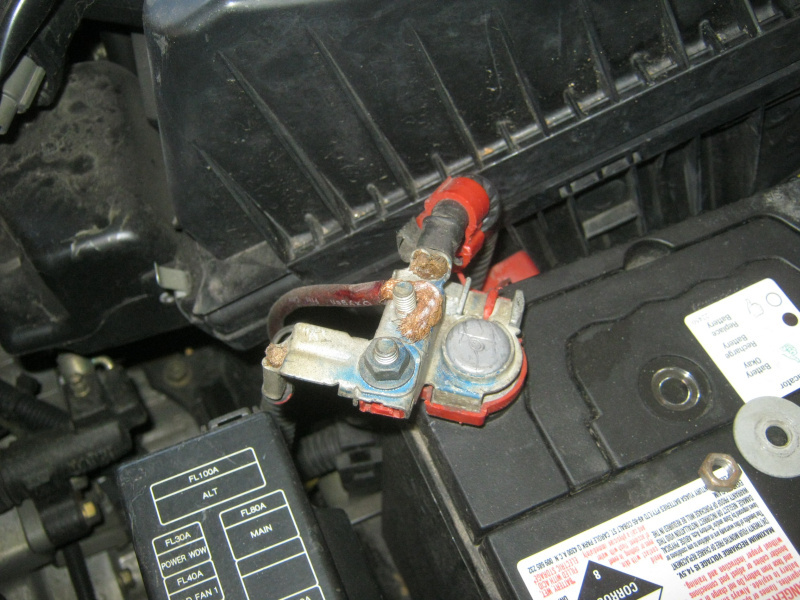 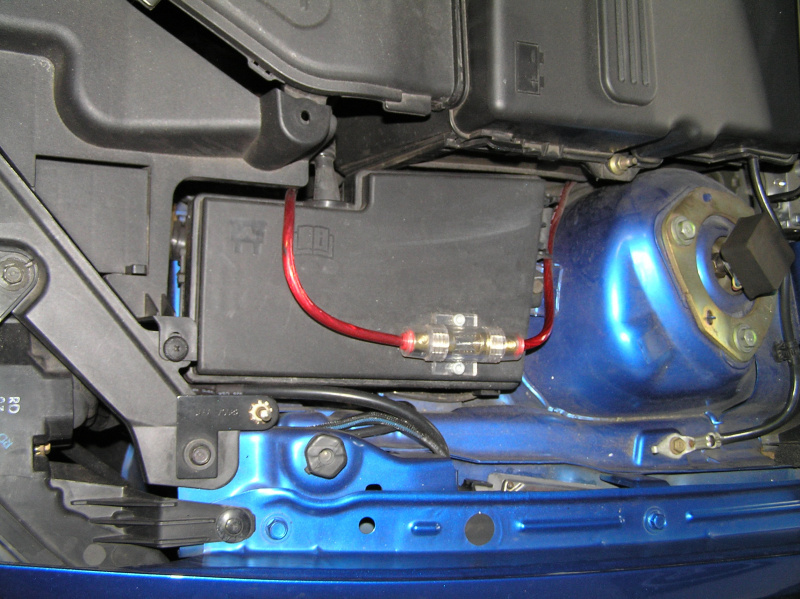 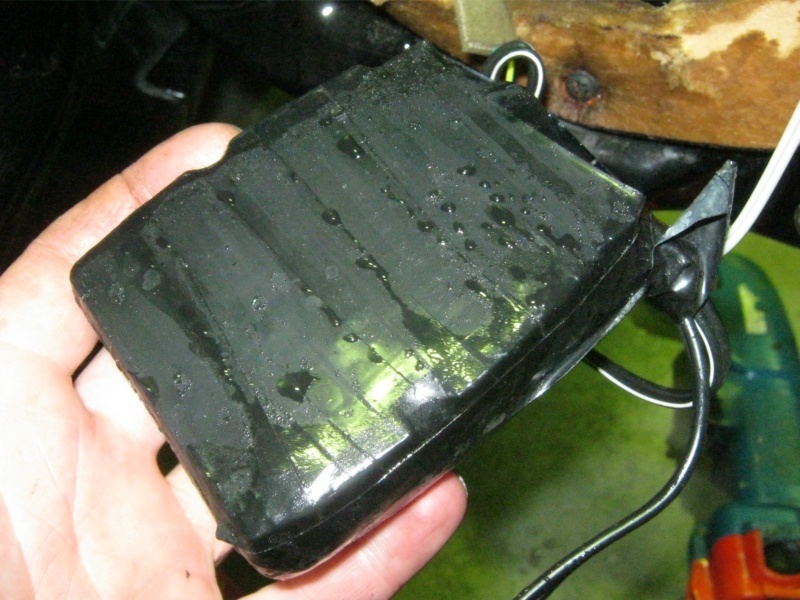 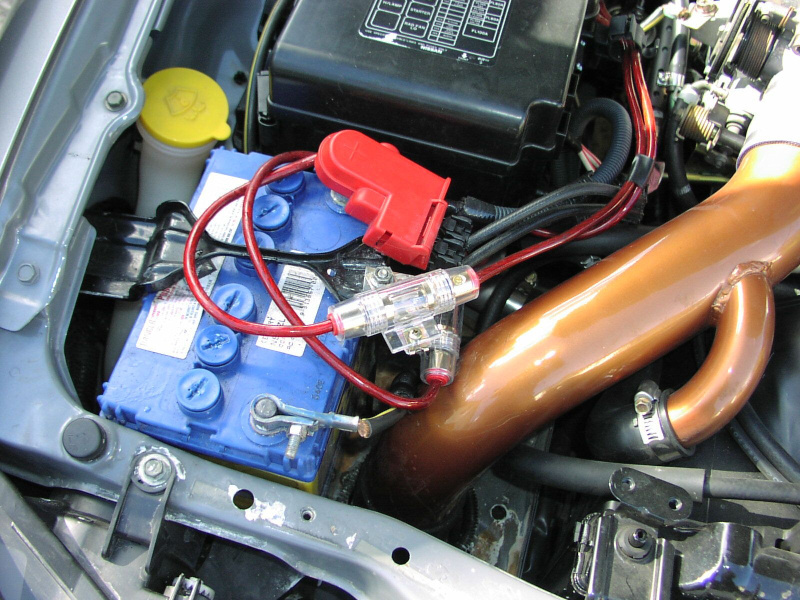 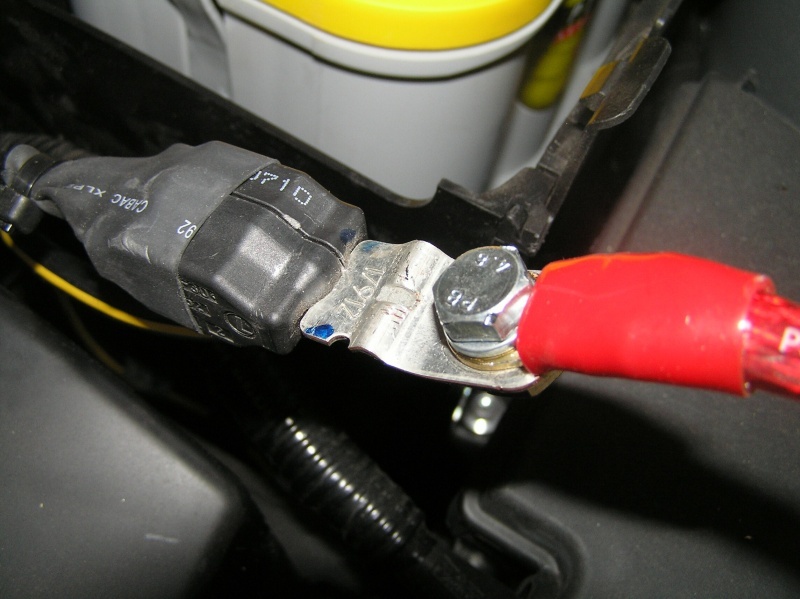 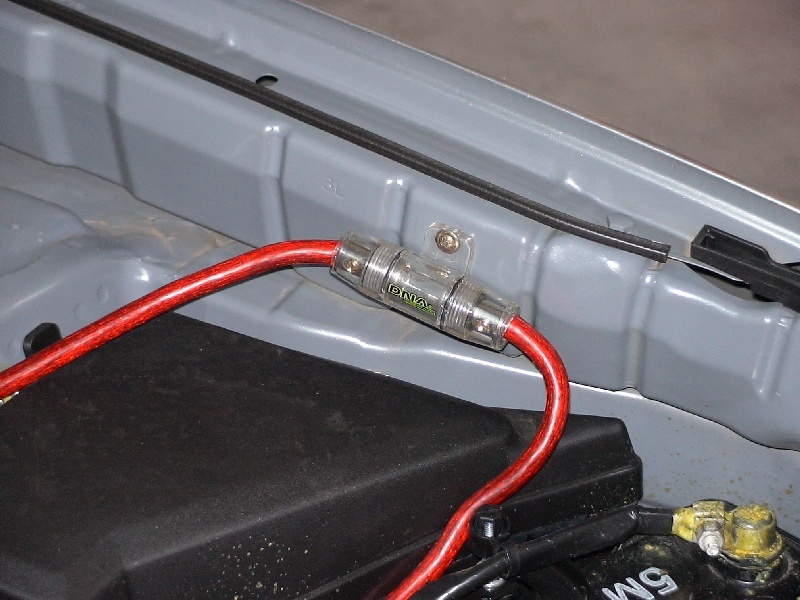 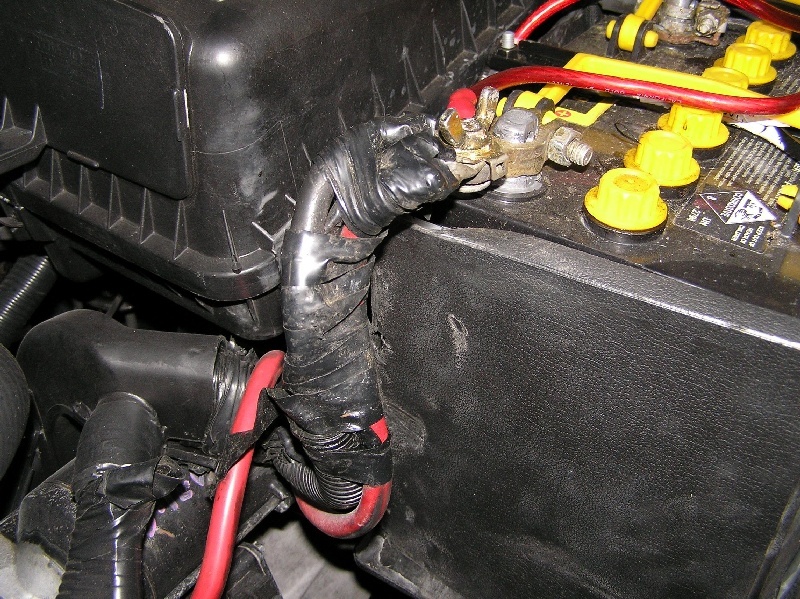 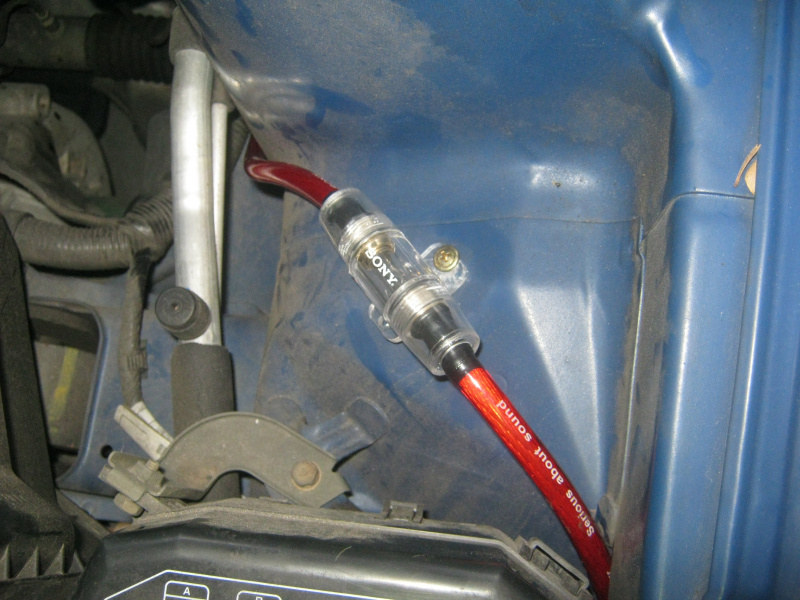 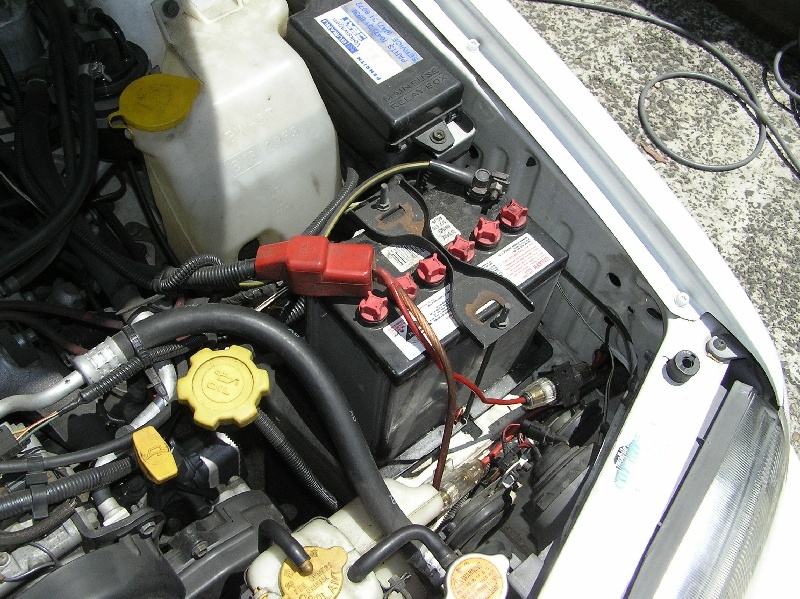 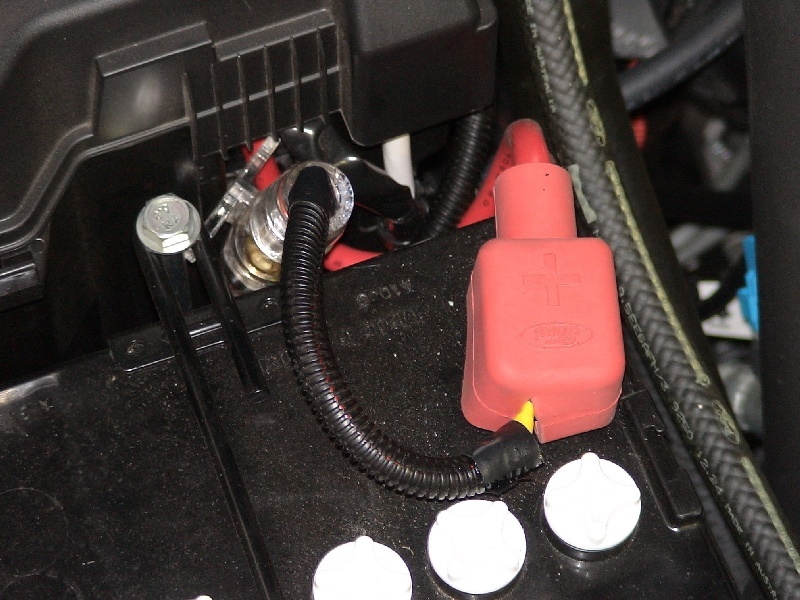 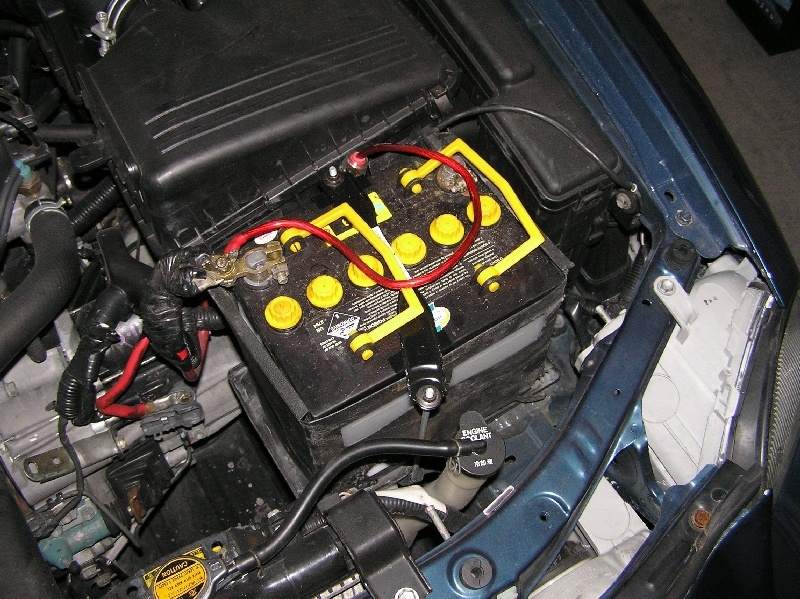 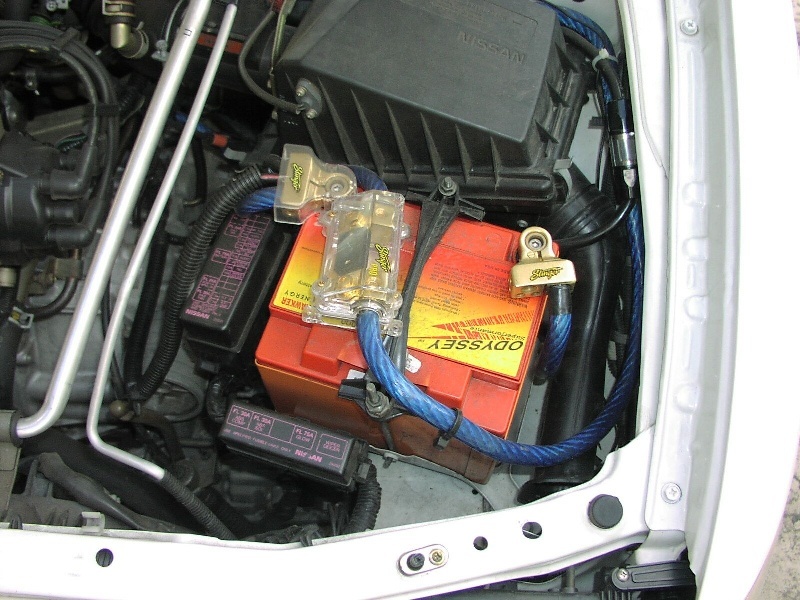 Whether we're simply joining a power cable to extend its length or if you've relocated your entire battery setup to your boot, you should always use a coupler for single cables or a distribution block for two or more. 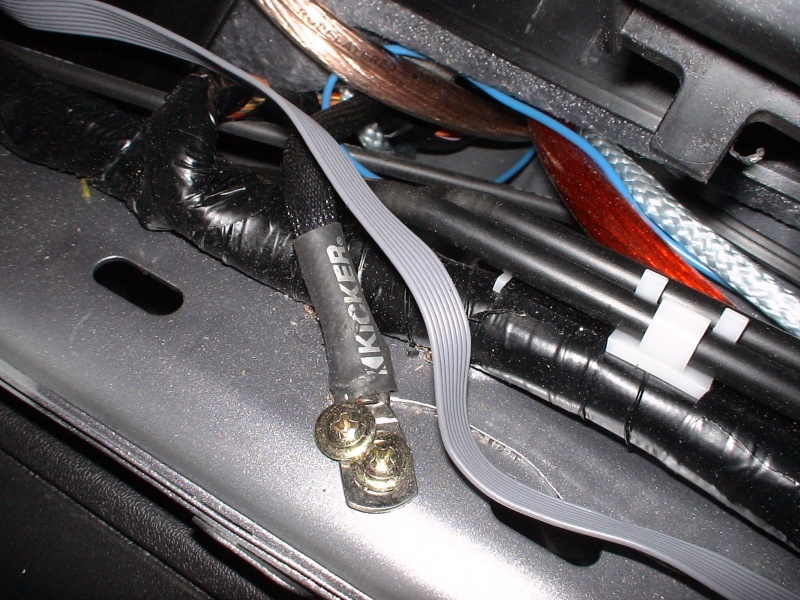 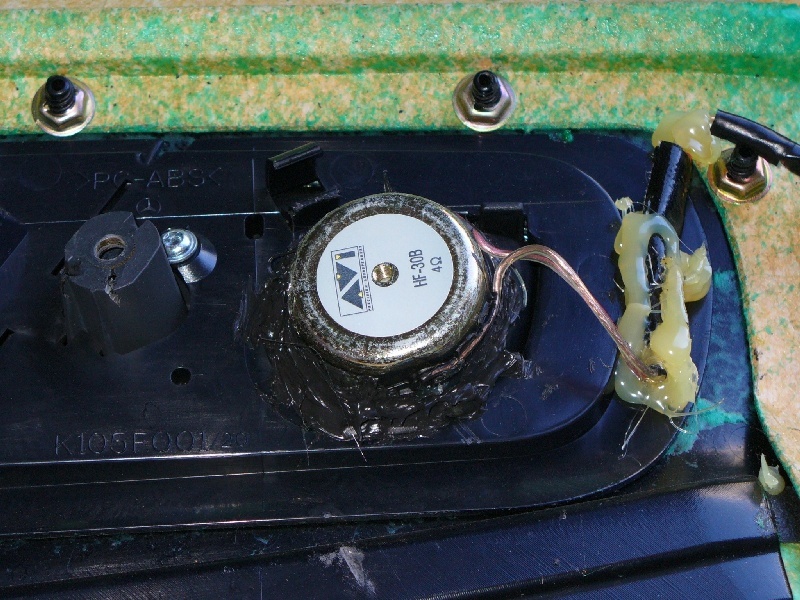 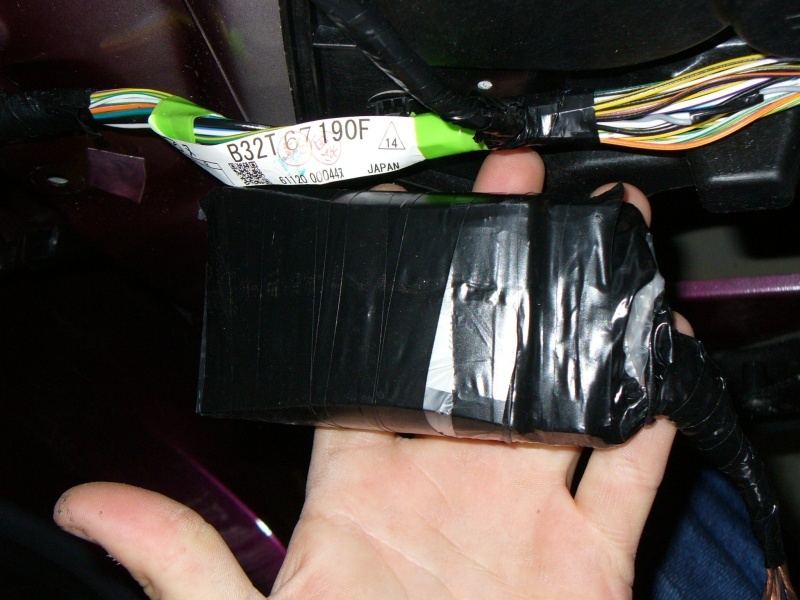 What you should not do is simply throw a nut and bolt in there and electrical tape the whole affair together. 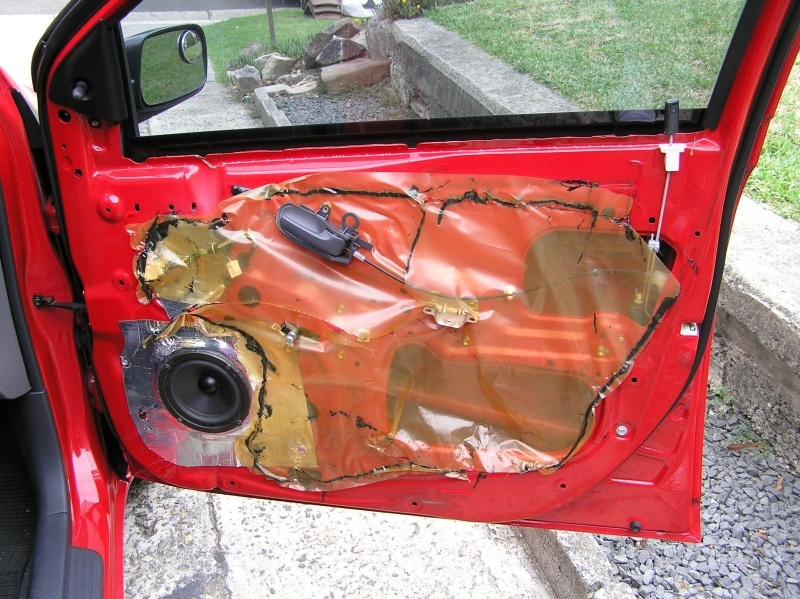 Not only is this a terrible eyesore, it's also extremely dangerous if that tape ever comes loose. 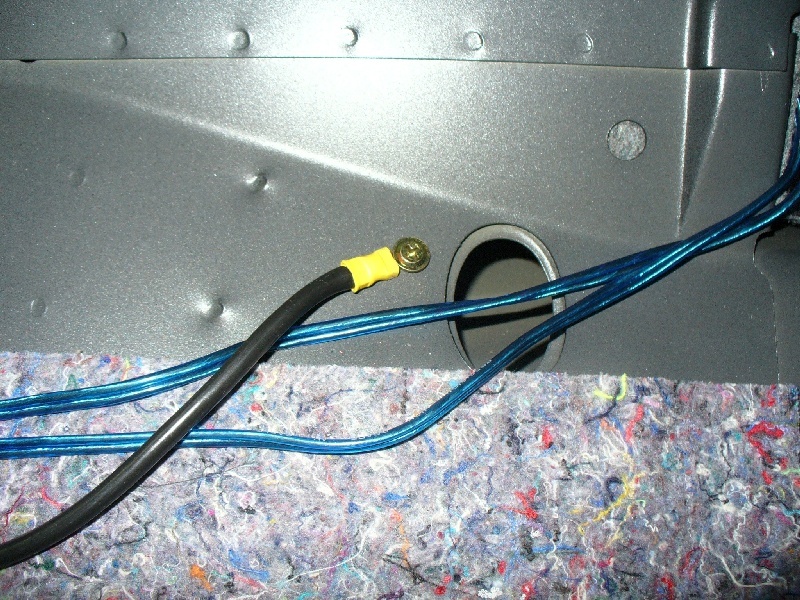 If you are joining multiple cables you should use a distribution block. 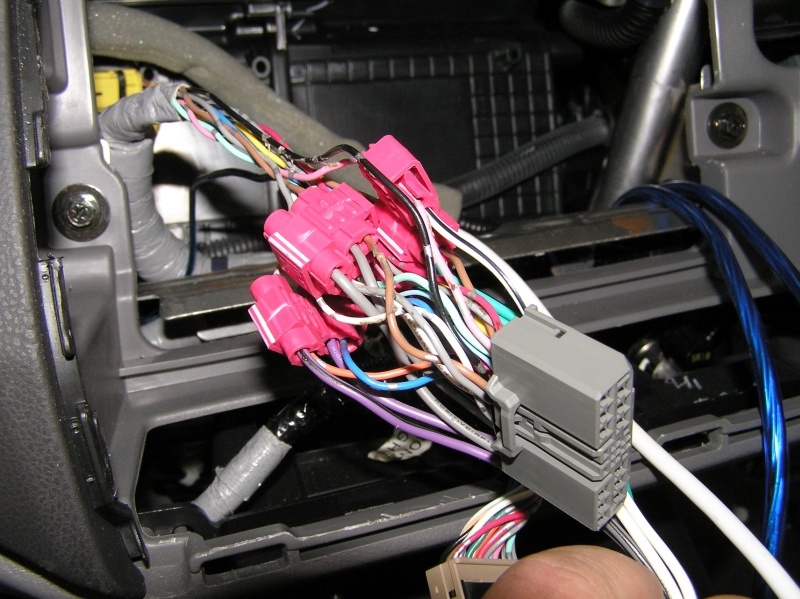 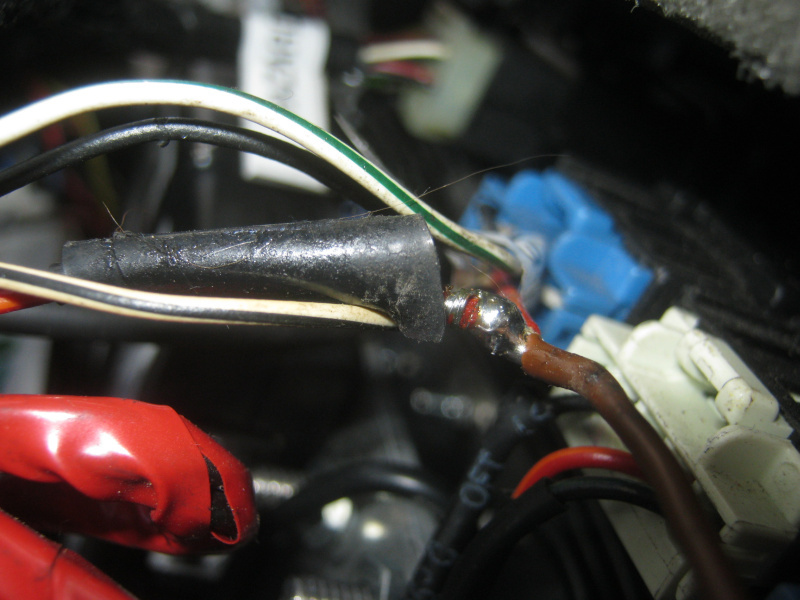 You should never just put the cable ends together in a great heap and simply tape them together. 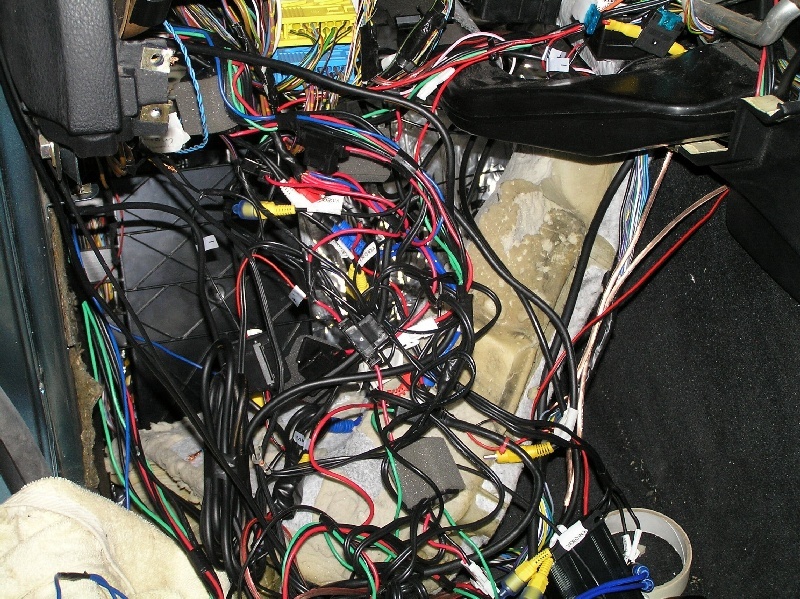 However this is only part of the equation though. 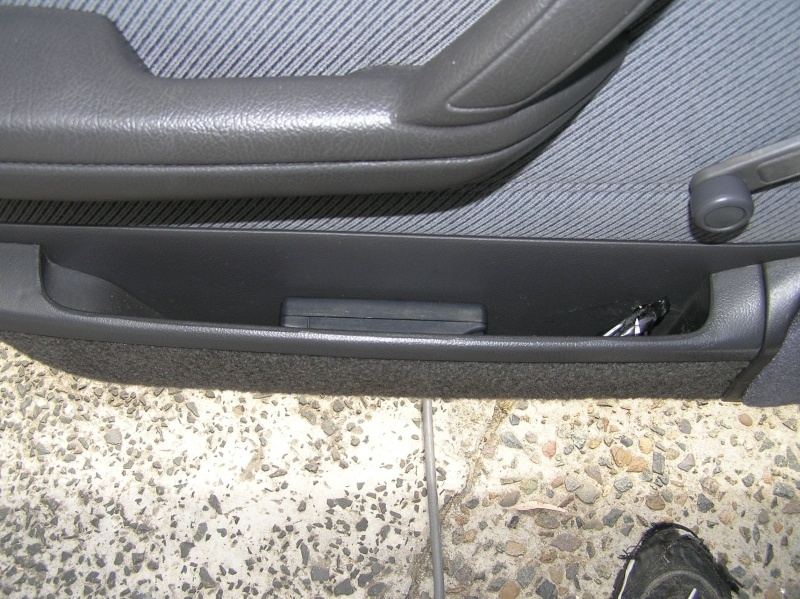 For once you've employed the distribution block you need to secure it somewhere safe. 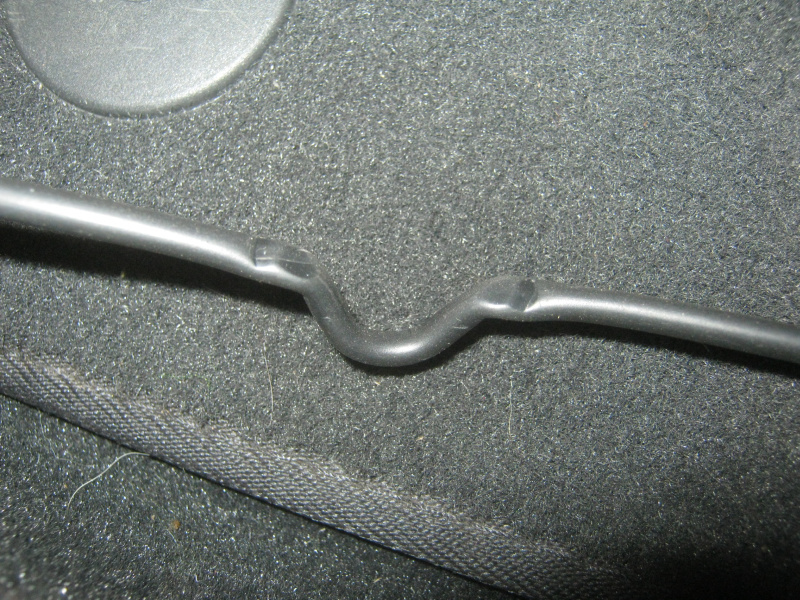 This doesn't always mean simply screwing it down - there are actually many different tricks and techniques we use here to secure them. 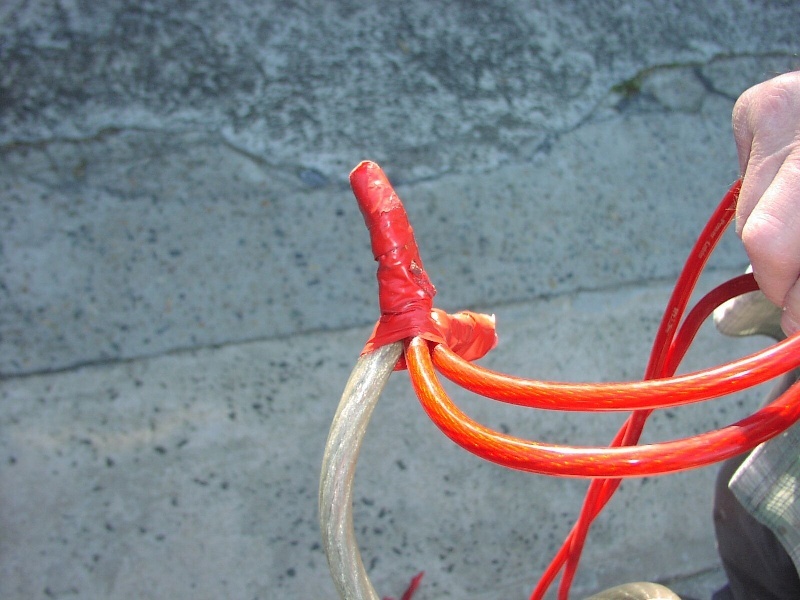 But one thing you definitely shouldn't do is to simply wrap them in tape and leave them just swinging in the breeze. 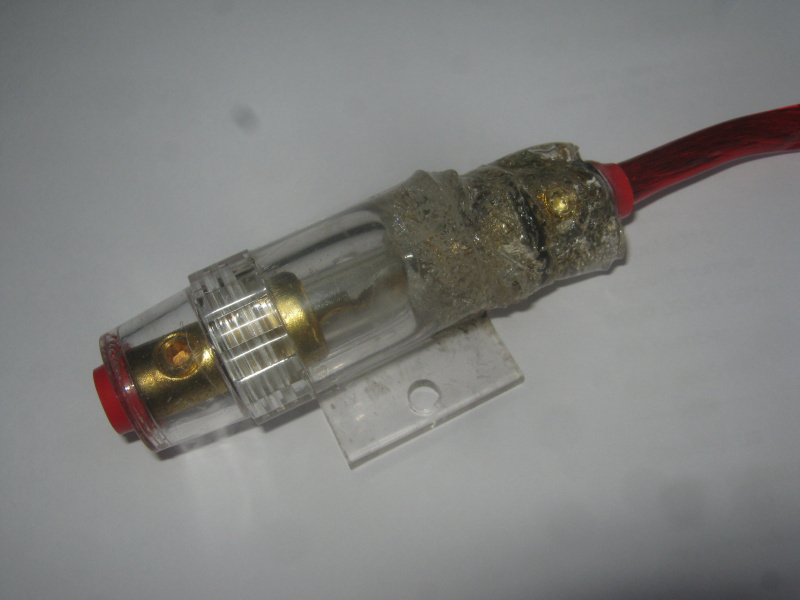 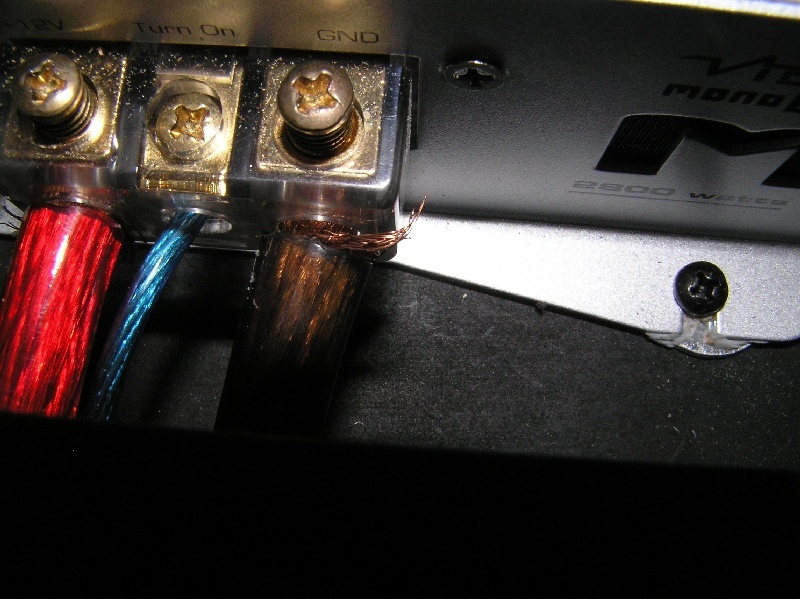 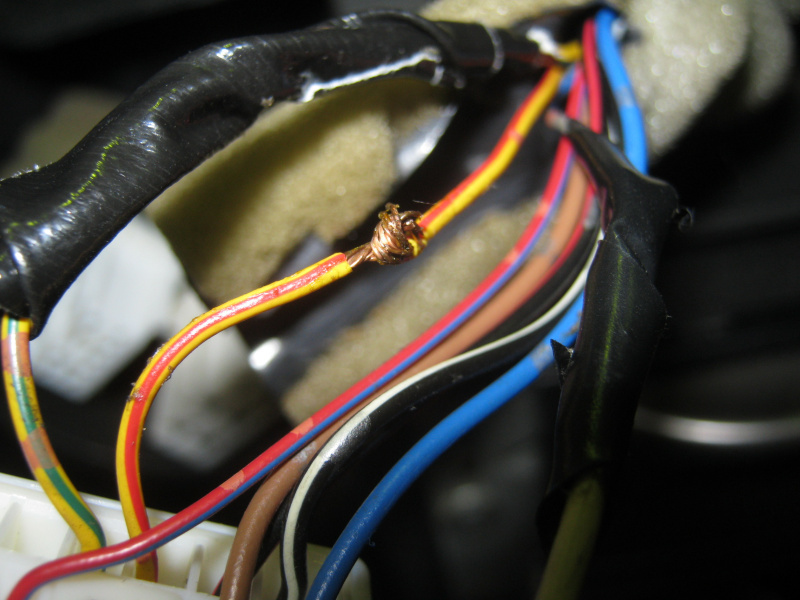 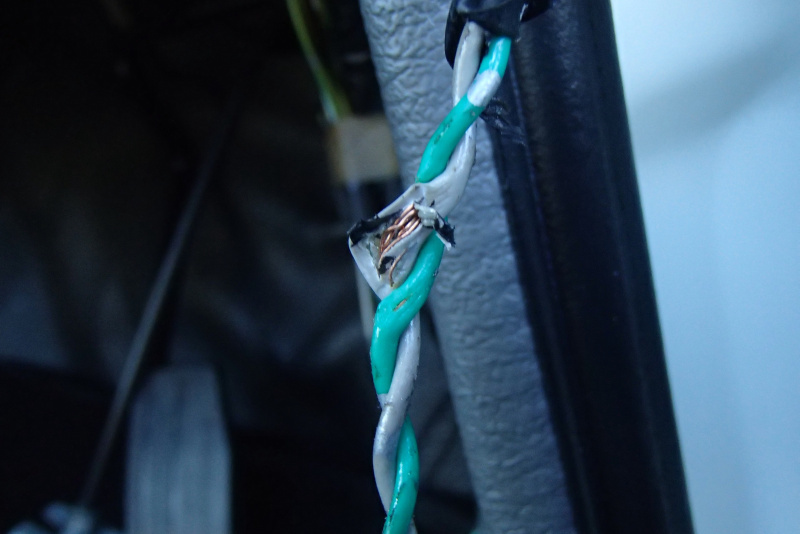 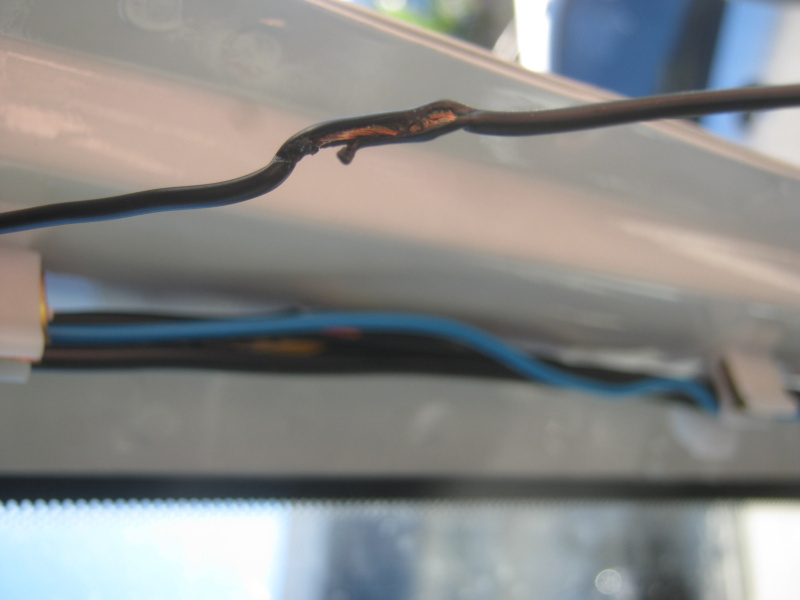 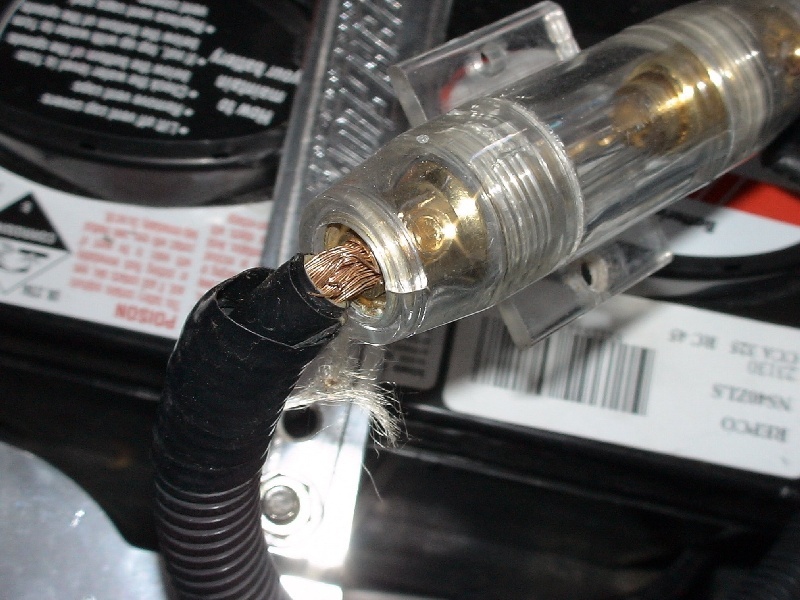 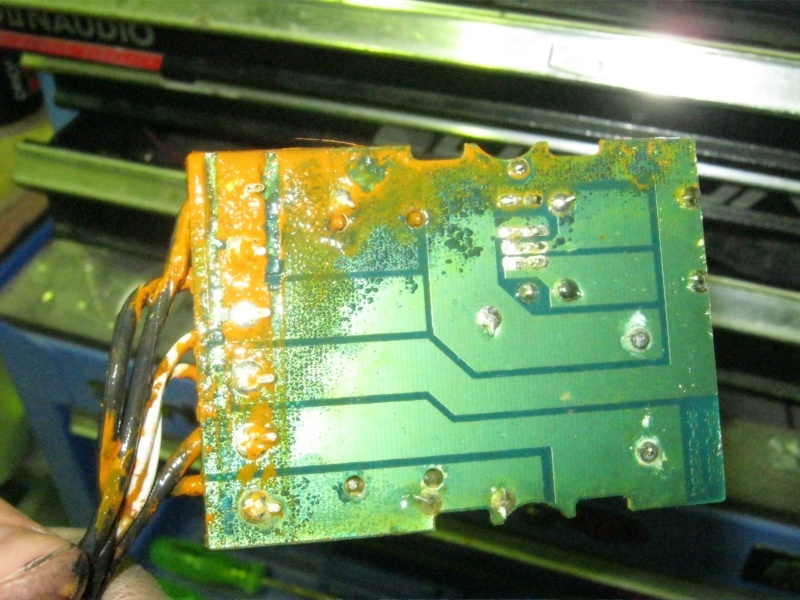 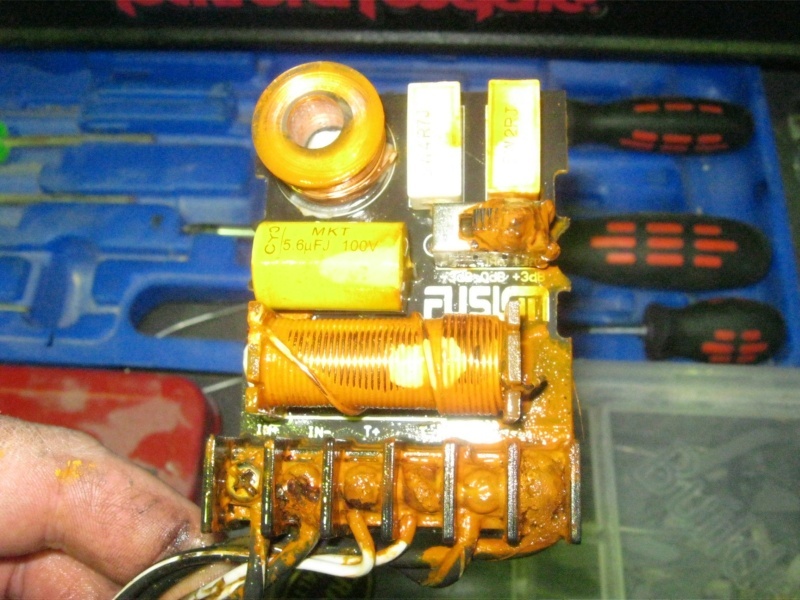 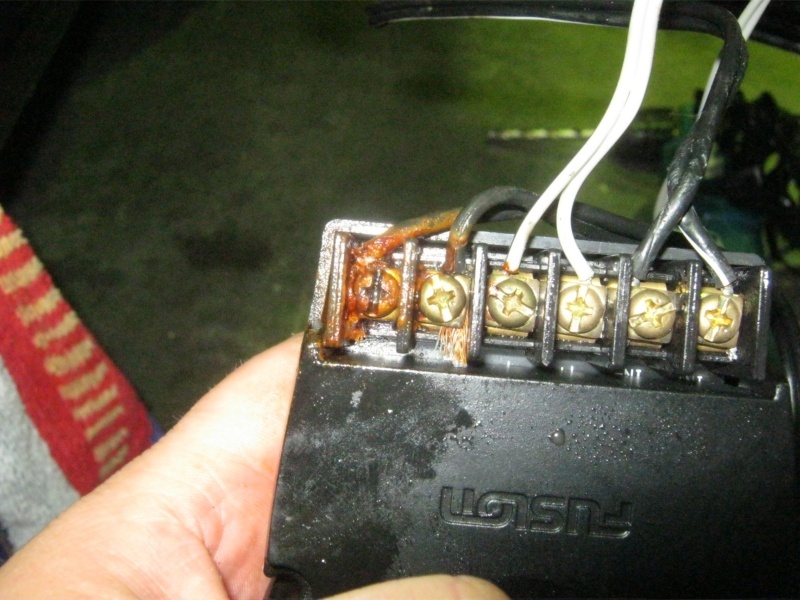 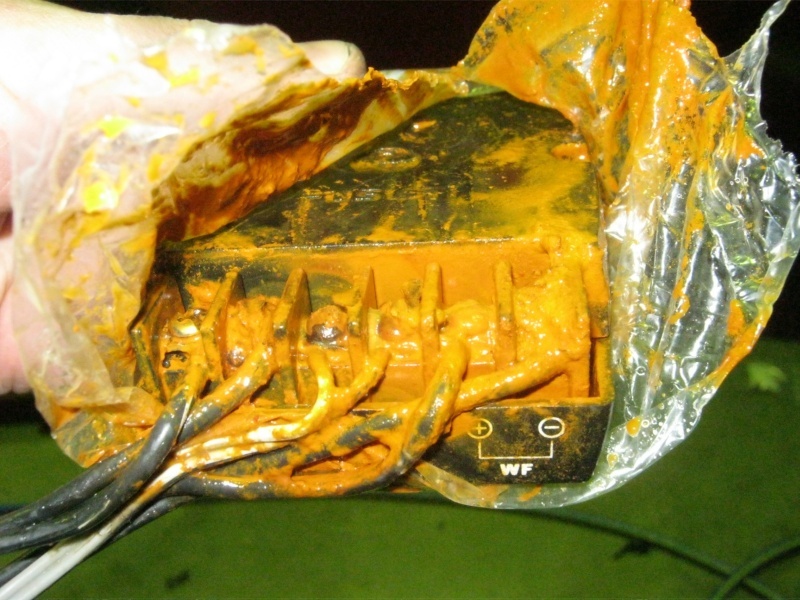 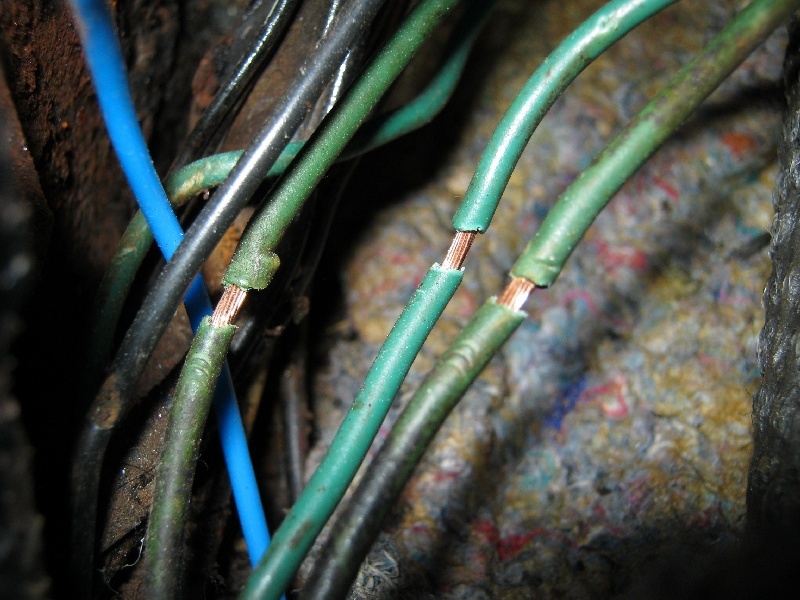 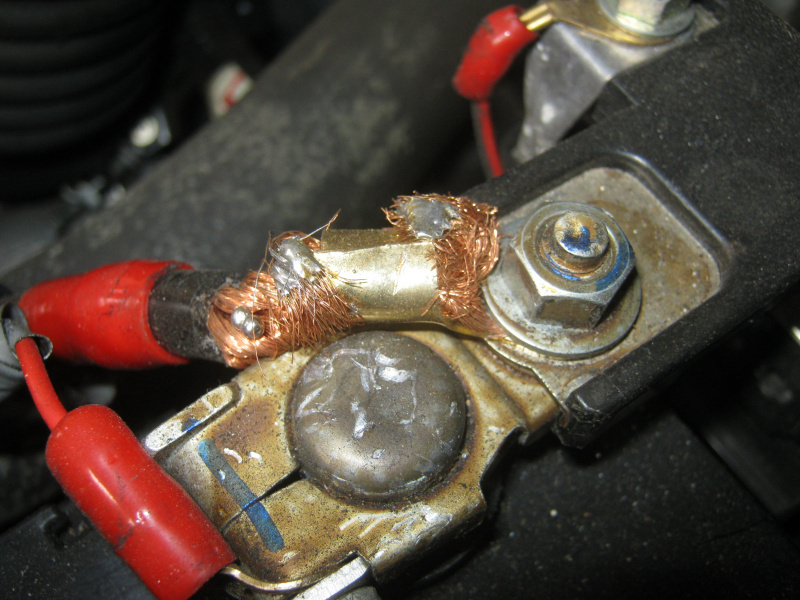 The following photos make for a shining example of why we harp on so much about protecting cables, not only in regards to terminating and shielding them correctly but also why we recommend so strongly that you run them with factory looms so they do not get damaged. 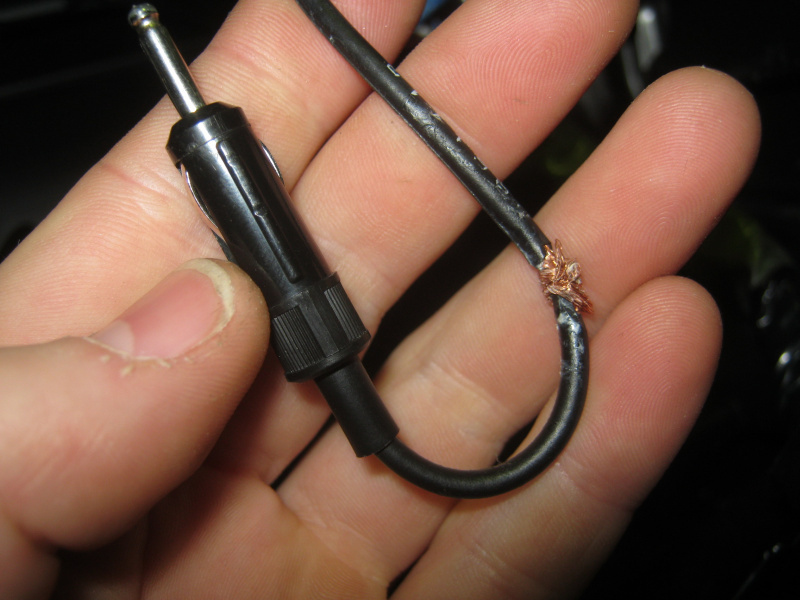 Below is what happens when you don't take care of your cables and ignore the aforementioned advice. 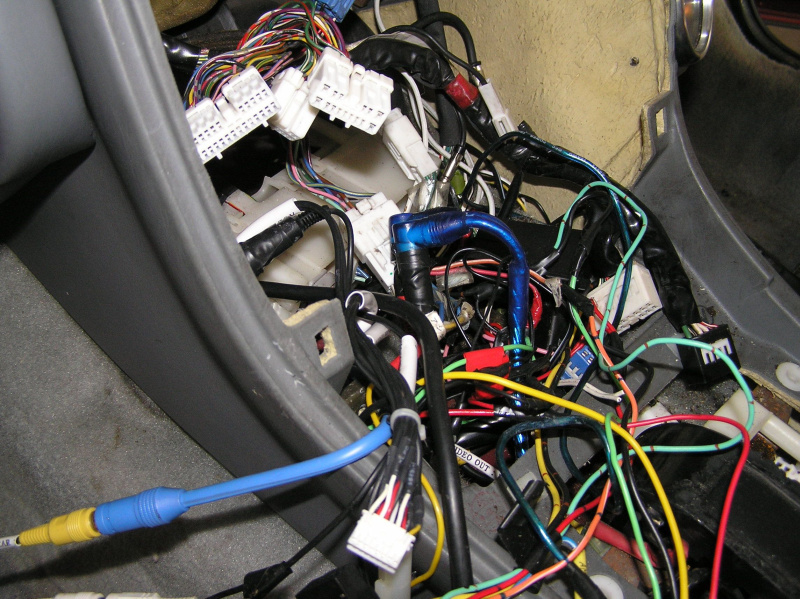 All these small nicks caused major issues in their systems, with some of them taking literally hours to find. 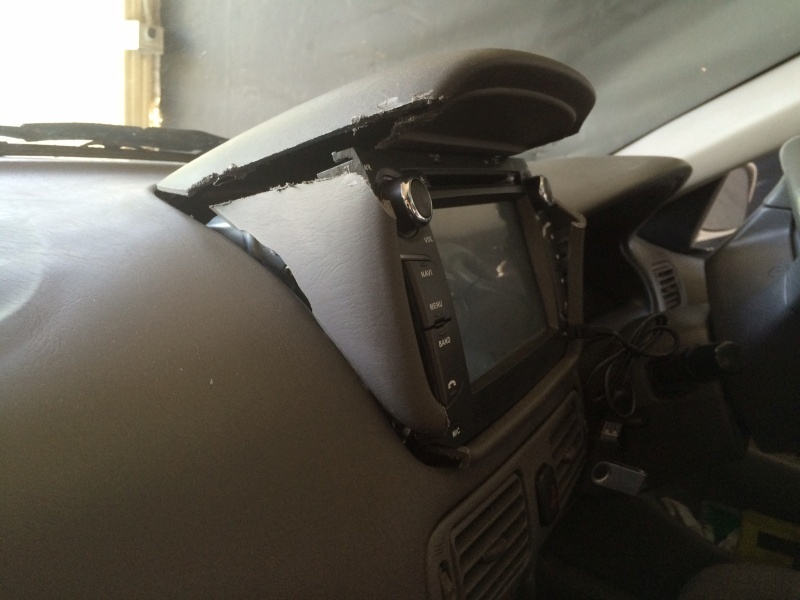 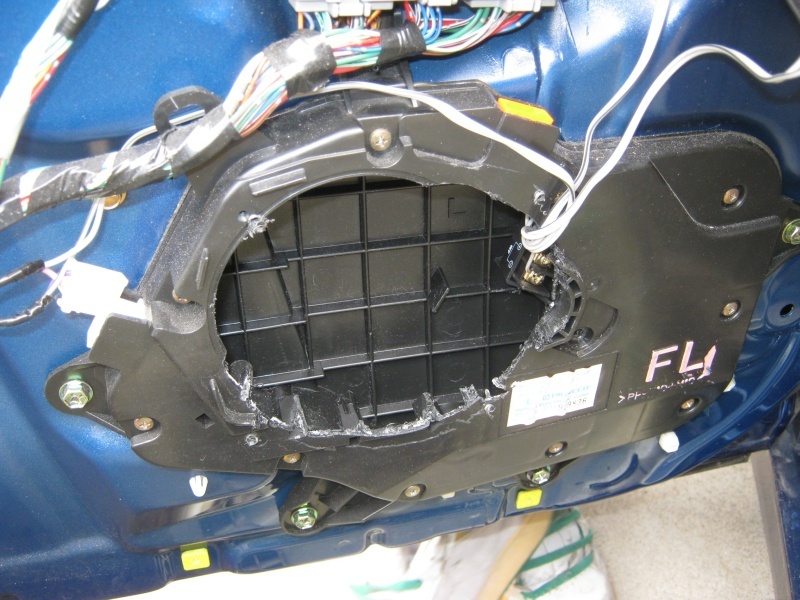 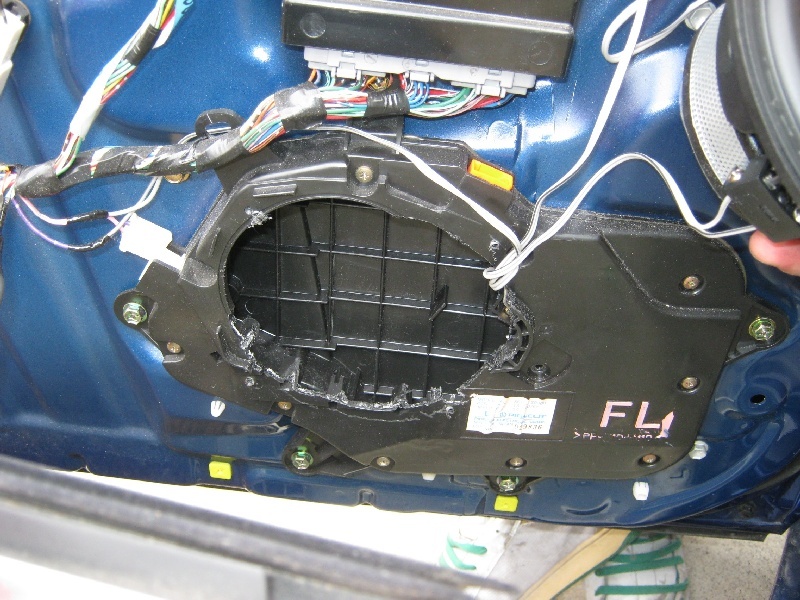 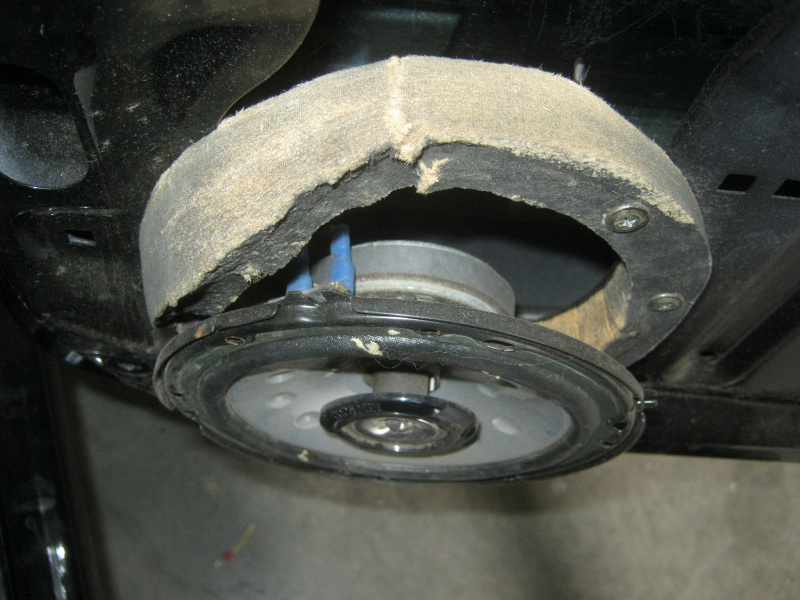 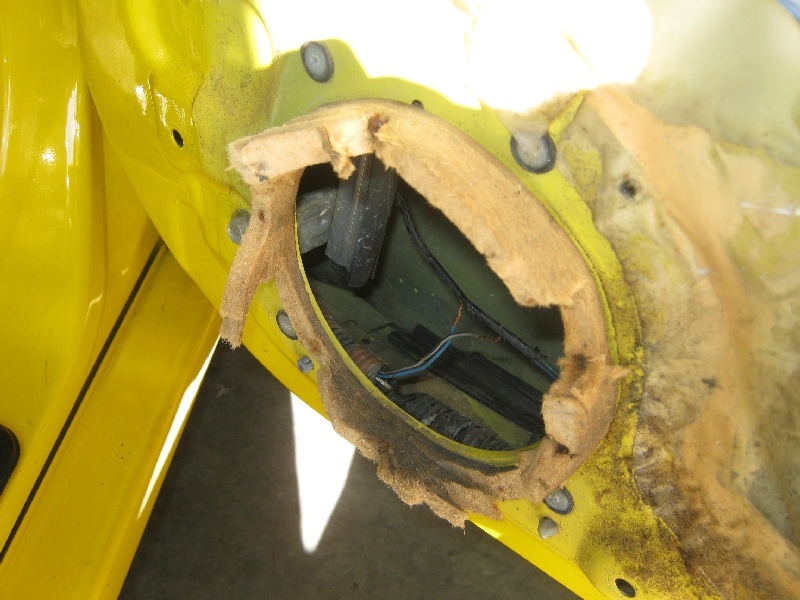 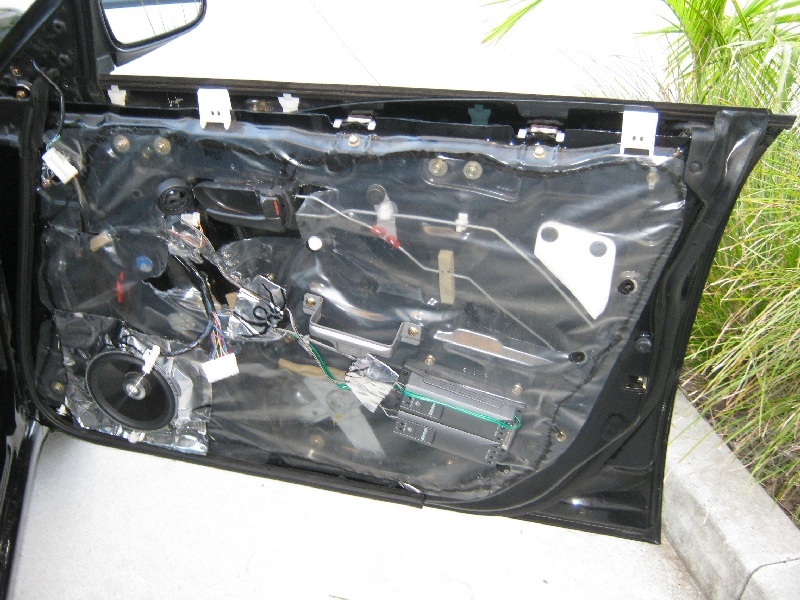 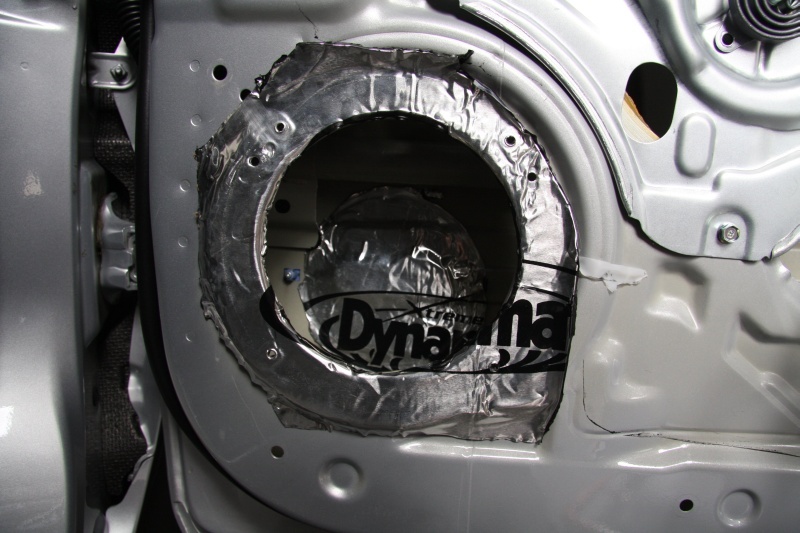 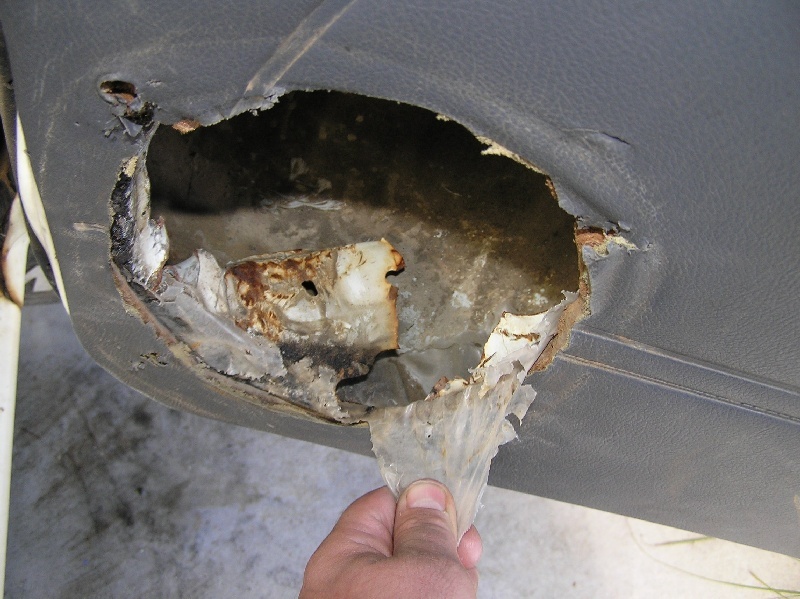 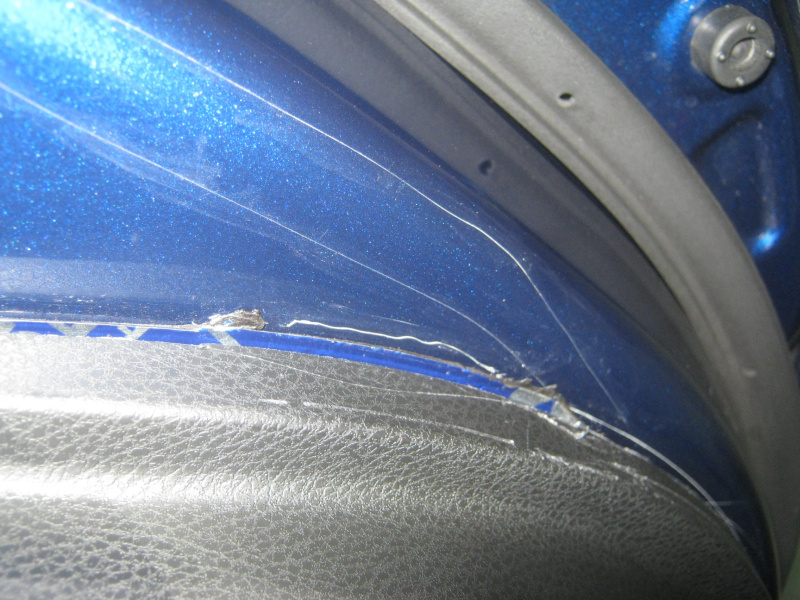 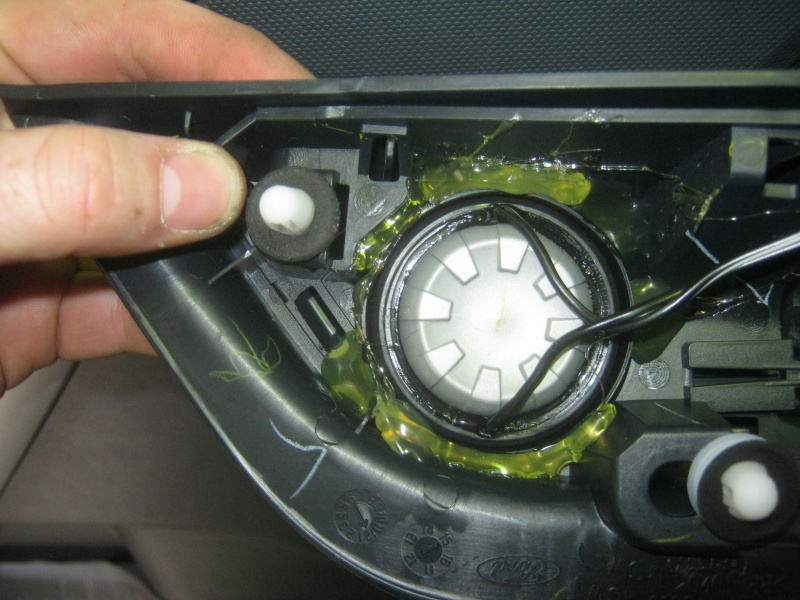 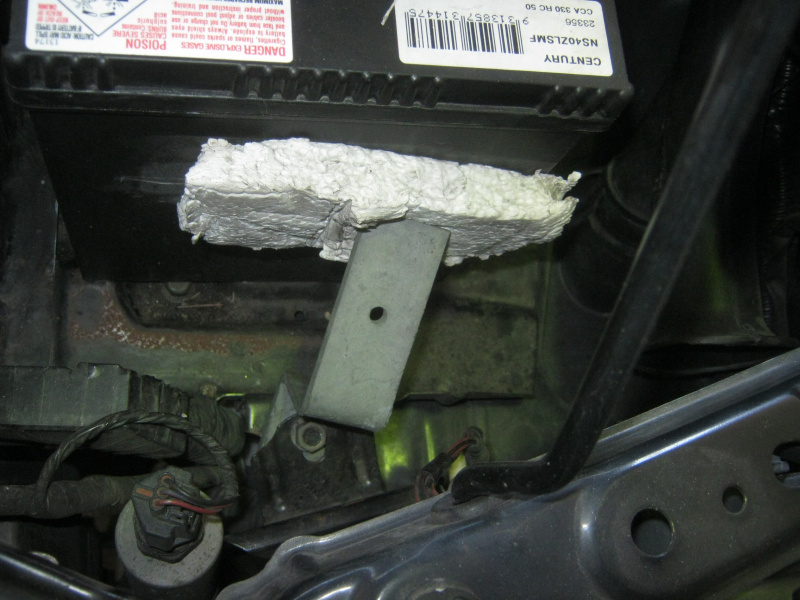 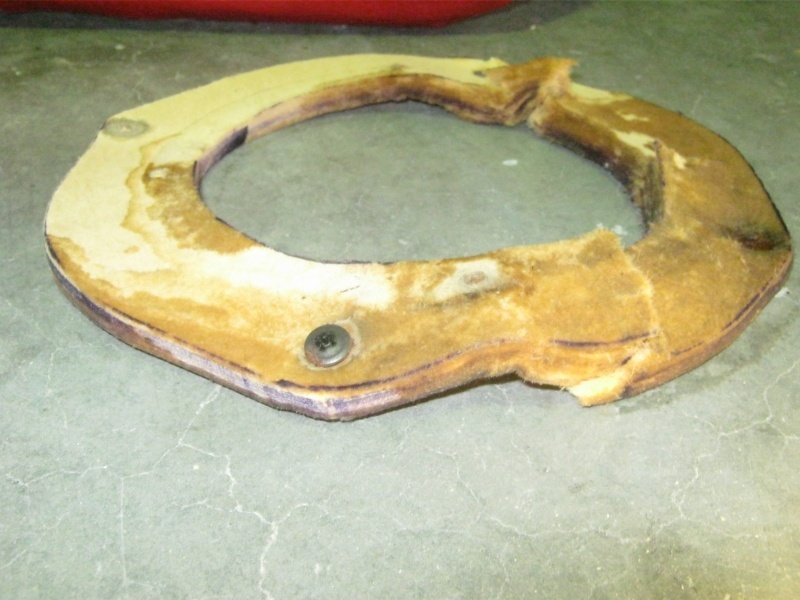 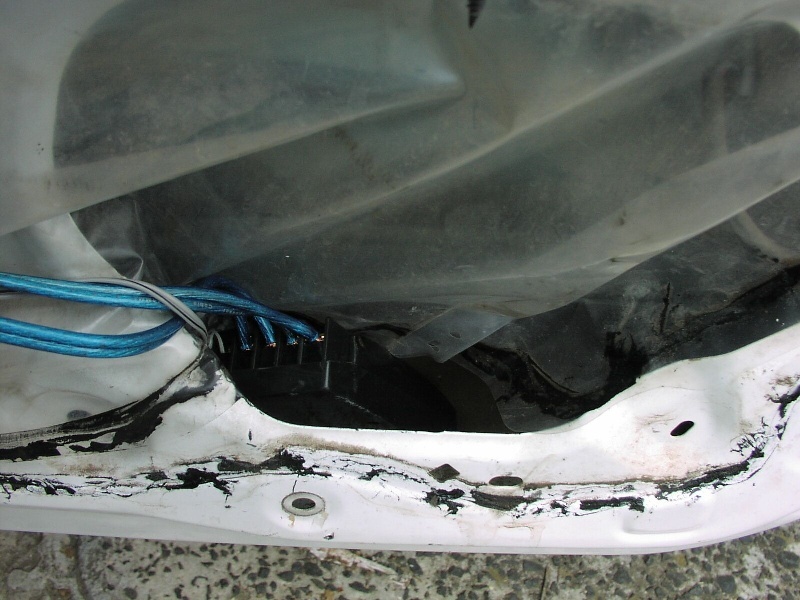 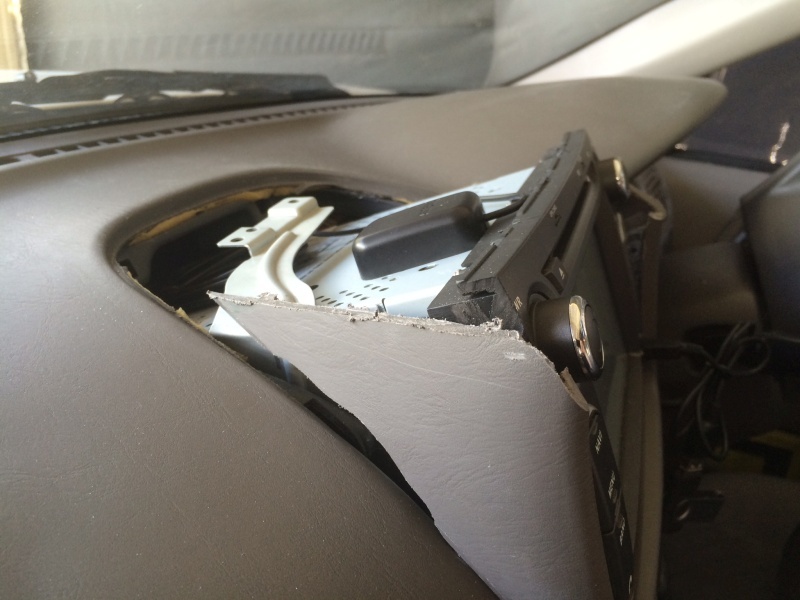 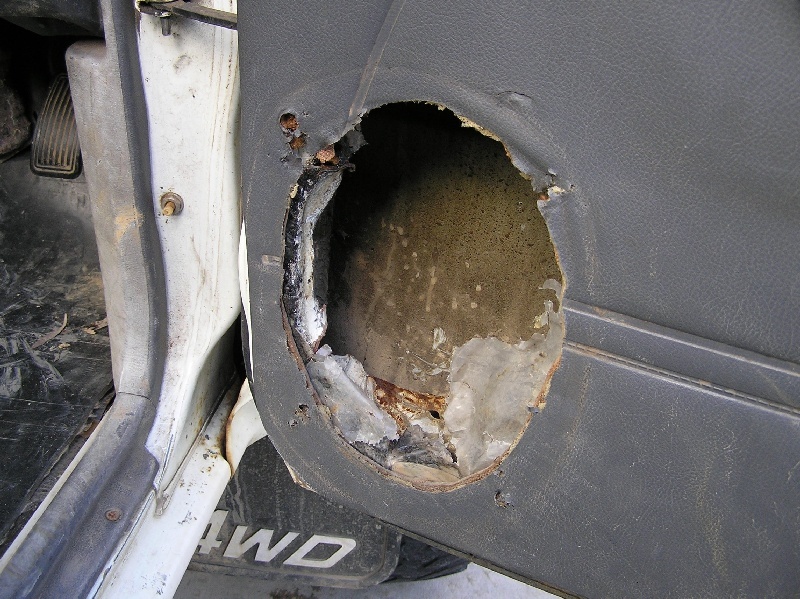 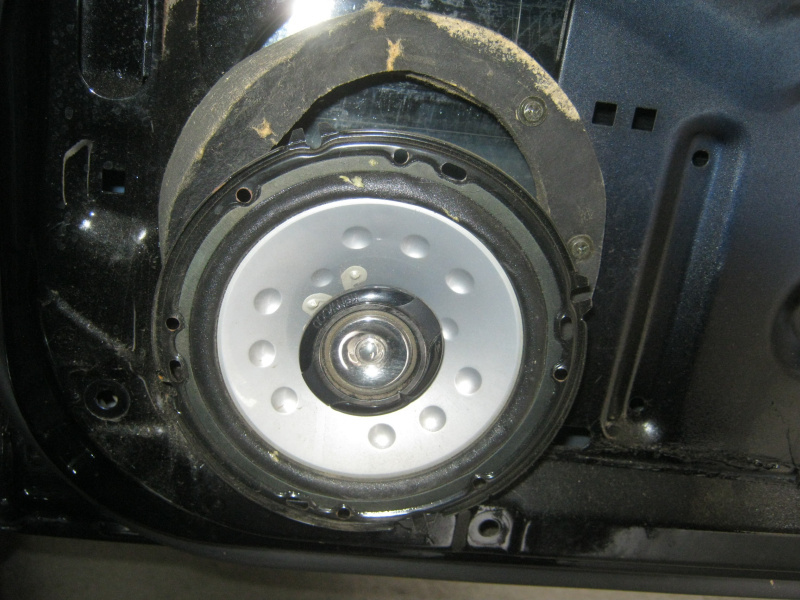 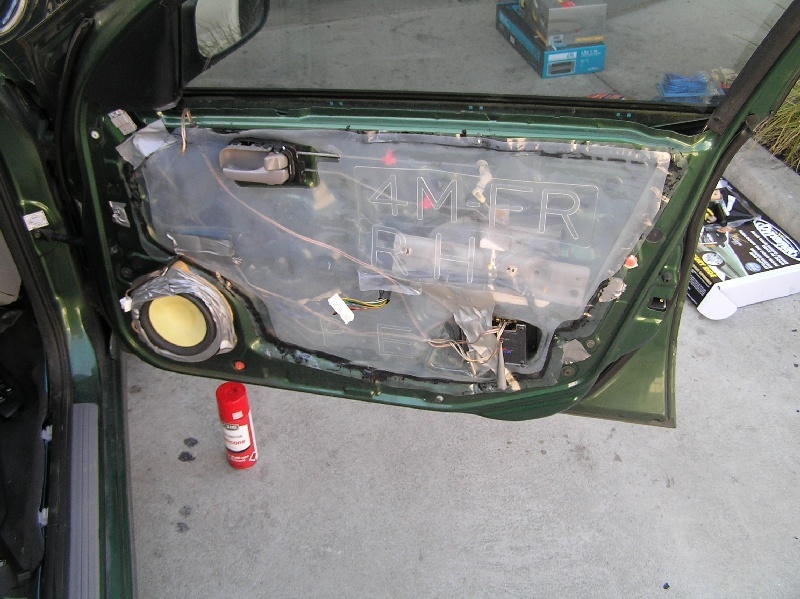 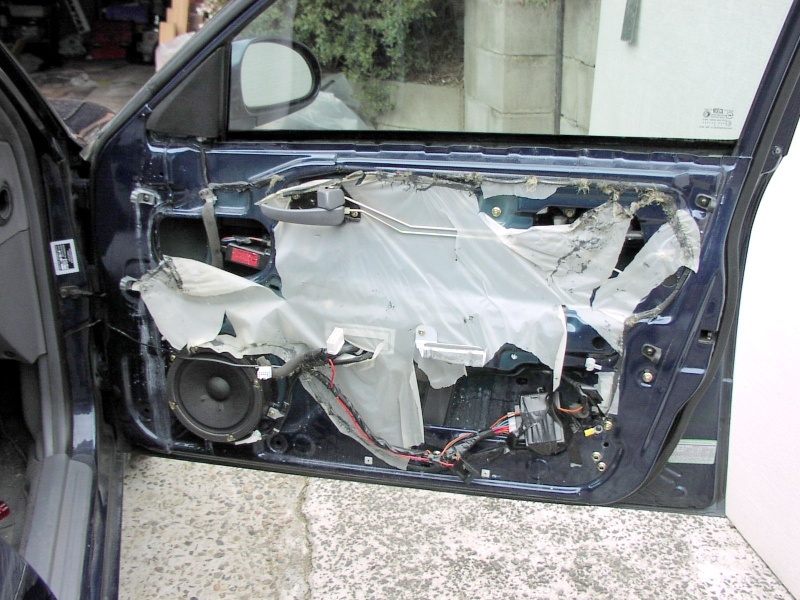 When it comes to the damaging of vehicles, we suspect we may have seen it all. 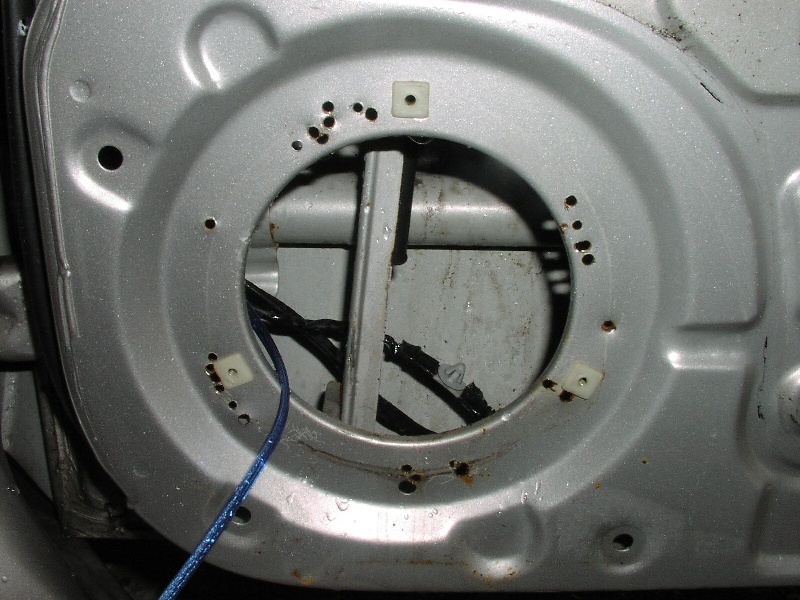 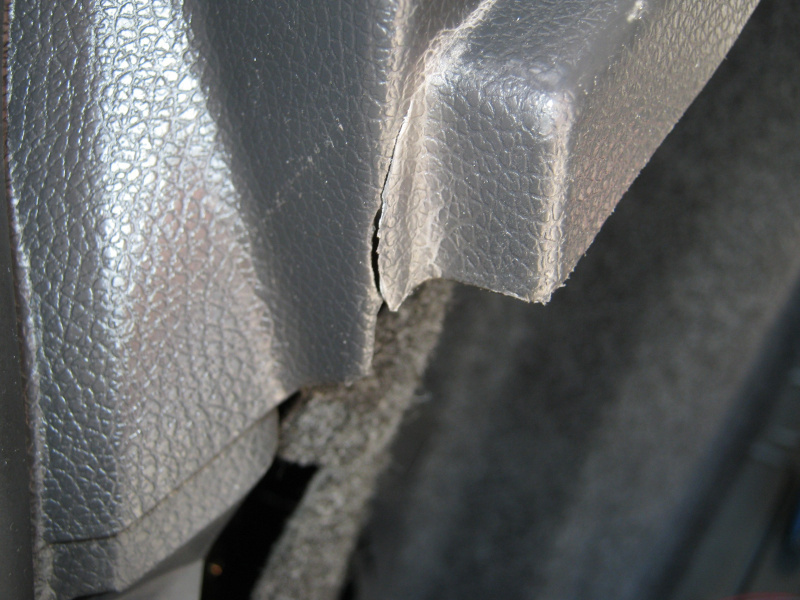 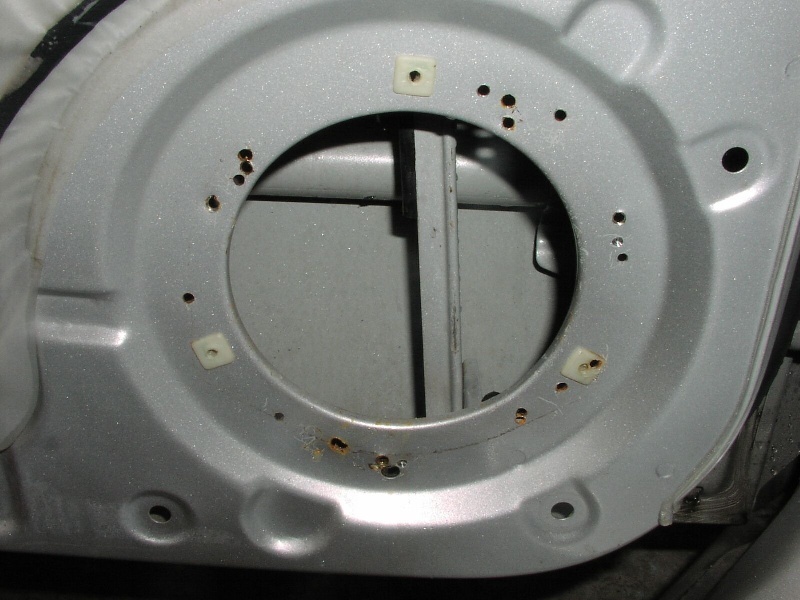 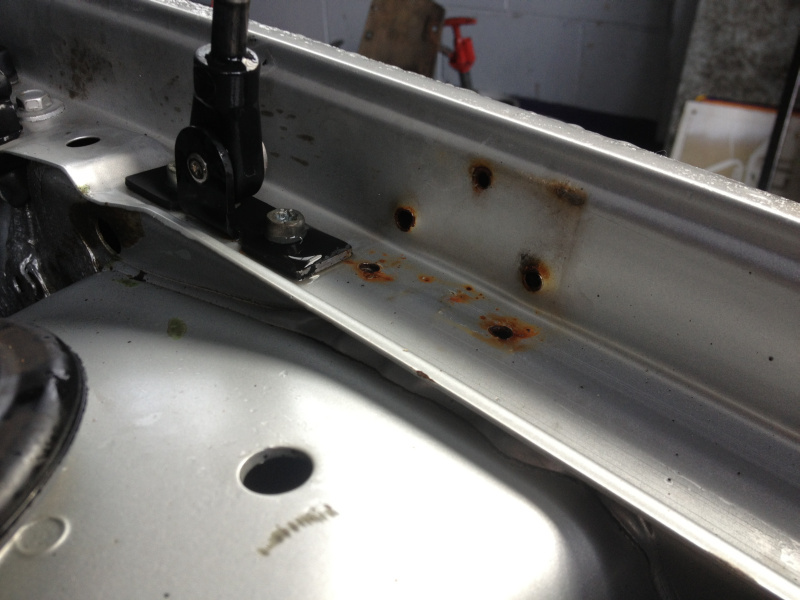 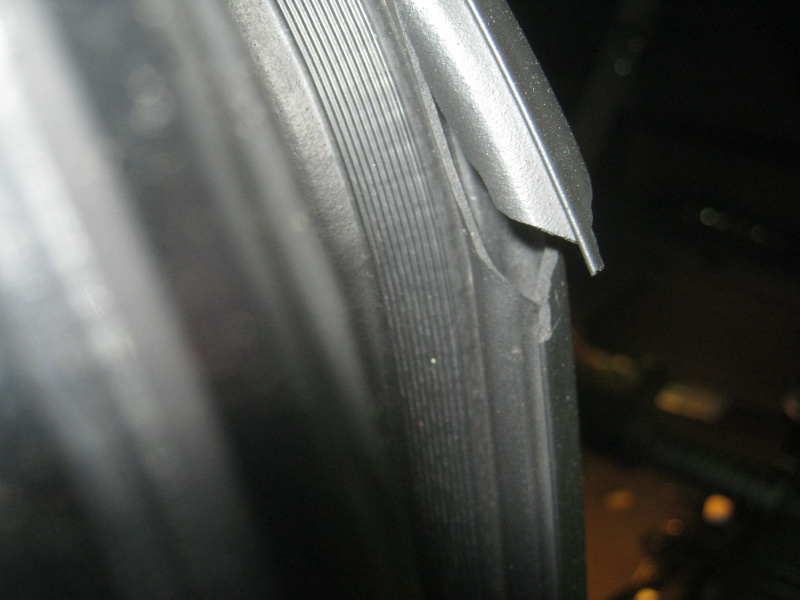 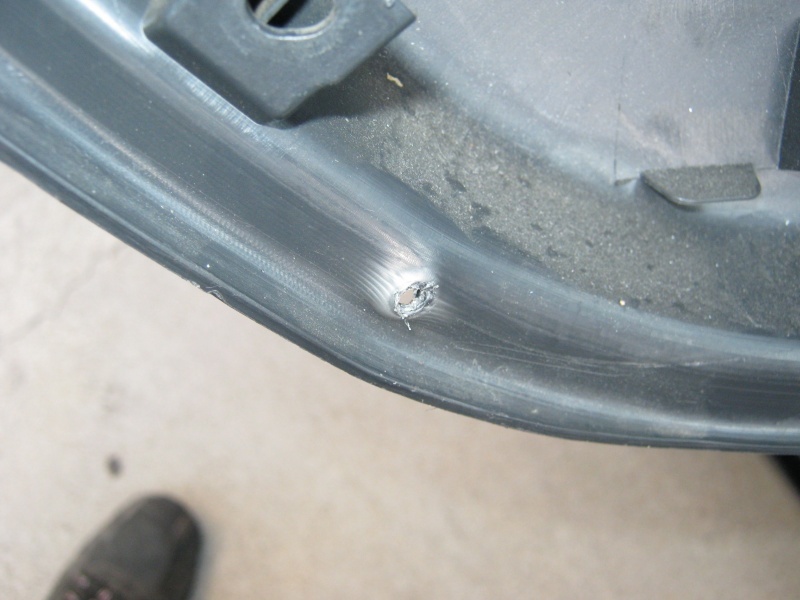 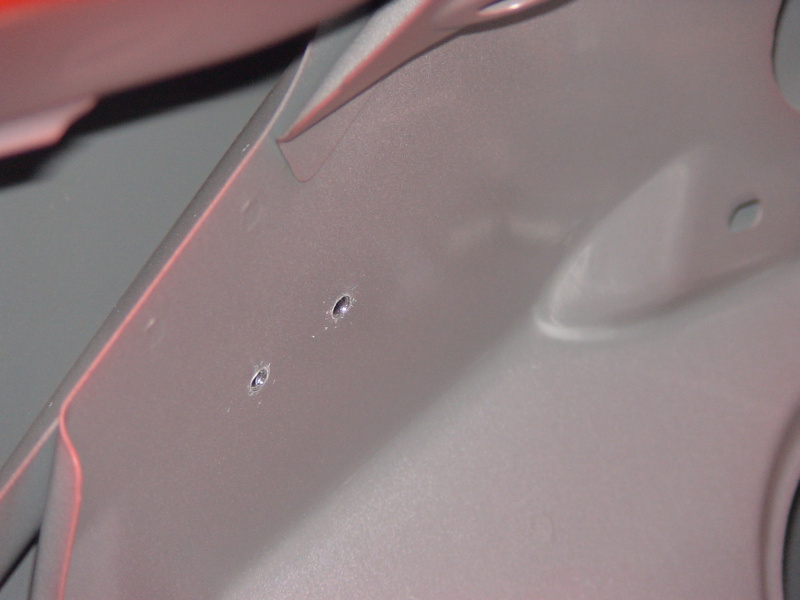 We'll address major damage later but for now let's have a brief look at the more minor damage done to customers vehicles, the most common of which is the result of drilling. 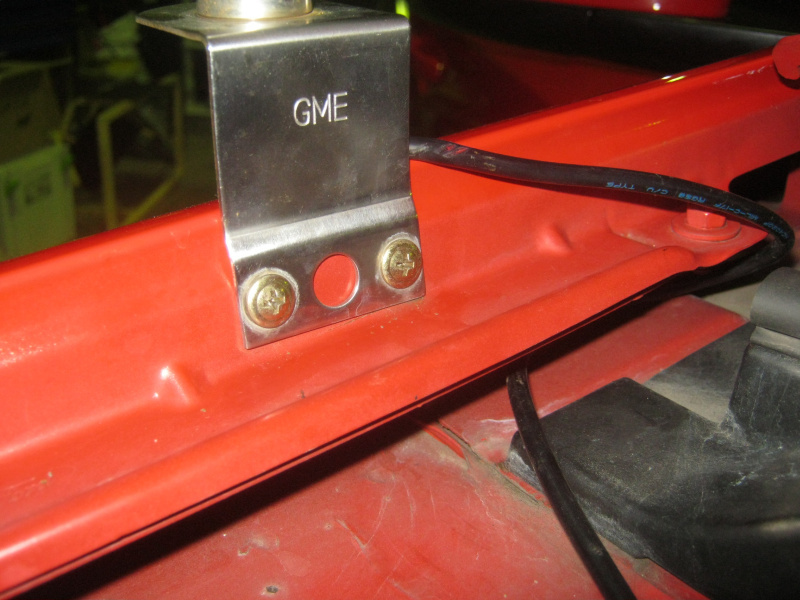 If at all possible you should always manufacture brackets as we've discussed previously but it's just a little beyond us how someone managed some of these efforts. 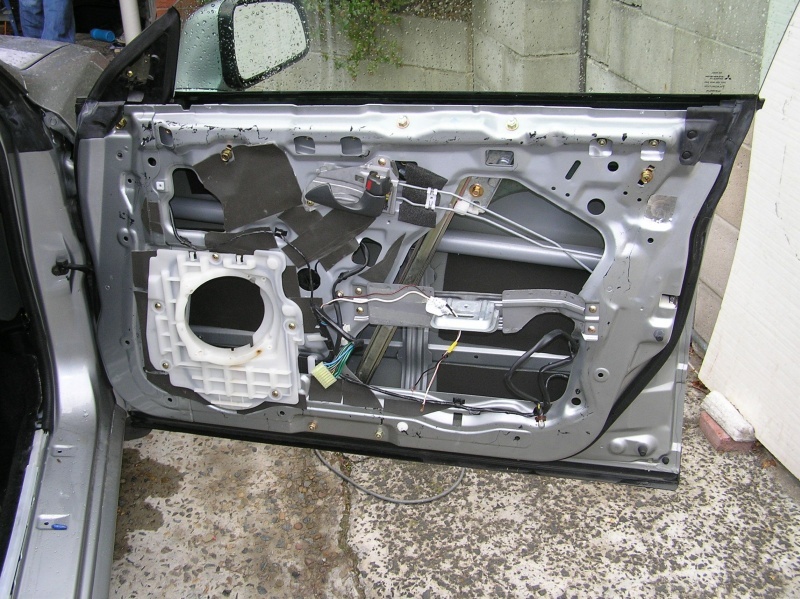 Now if you thought the minor damage was bad, just have a look at the lengths some people will go to in order to fit various items to their vehicles that clearly shouldn't be there. 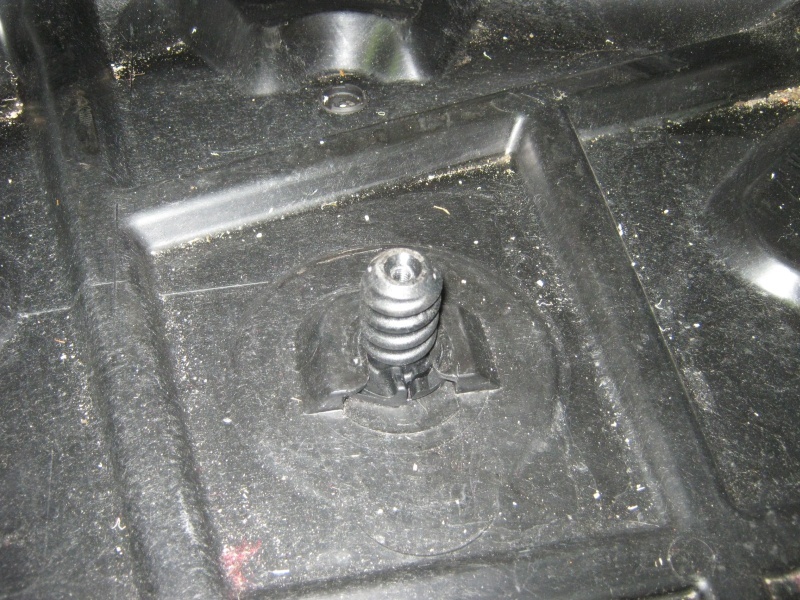 As that old saying goes; you cannot fit a square peg in a round hole. 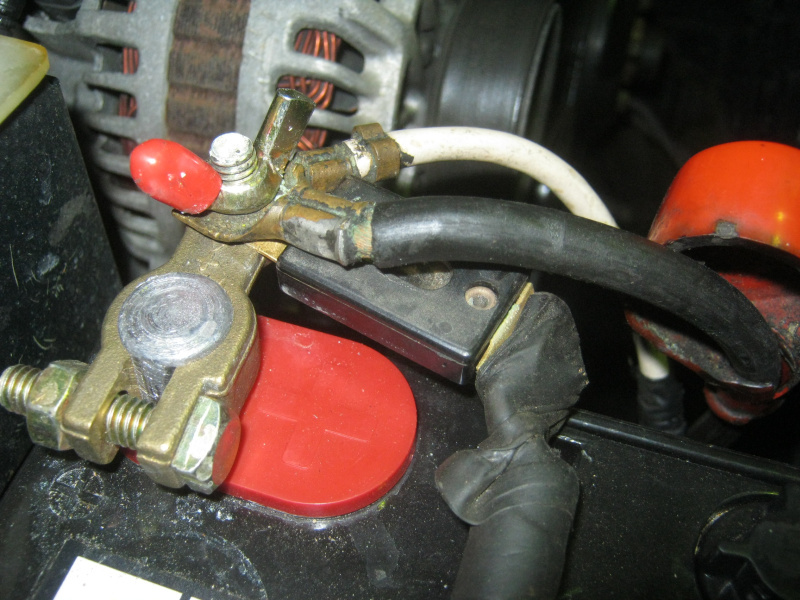 However this simple law of physics certainly won't stop some people from having a red hot go anyway. 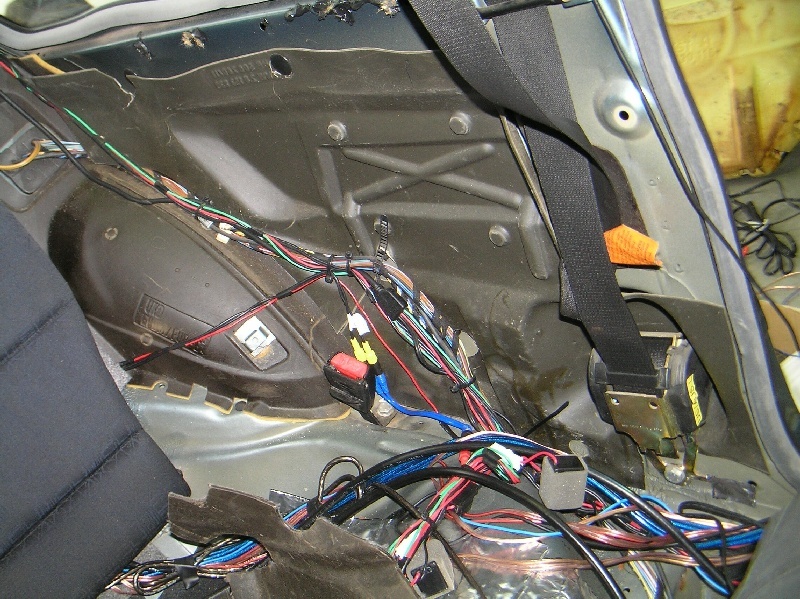 People; do yourself and your vehicle a favour and research what equipment will actually fit in it, rather than just 'making' stuff fit, commando style. 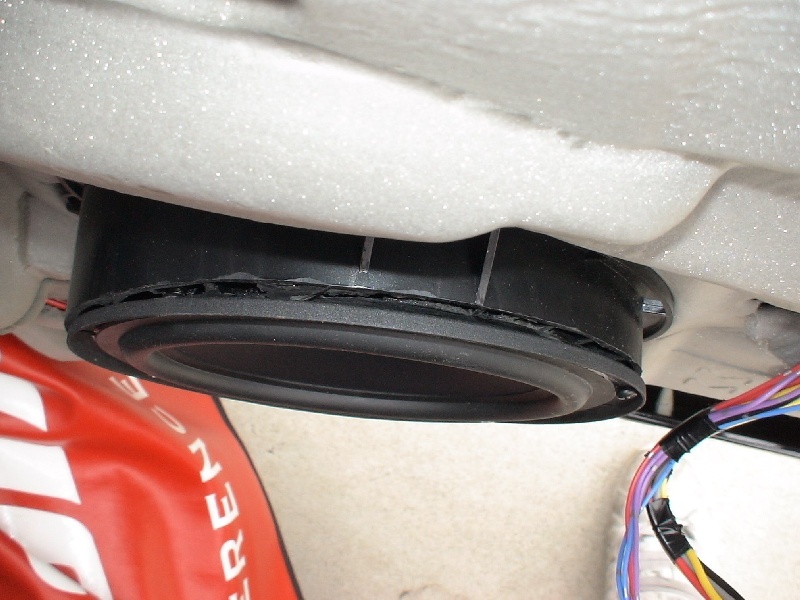 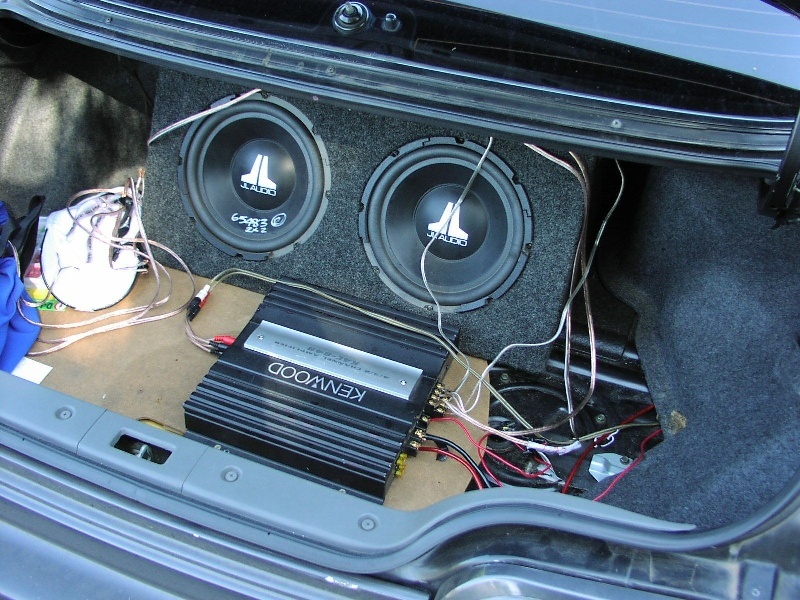 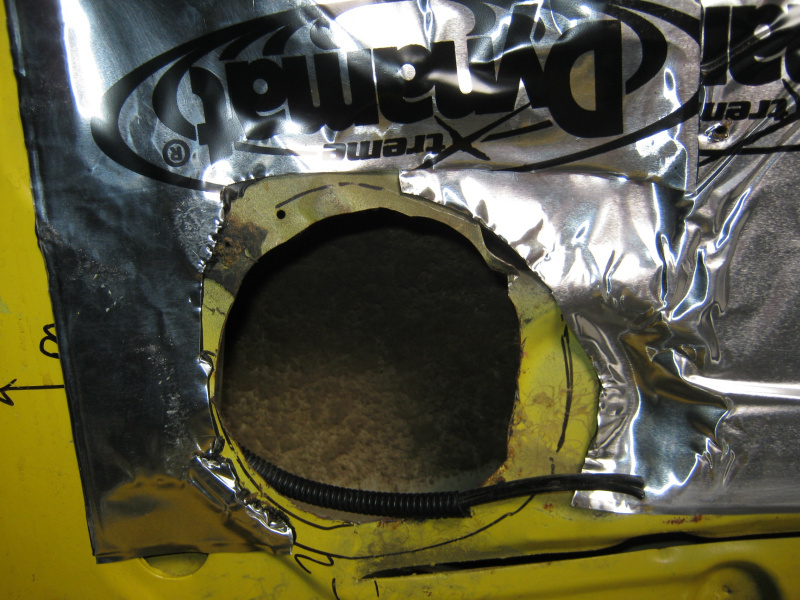 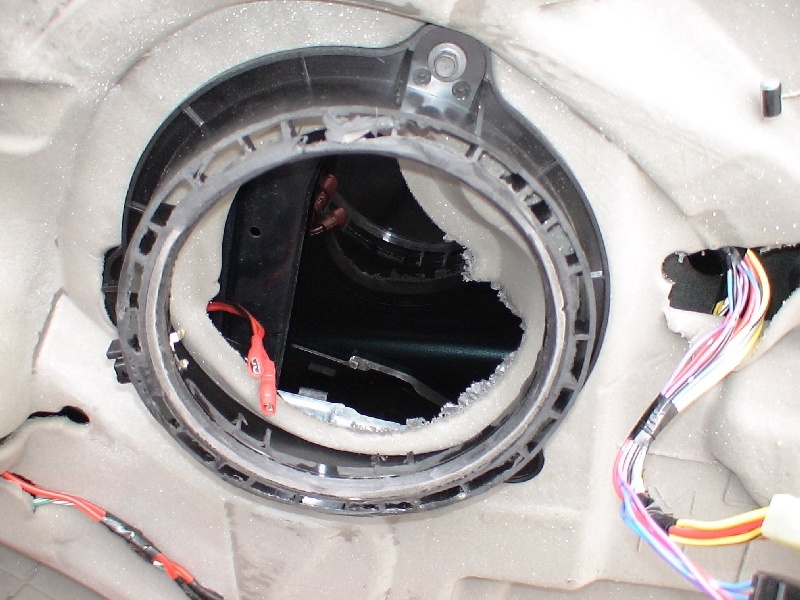 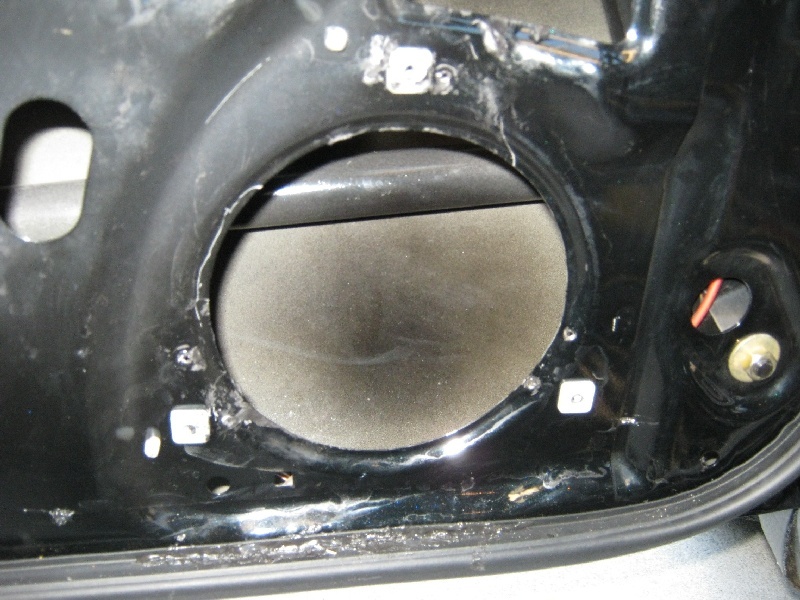 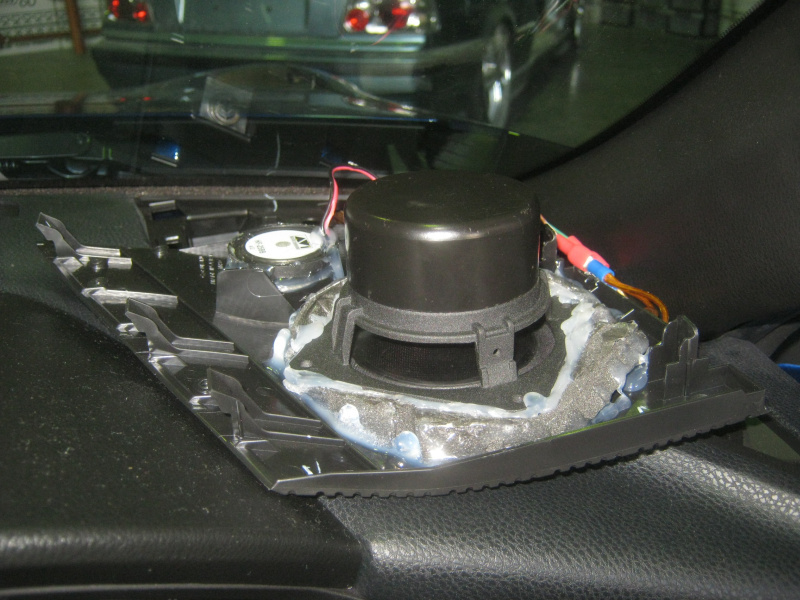 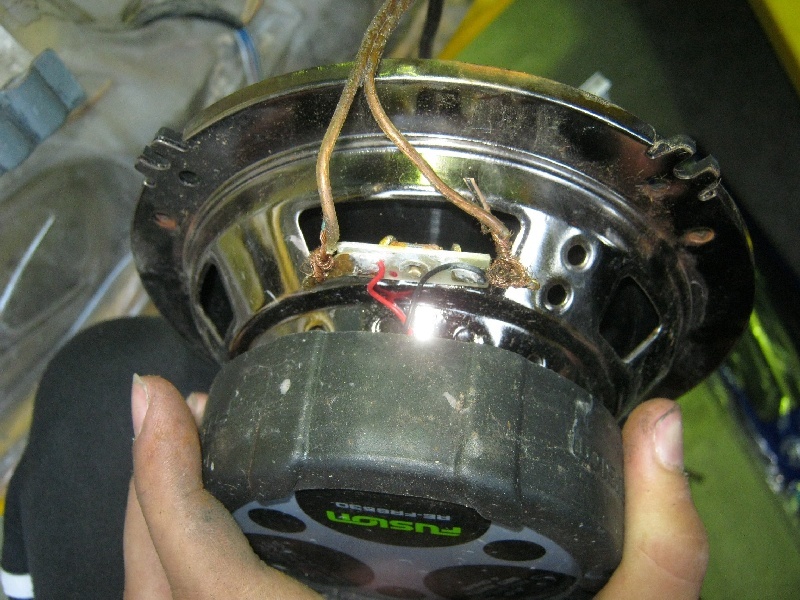 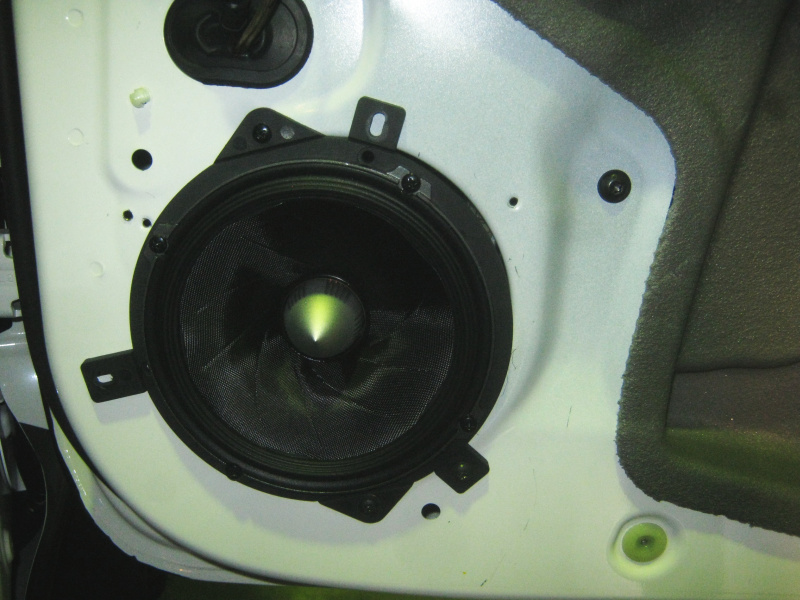 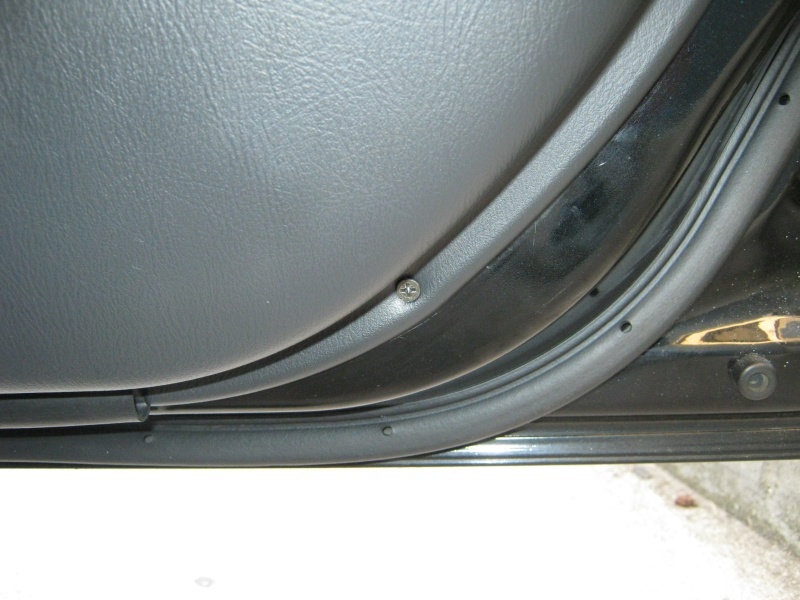 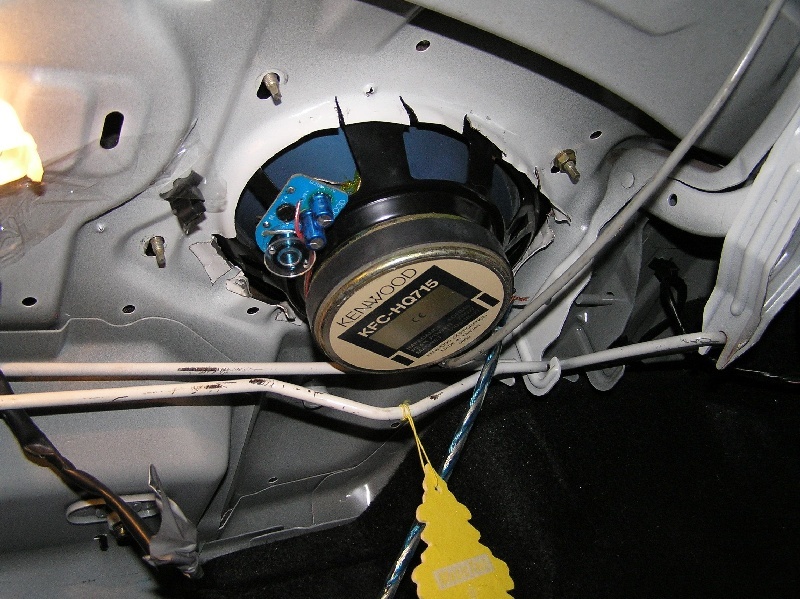 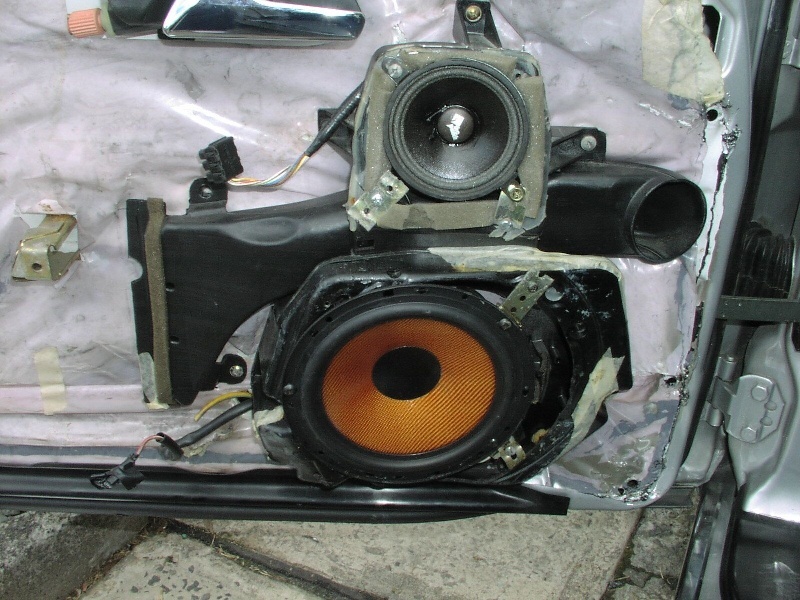 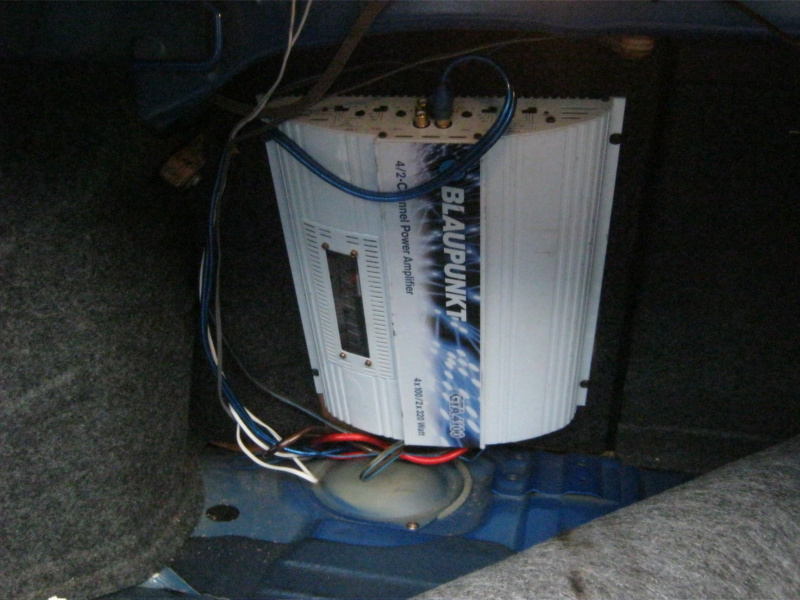 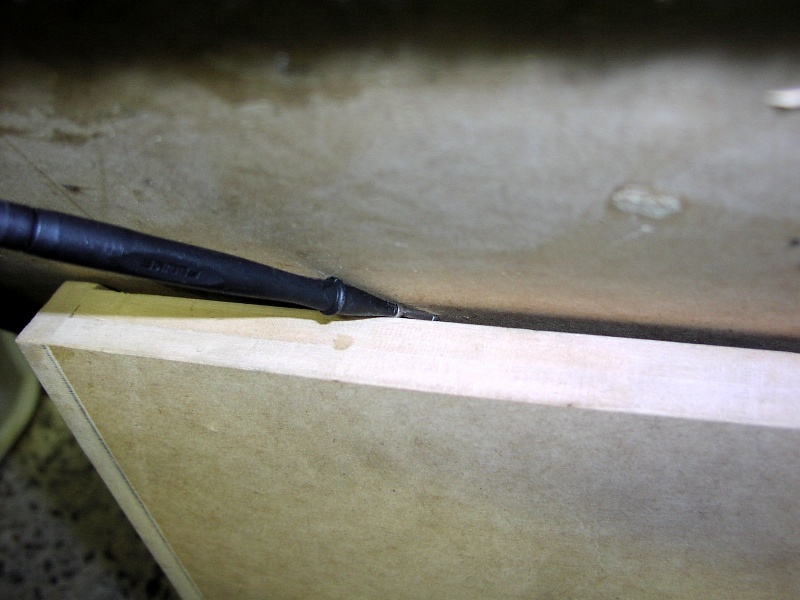 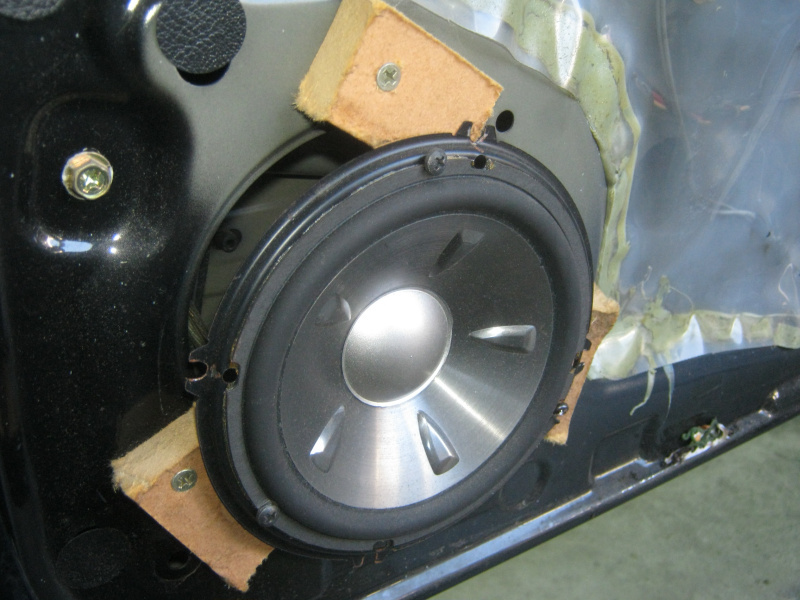 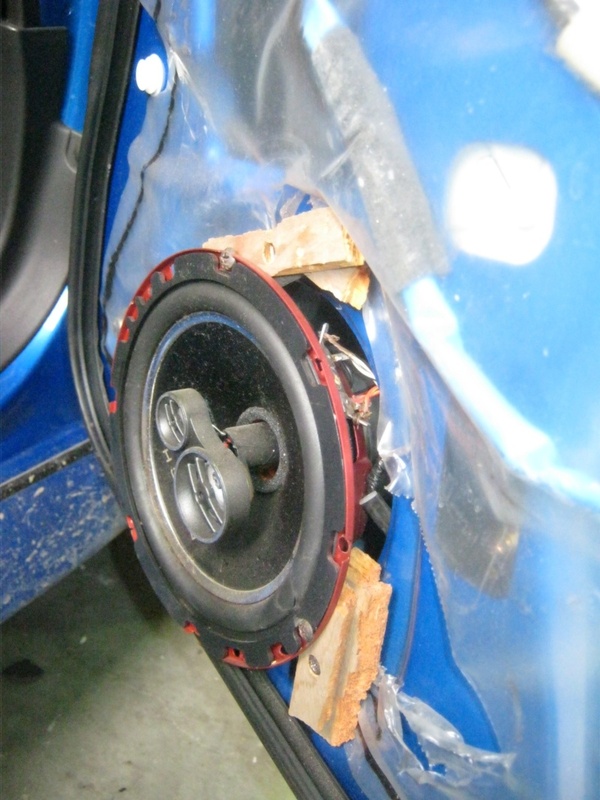 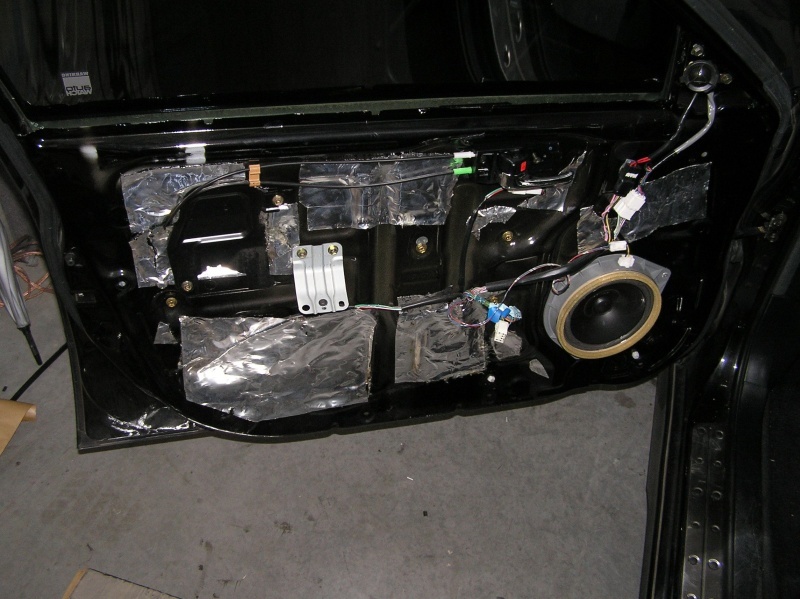 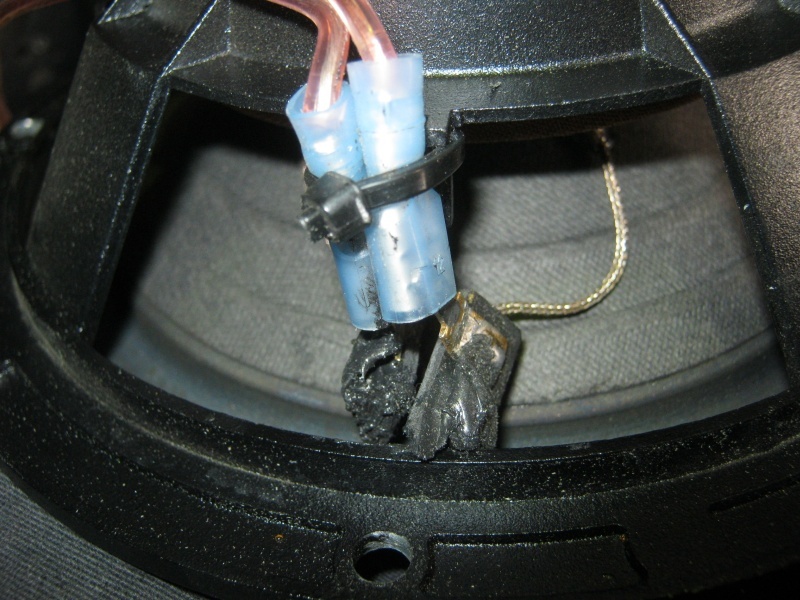 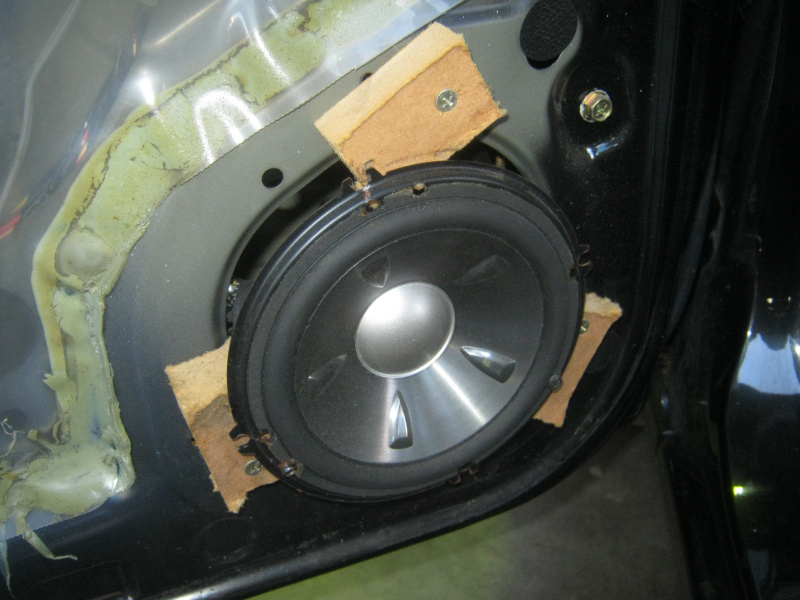 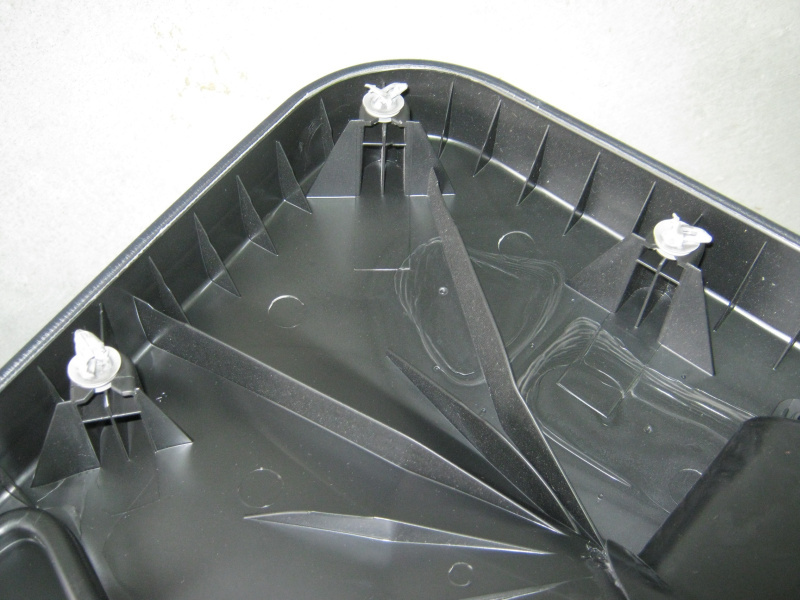 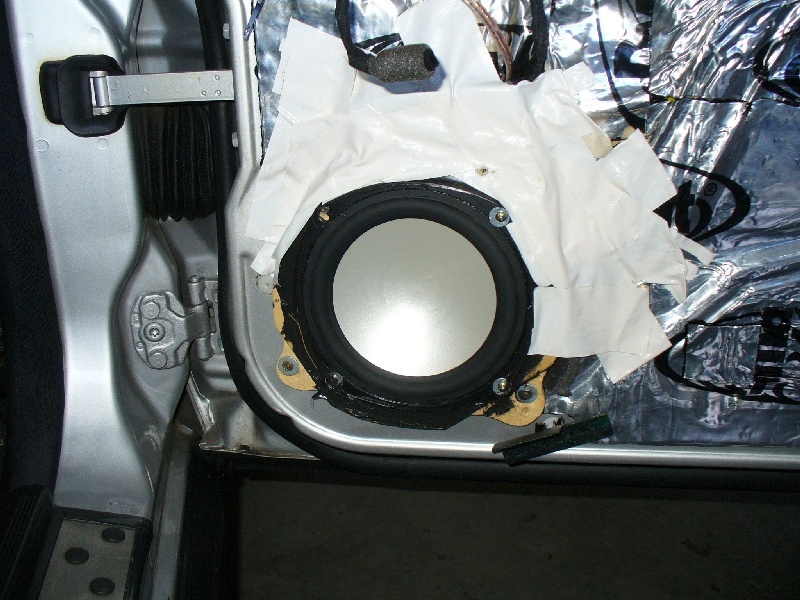 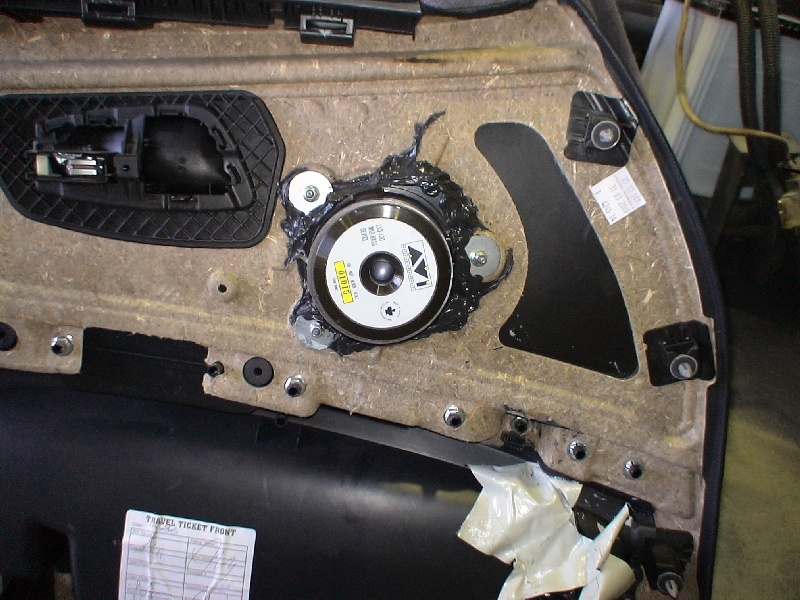 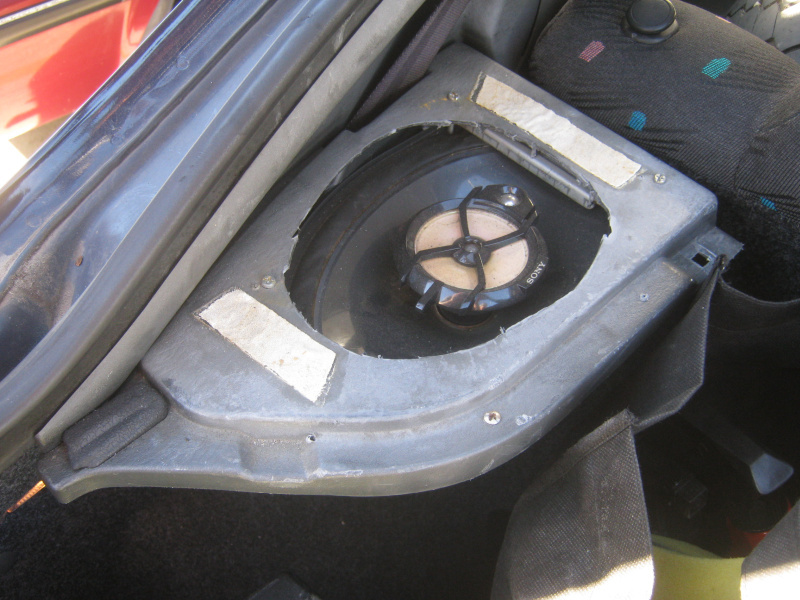 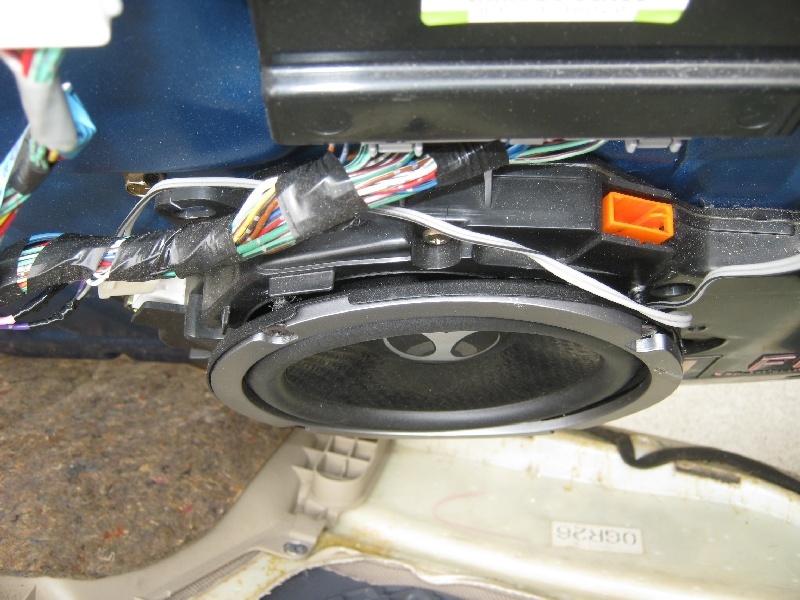 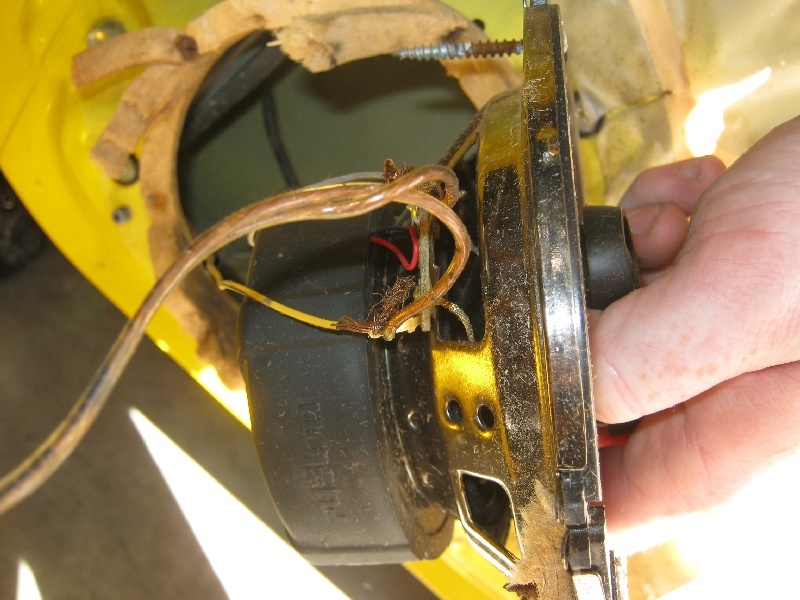 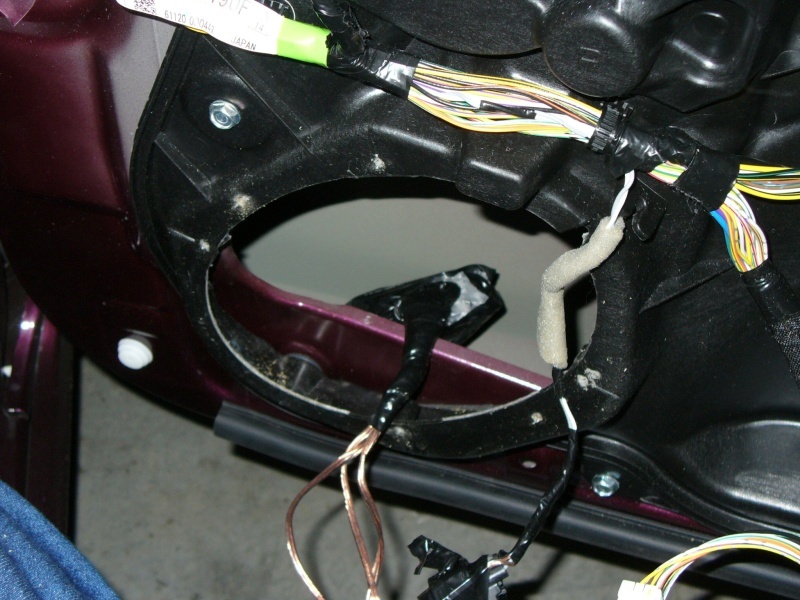 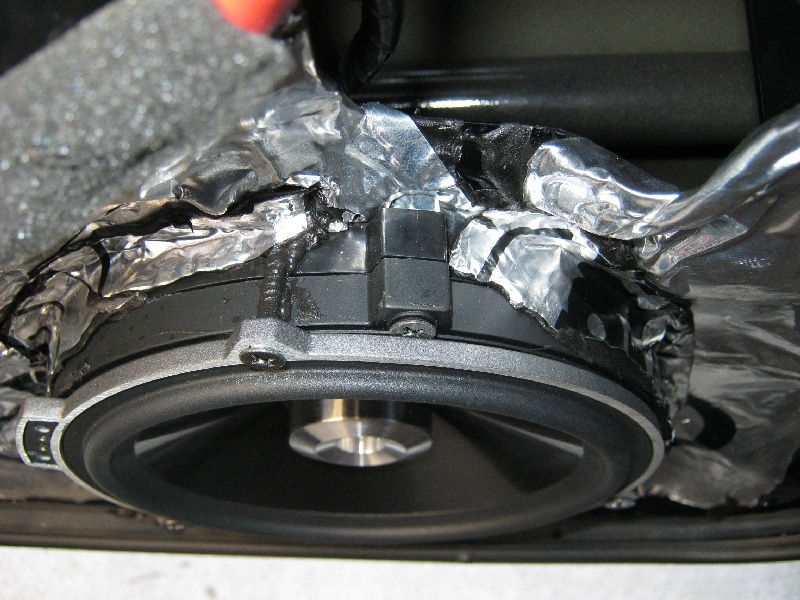 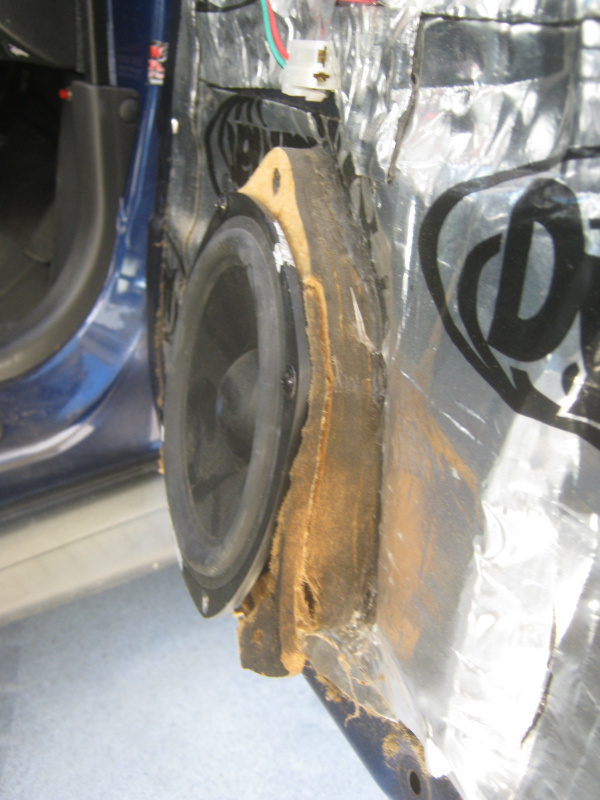 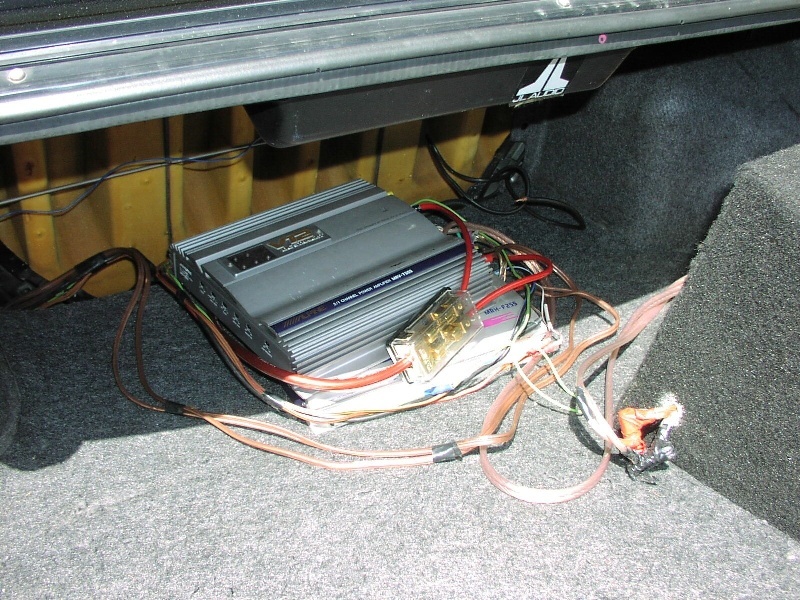 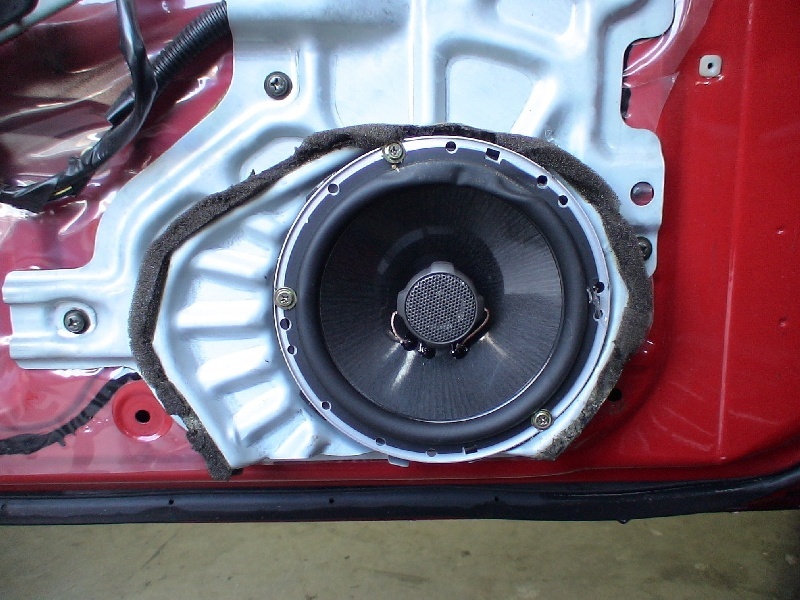 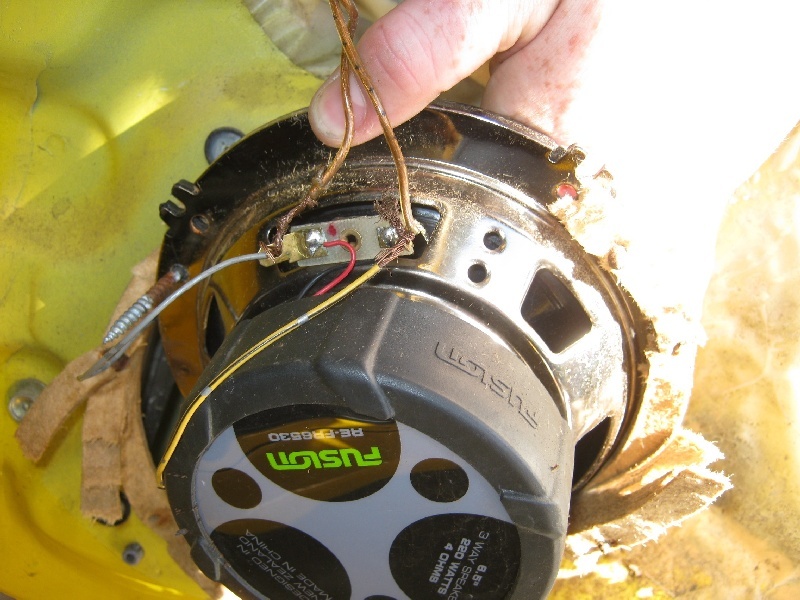 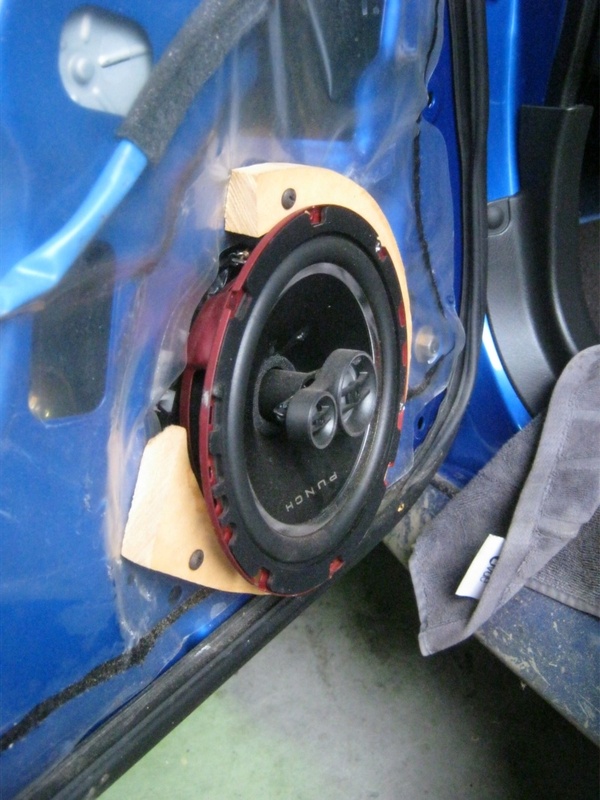 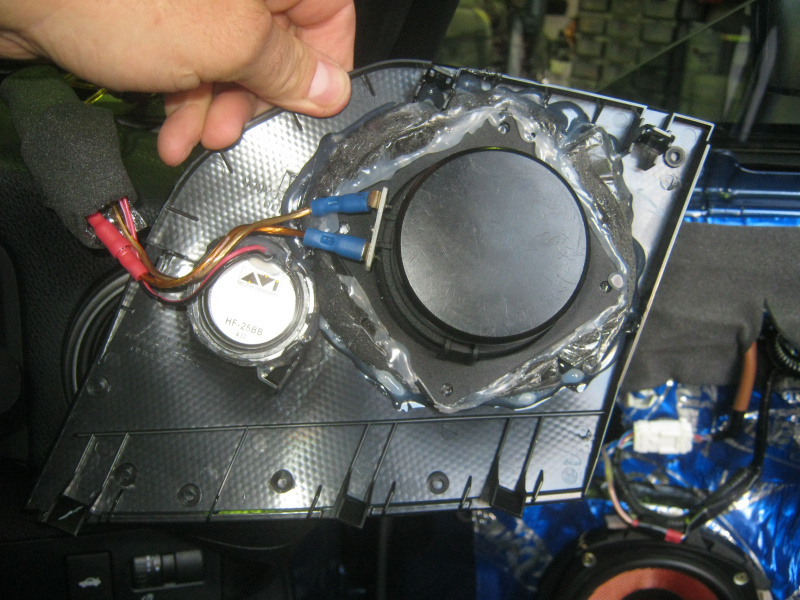 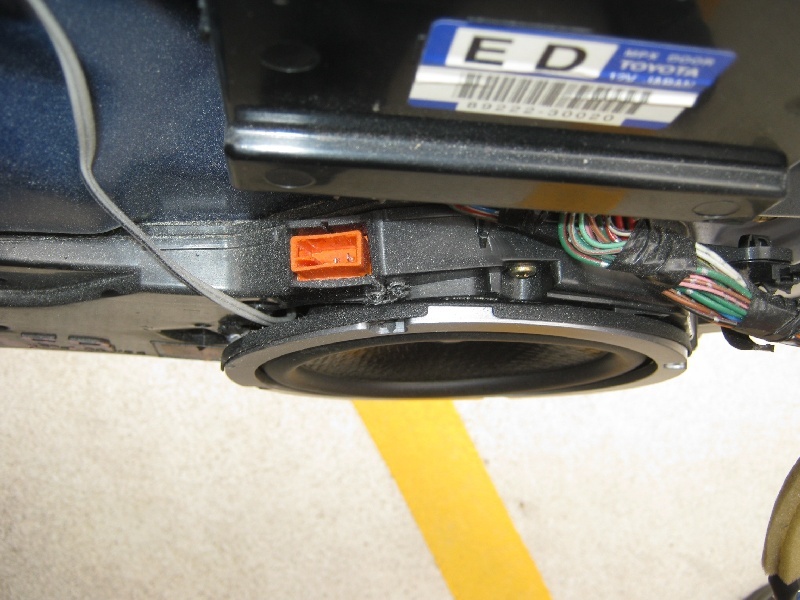 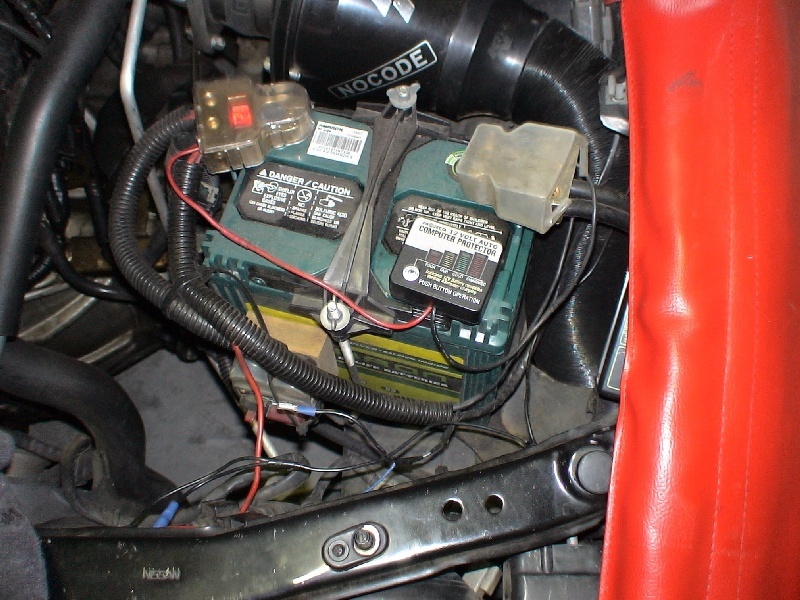 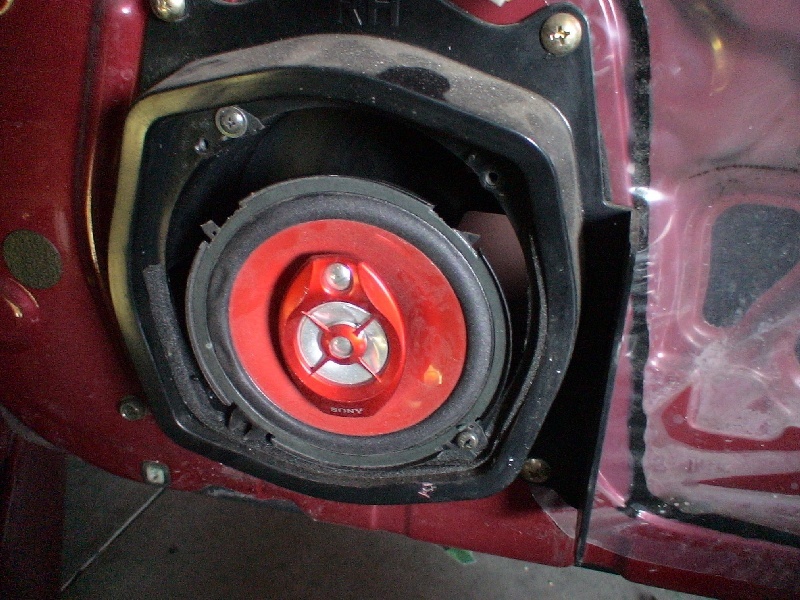 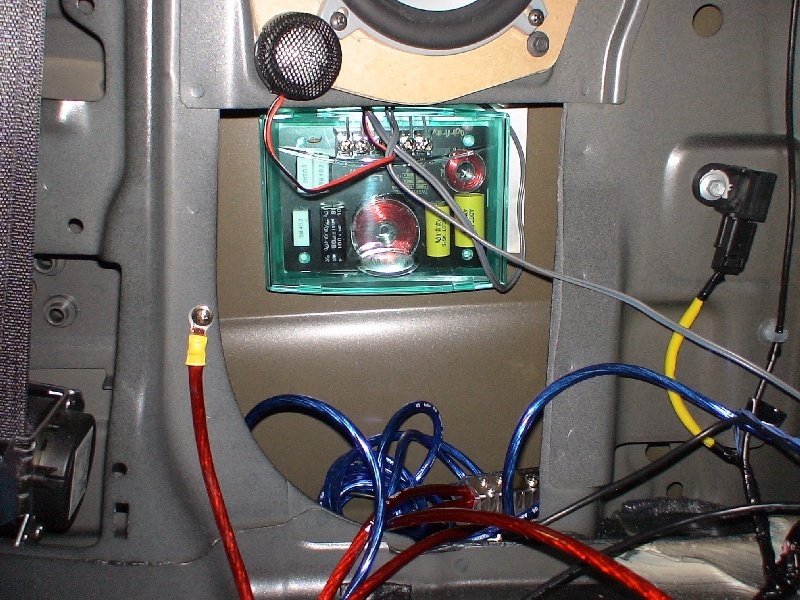 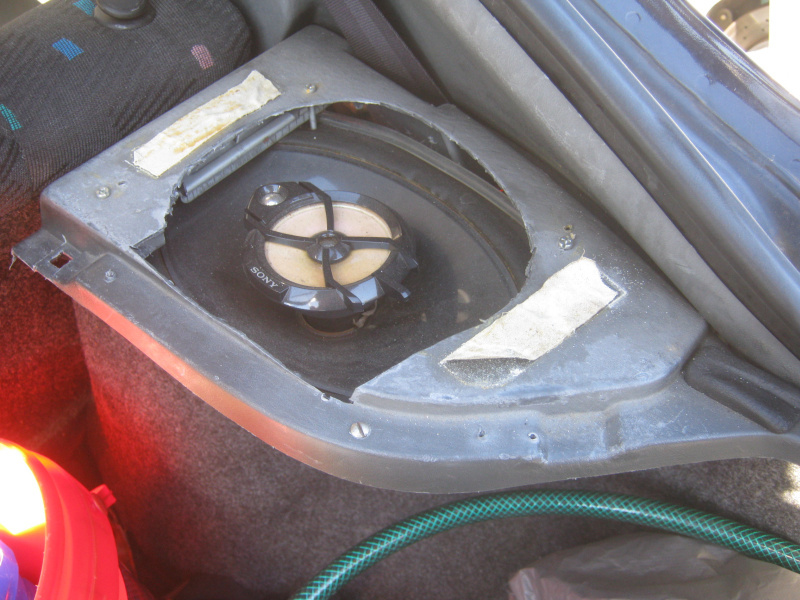 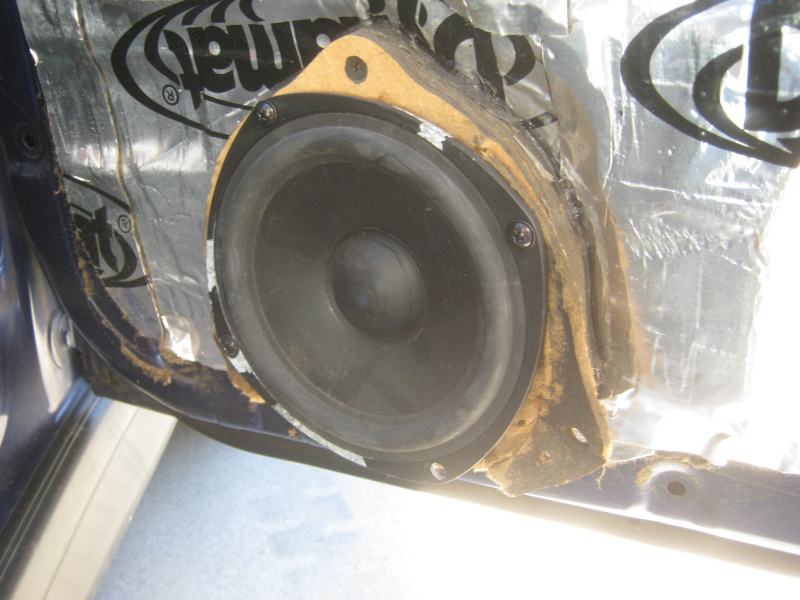 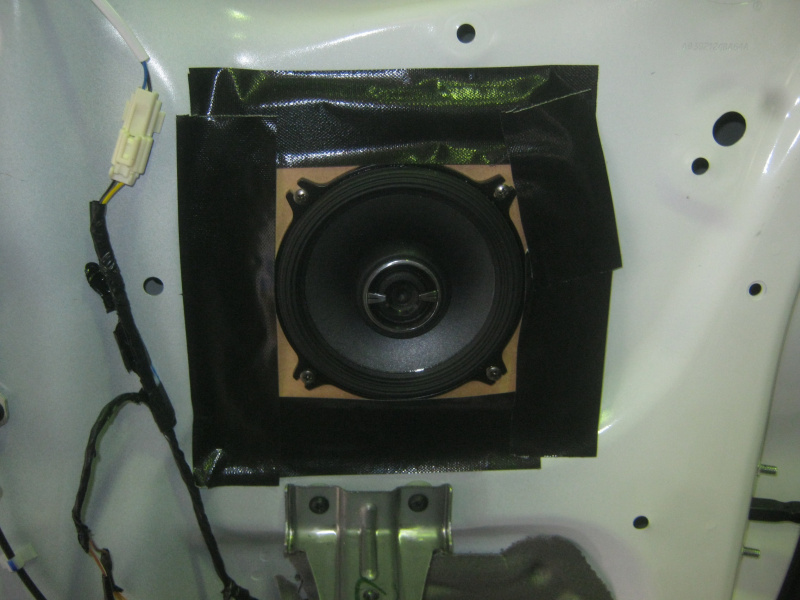 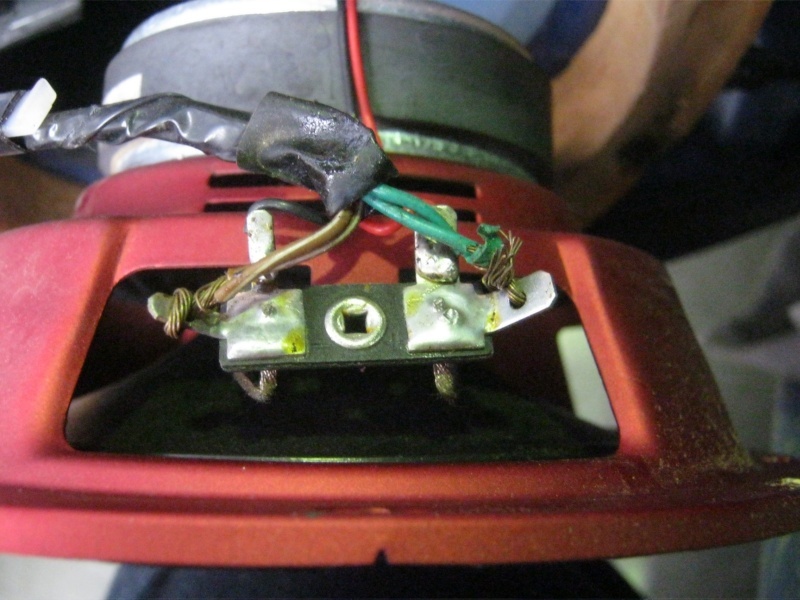 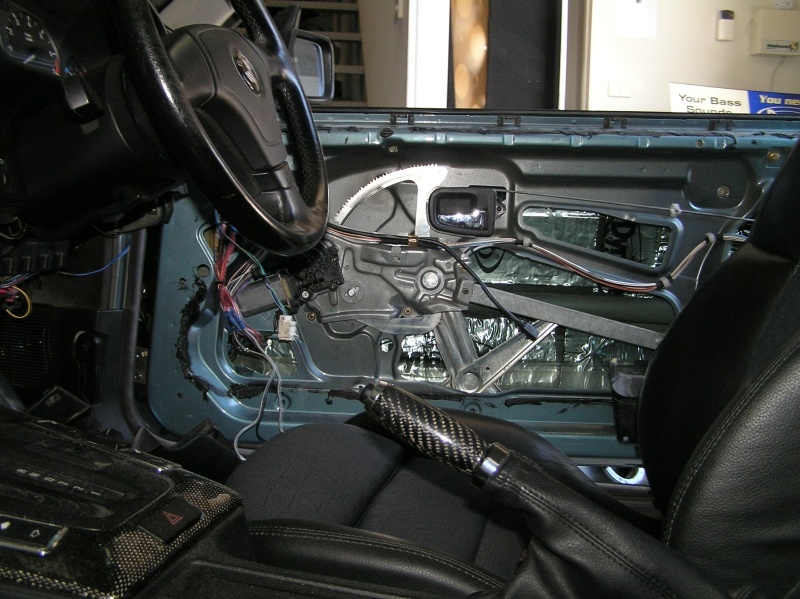 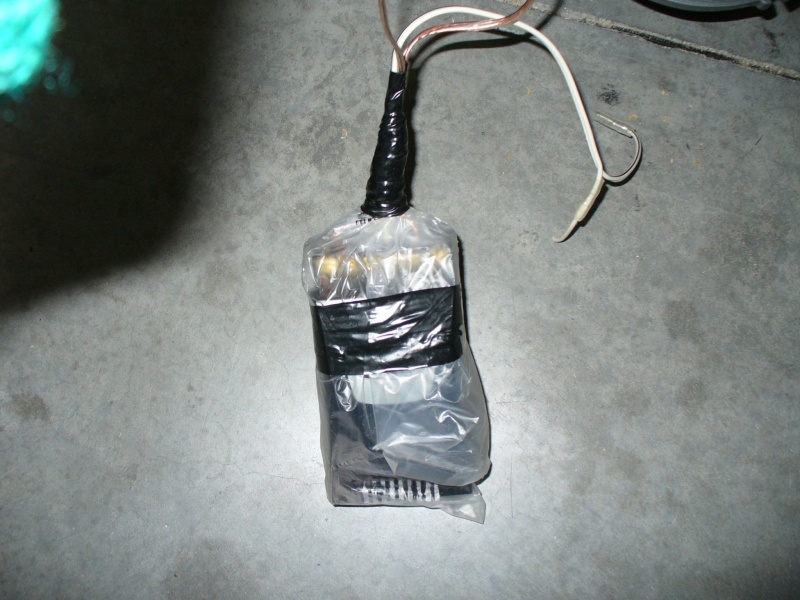 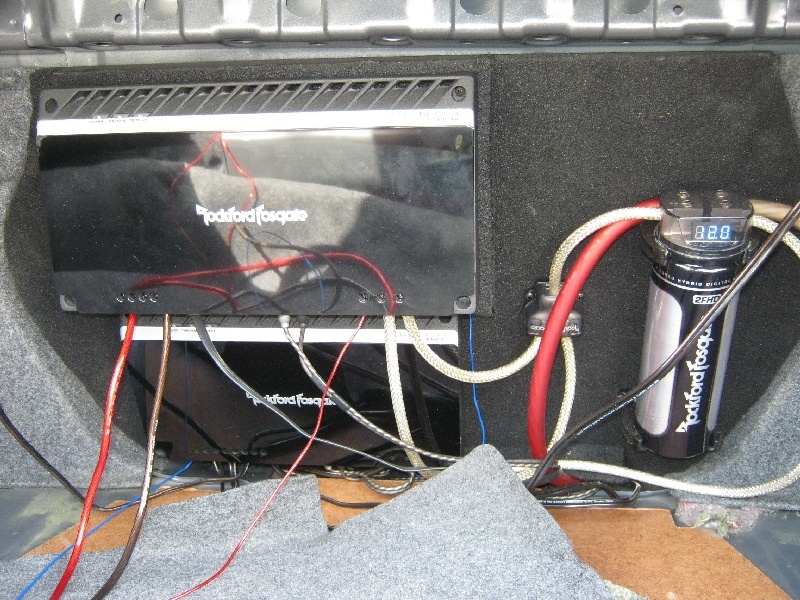 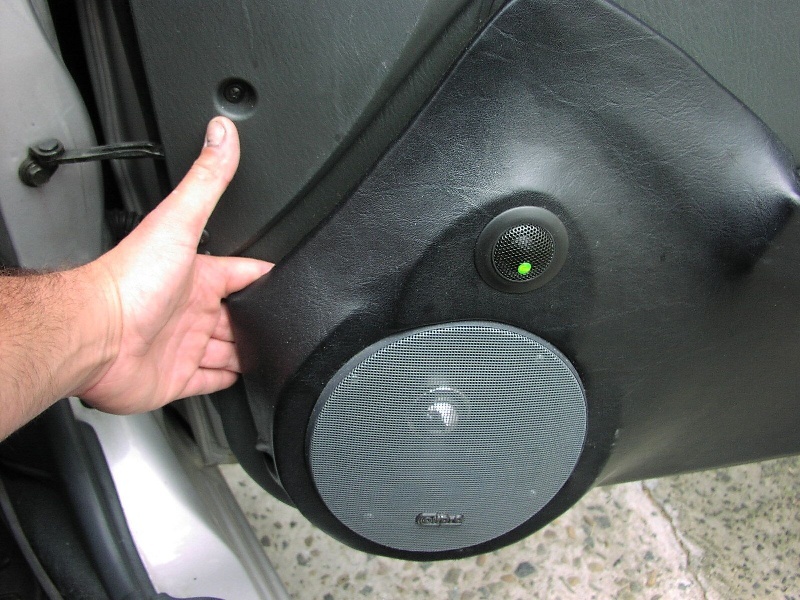 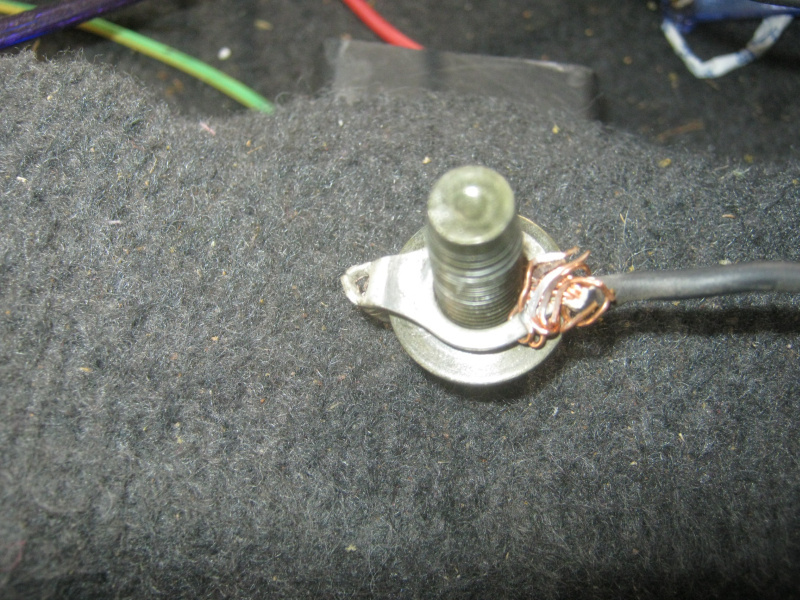 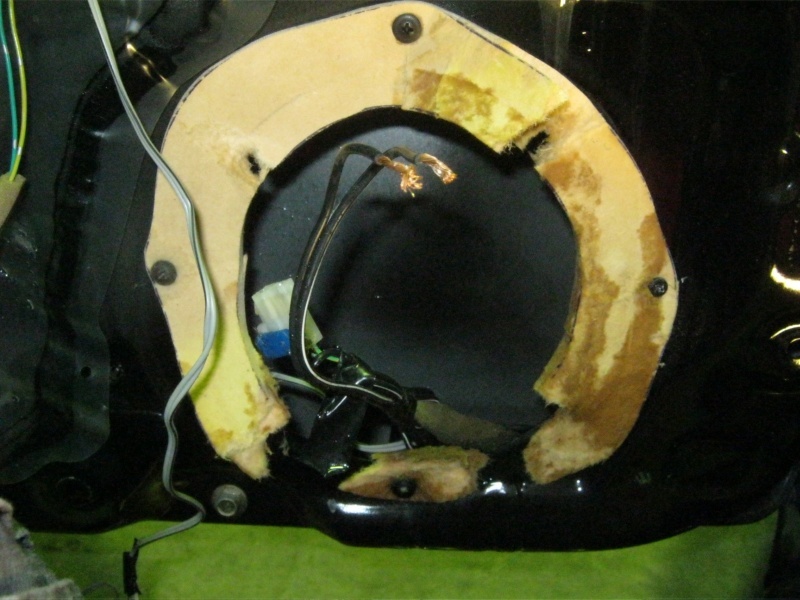 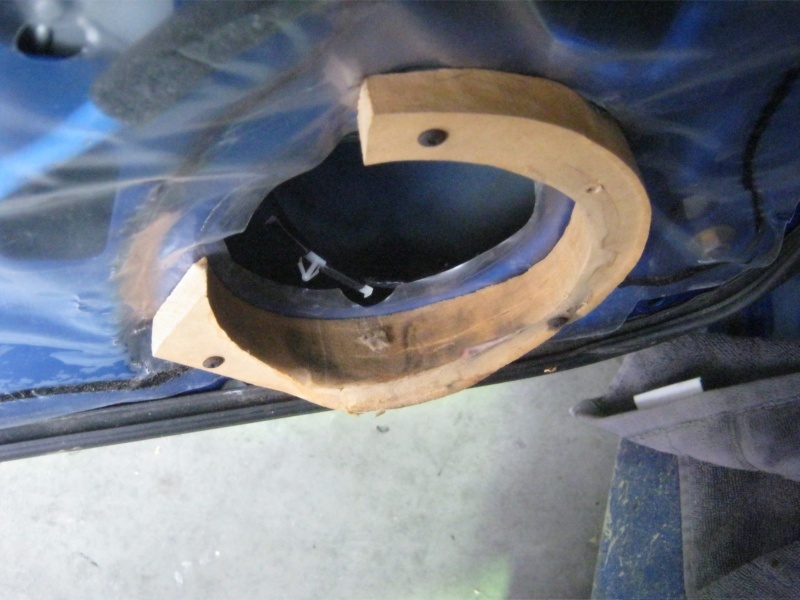 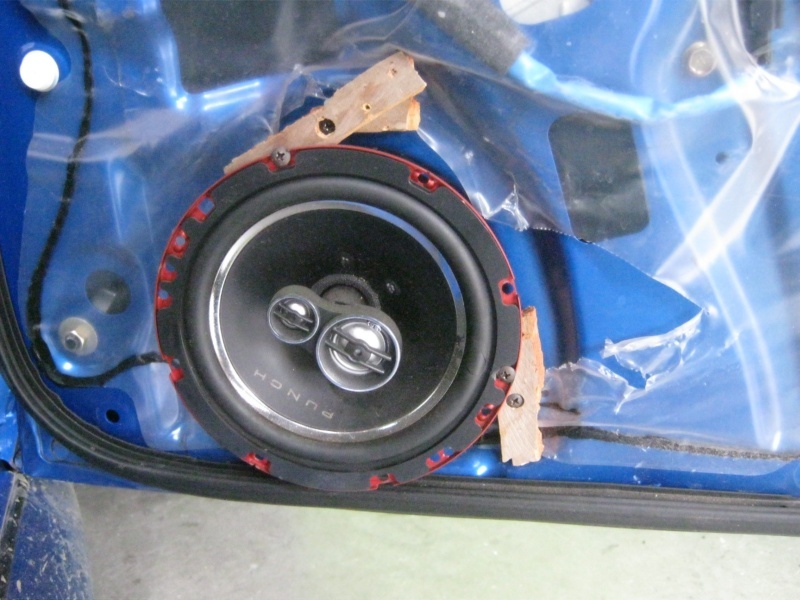 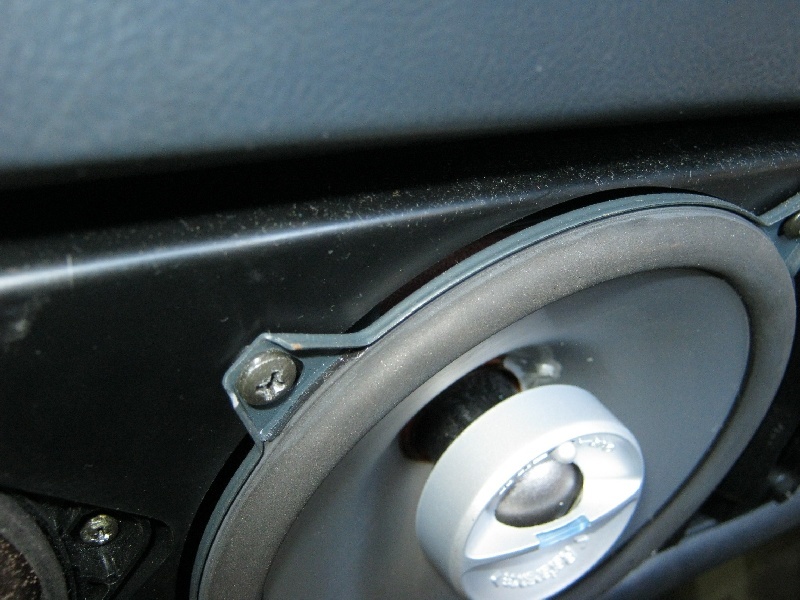 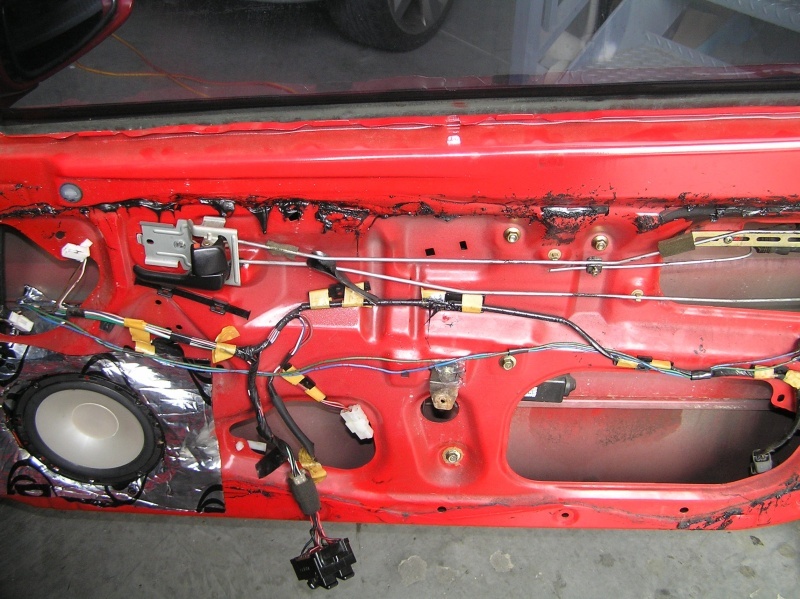 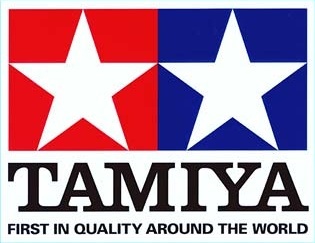 When it comes to installing speakers and more to the point; actually securing them, there are many different techniques we employ here to undertake this. 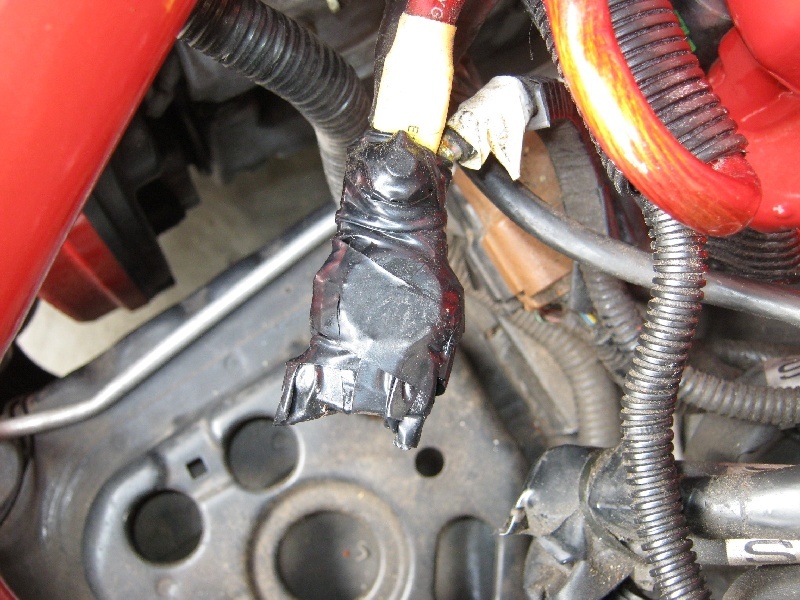 Sadly we also tend to see many methods utilised which are not acceptable at all. 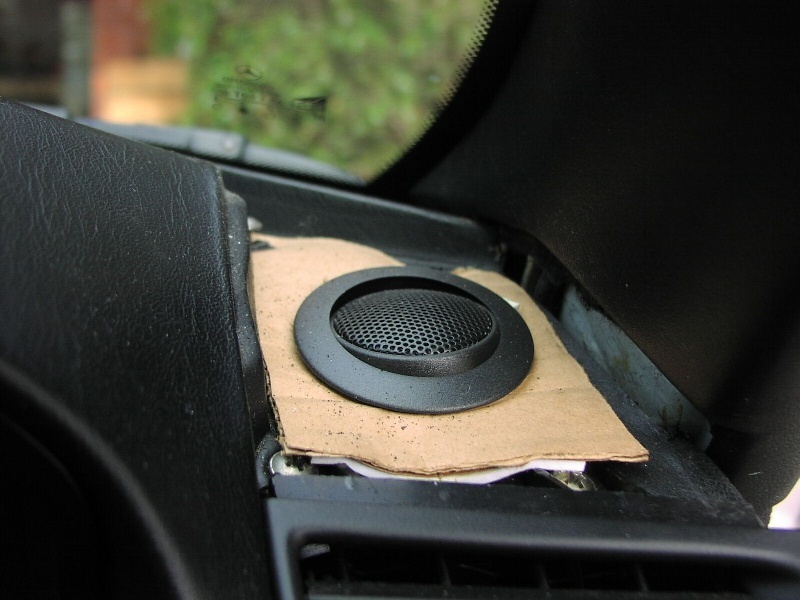 This includes but is not limited to securing speakers with cardboard, sealant, glue and the king of all fixes; gaffer tape! 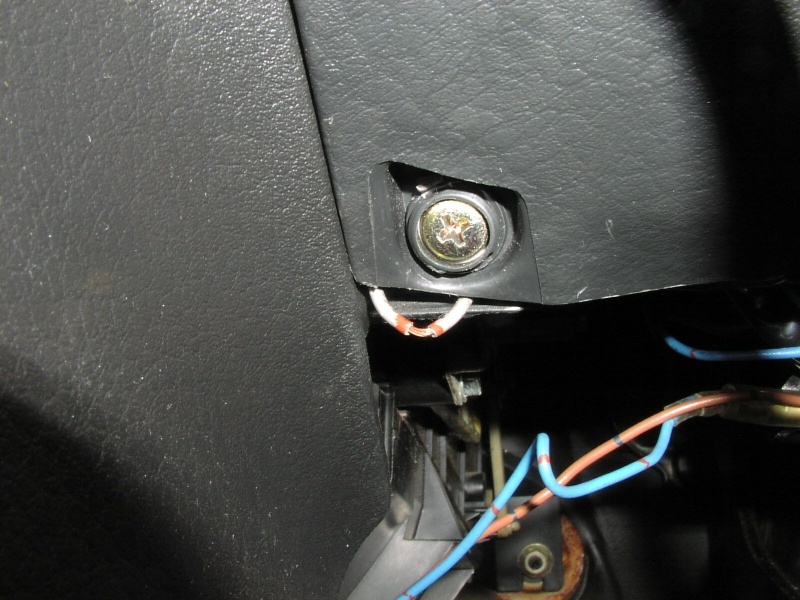 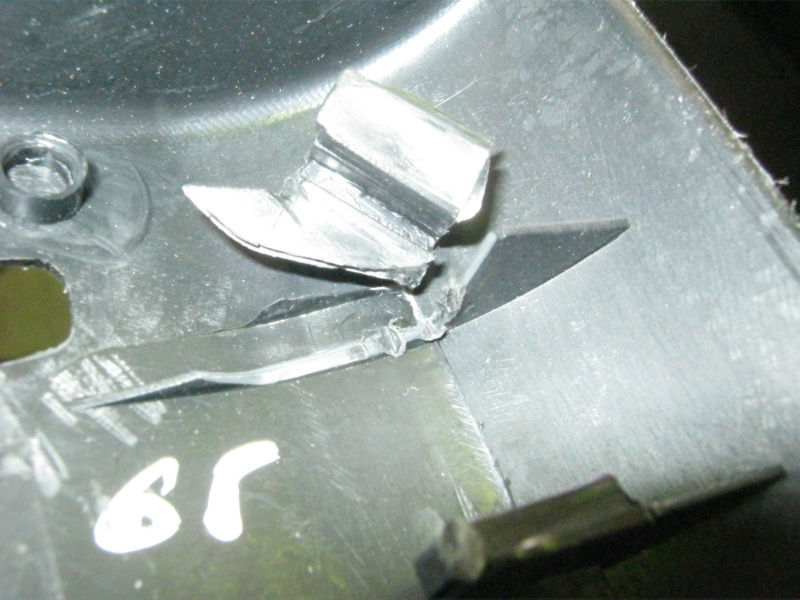 If you do manage to make to past all this and onto actual hardware such as bolts or screws, please make sure you don't tighten them up to the point you bend the frame with excessive force. 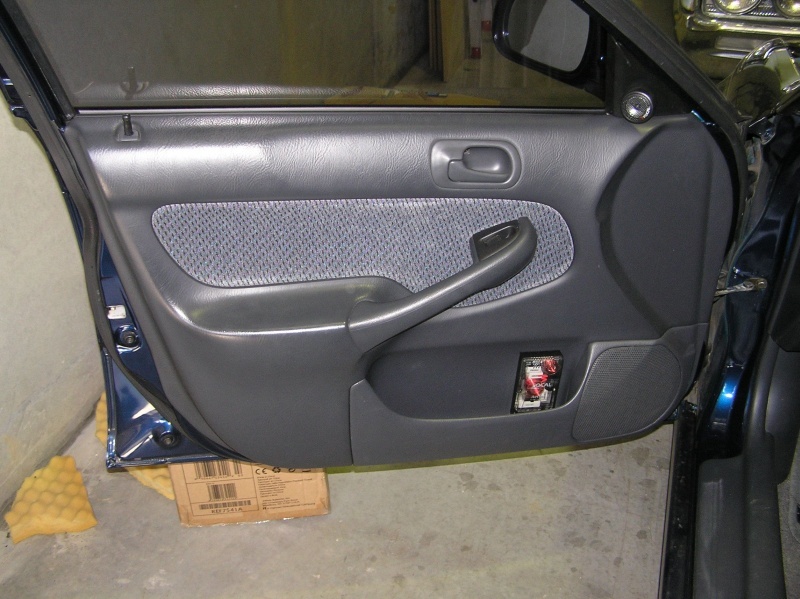 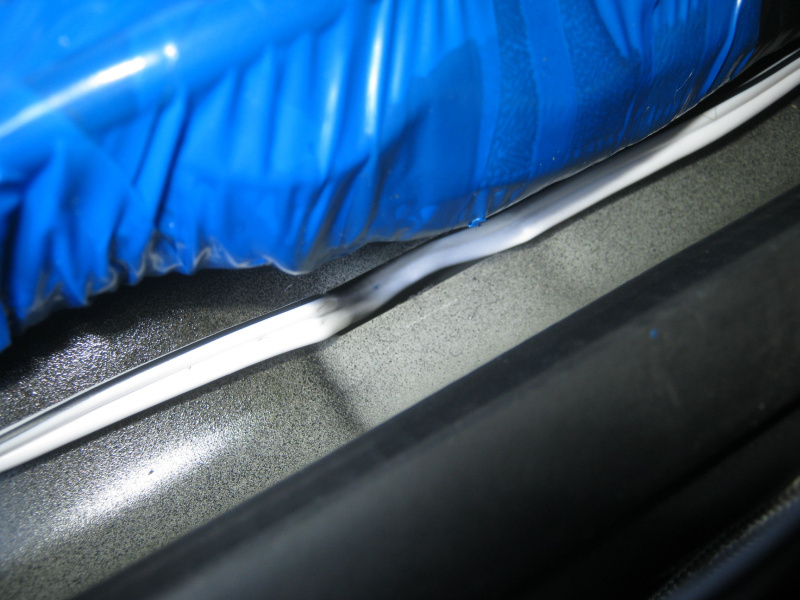 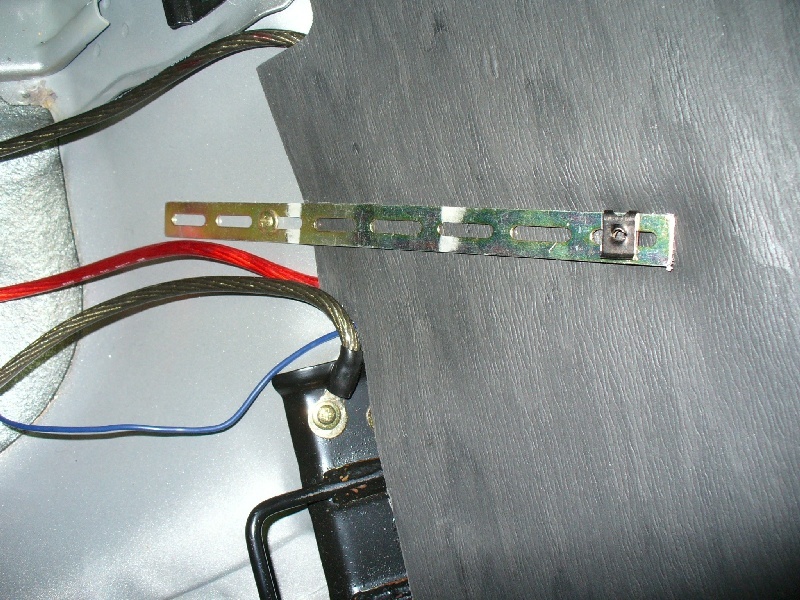 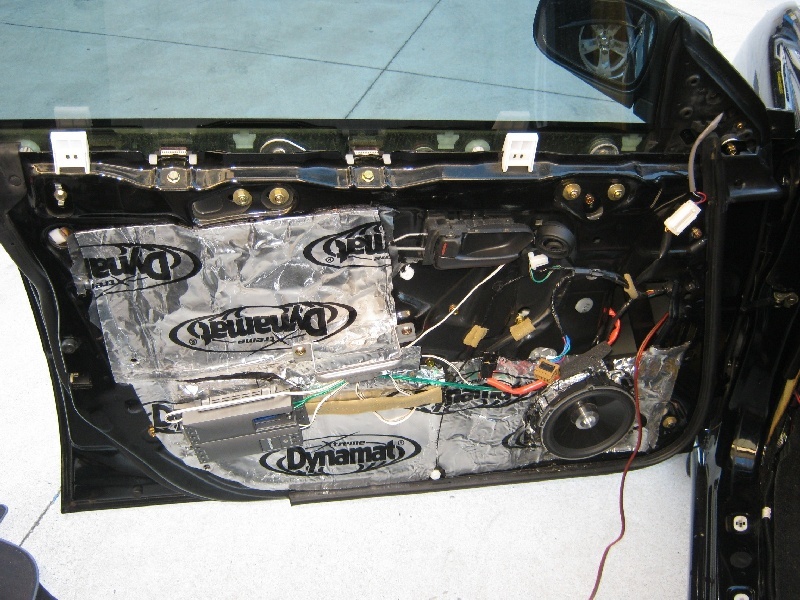 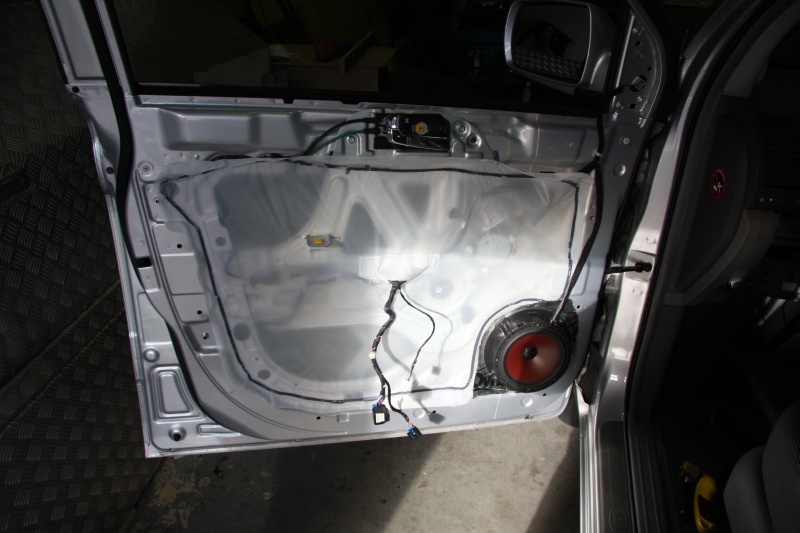 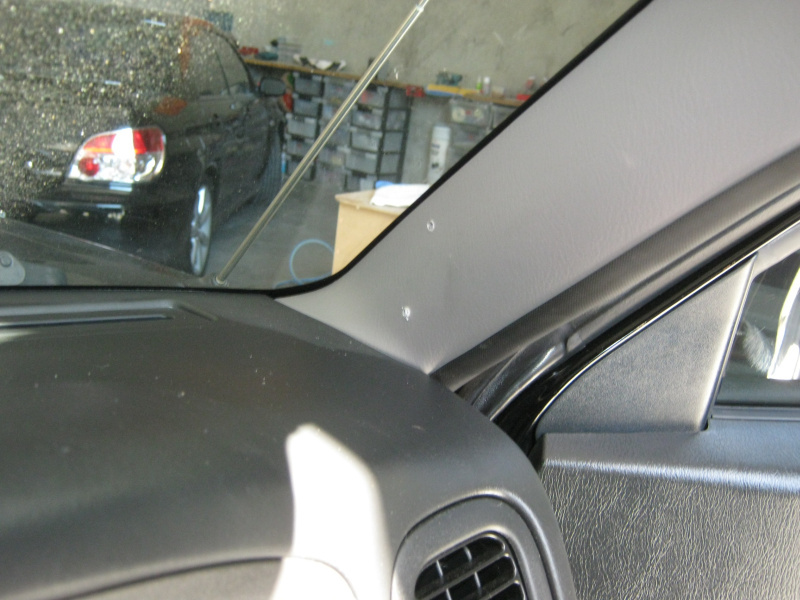 So you've installed all your new gear into your doors and with a big smile you grab your door trim in order to put it back on, only to find that your new equipment is getting in the way and stopping the door trim going back on flush. 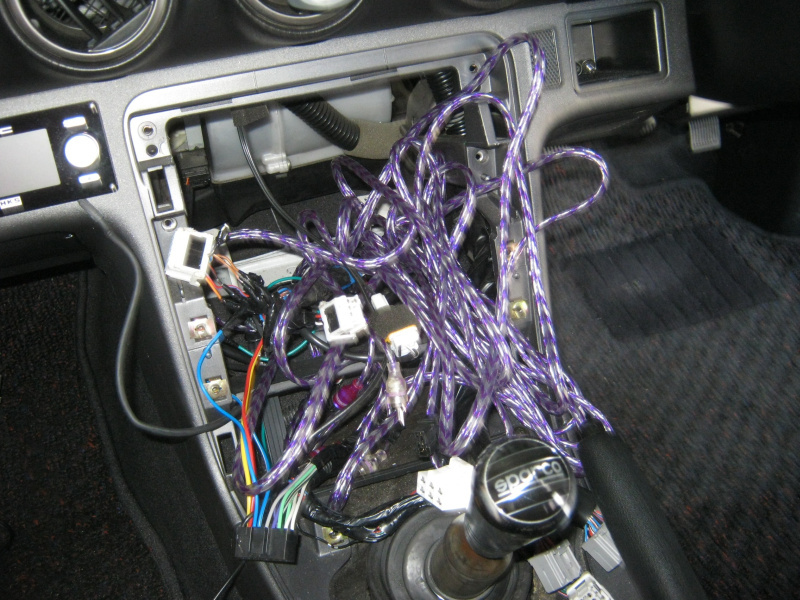 So what to do? 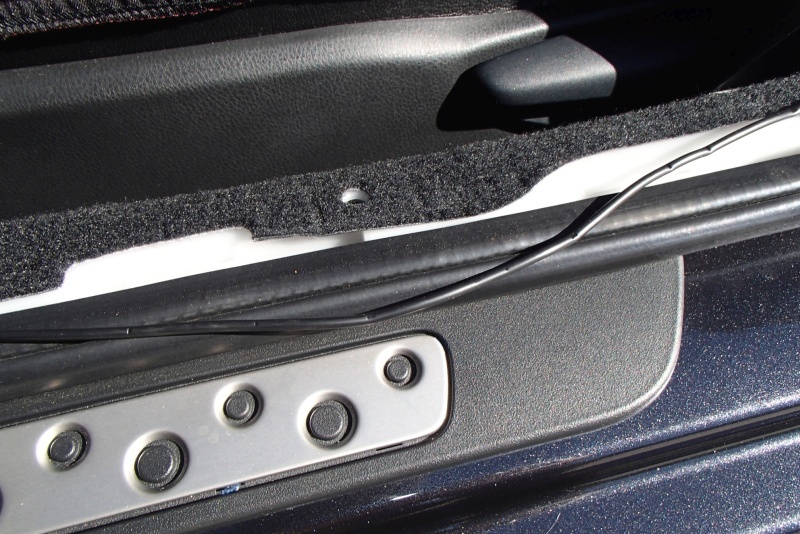 Well most normal people would simply move their equipment around to allow the door trim to go back on (remember we said don't screw your crossovers down?). 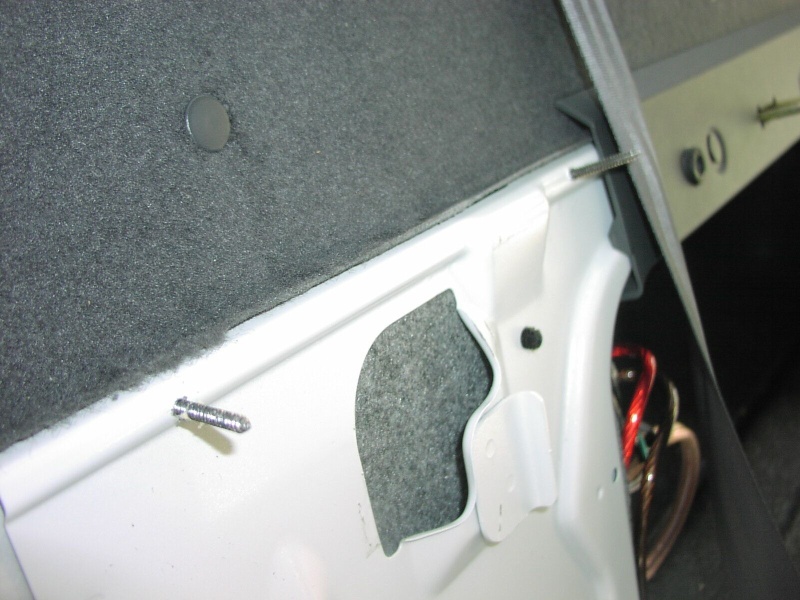 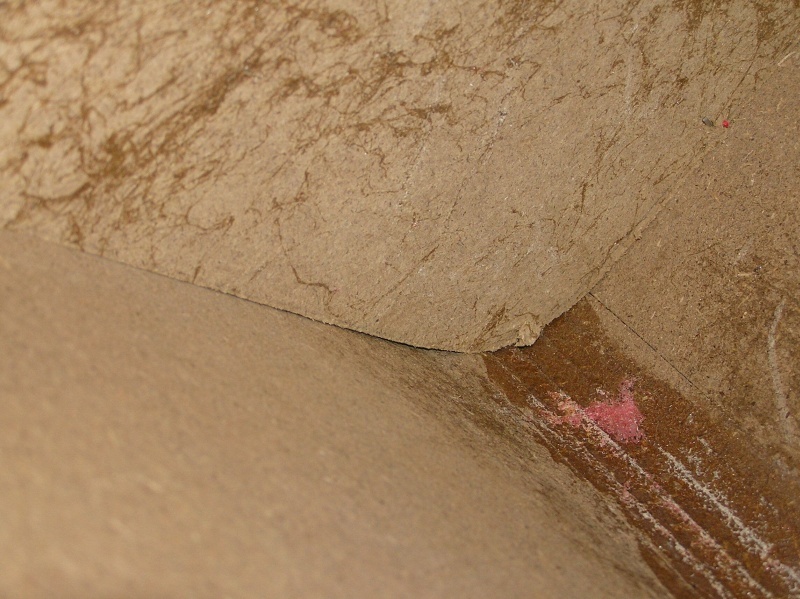 Would you believe though; that we've seen some shops just throw a self-tapping screw right through the factory trim into the door! 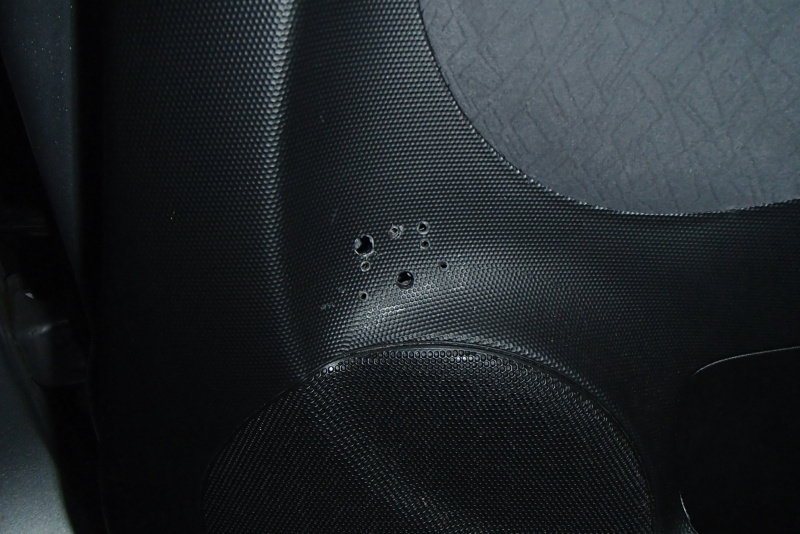 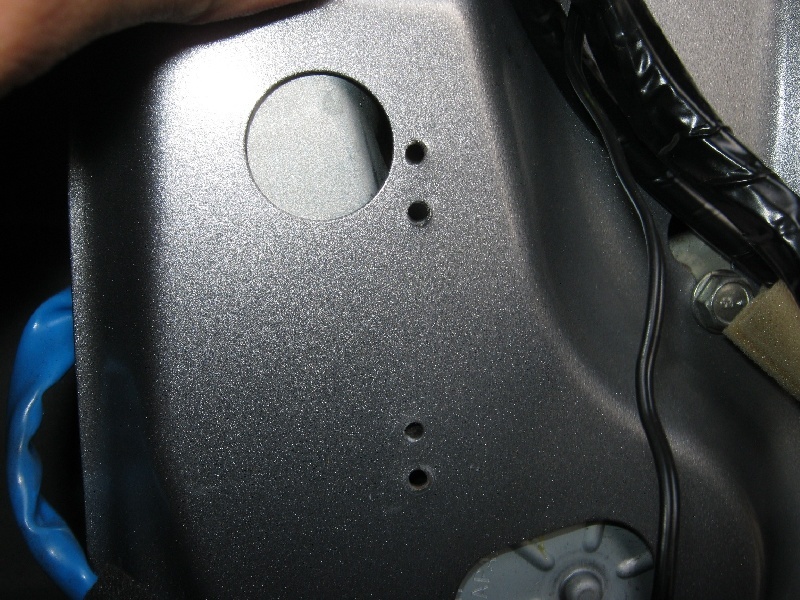 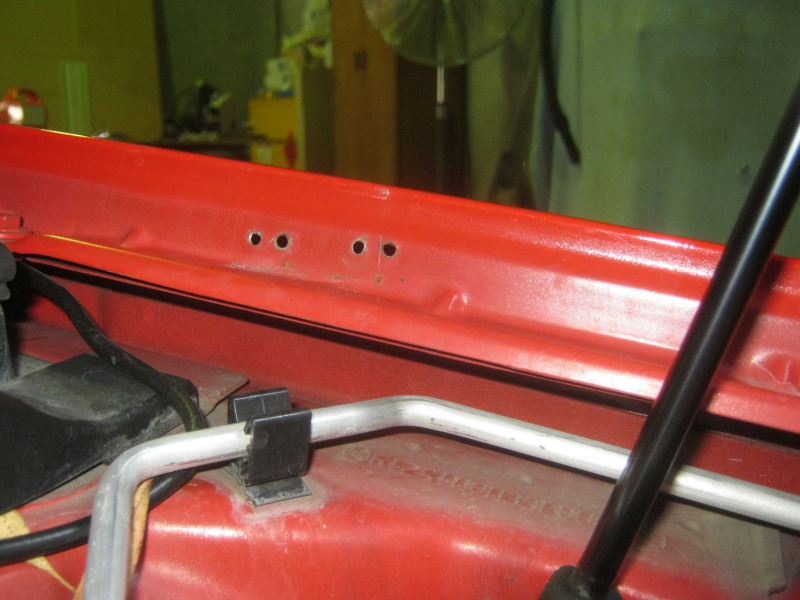 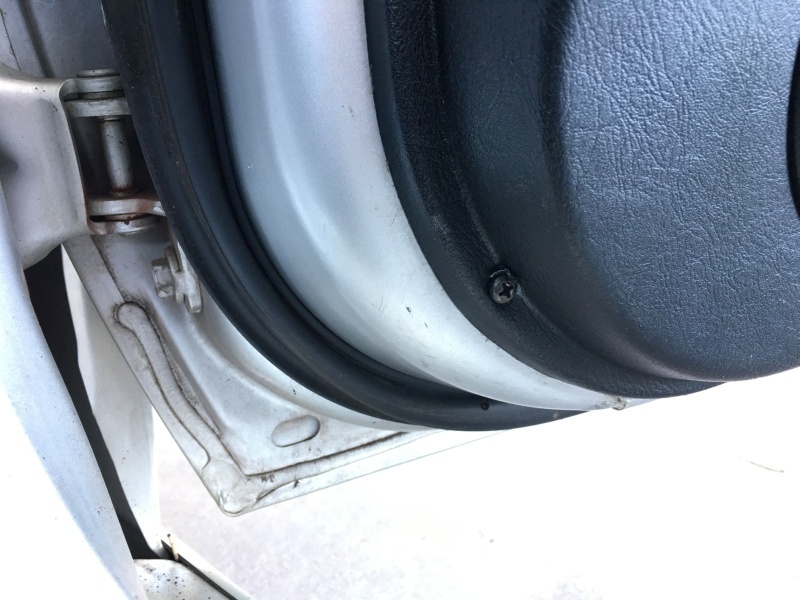 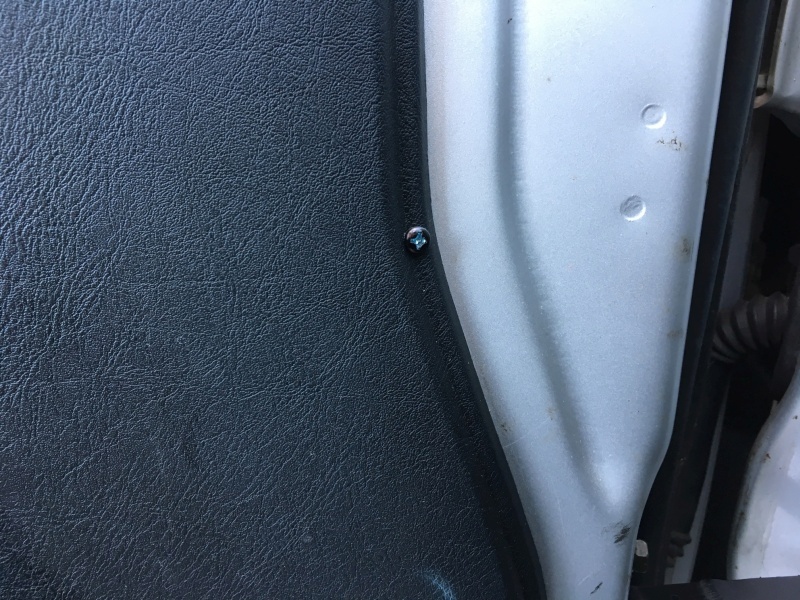 While we're on the subject of screws; if you cannot help yourself and start screwing stuff in, please ensure you use the right length of screw so you don't screw into your seats or through something important like a fuel tank.